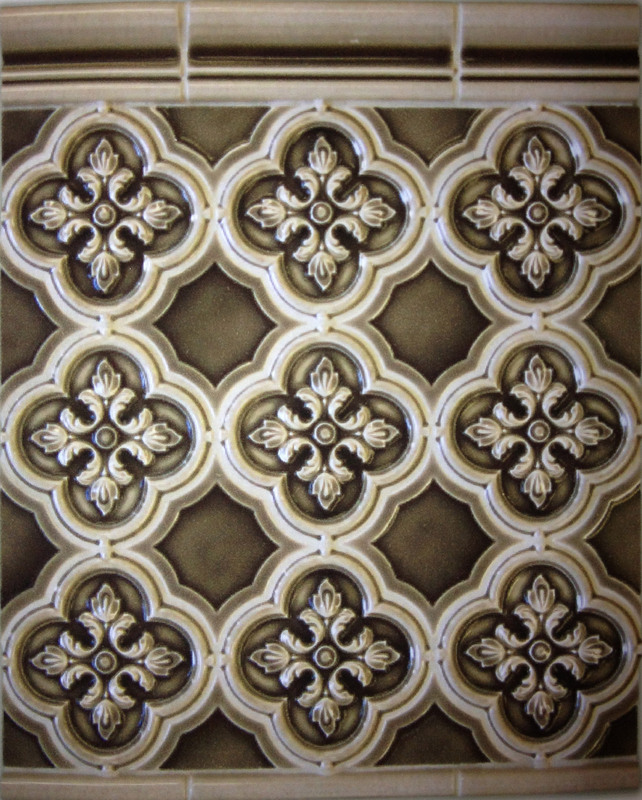 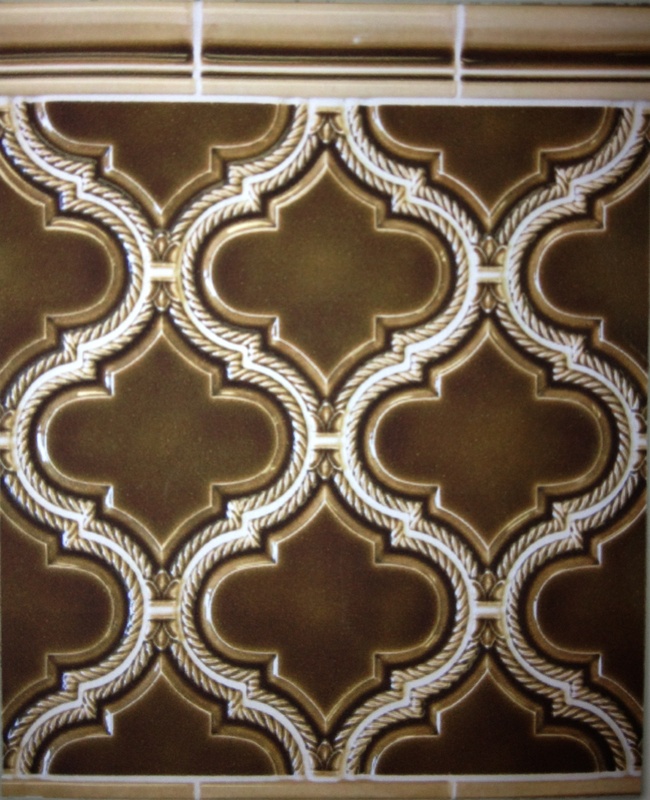 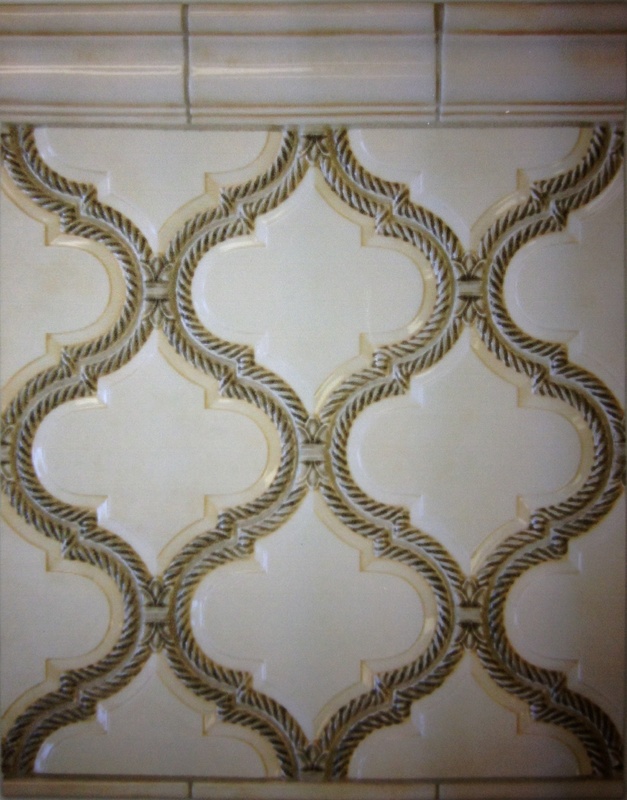 The Foothill Tile & Stone Co. brings to you the most unique and beautiful ceramic tiles available in today's world. 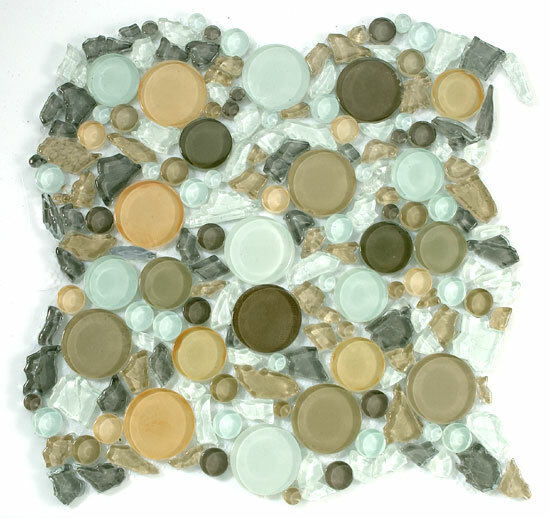 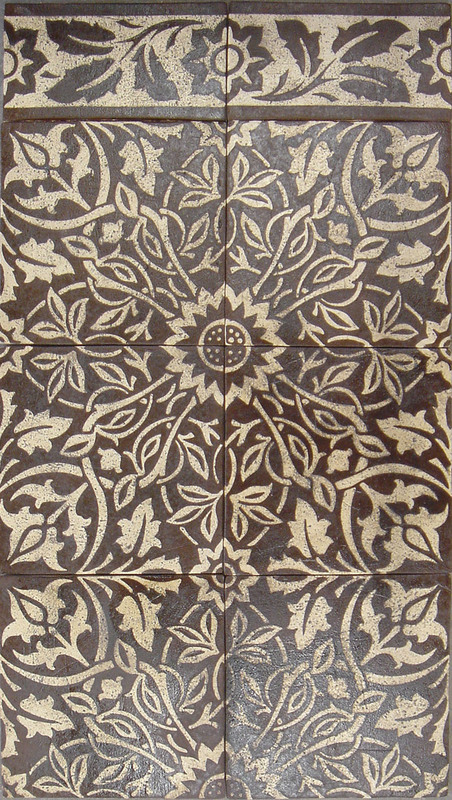 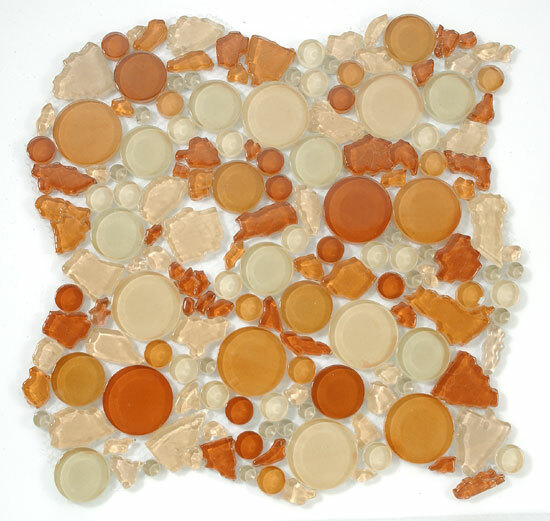 Innovative production techniques are employed to offer a dazzling array of colors, textures and patterns. 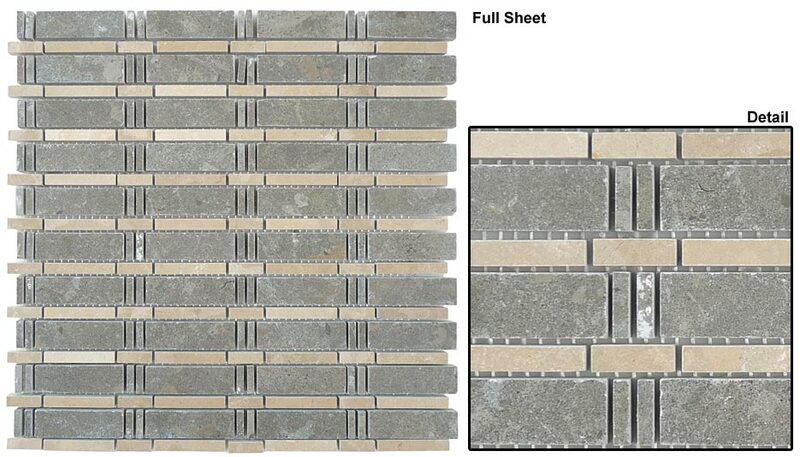 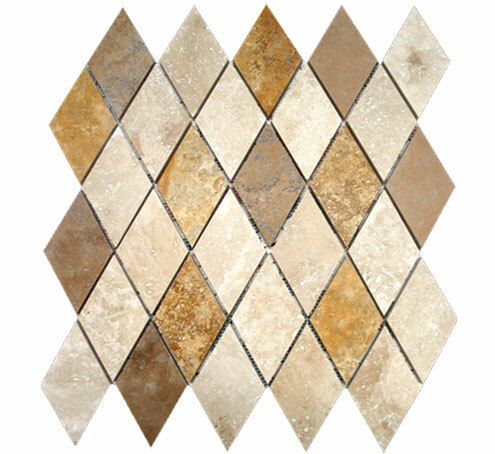 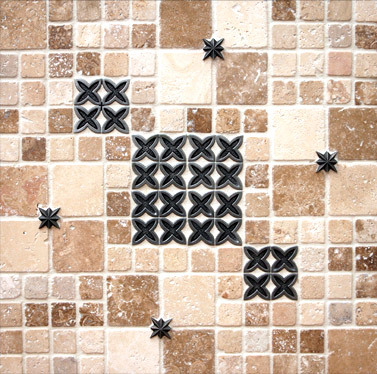 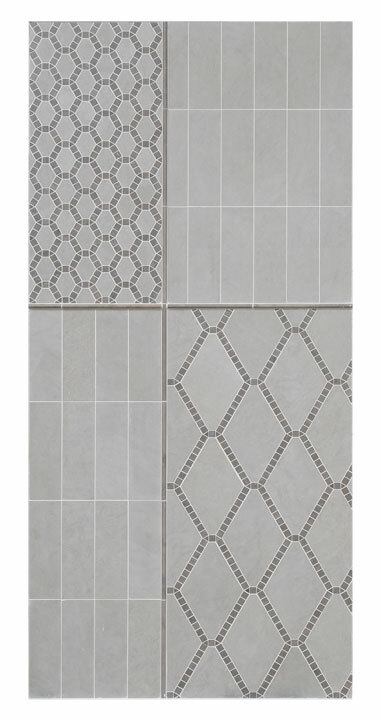 Foothill Tile & Stone Co. will give you a sense of how these different styles, patterns and colors can work for you in your own home. 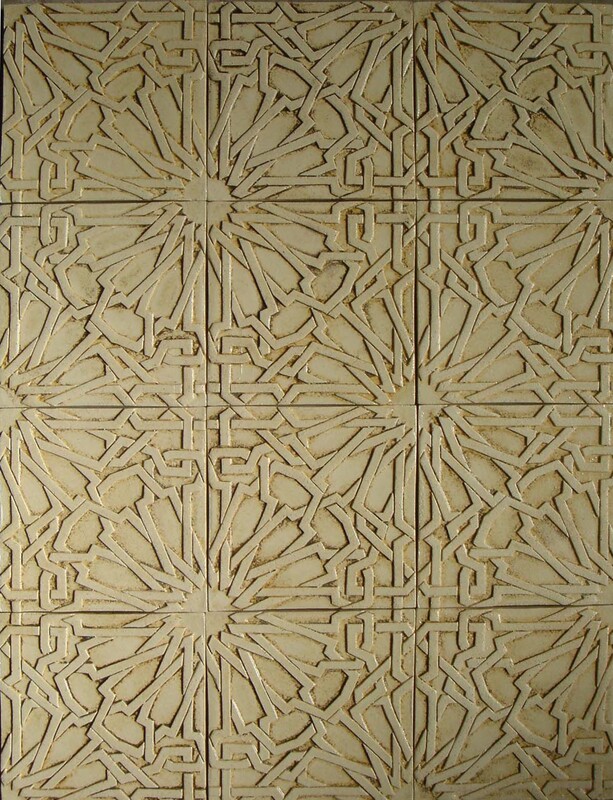 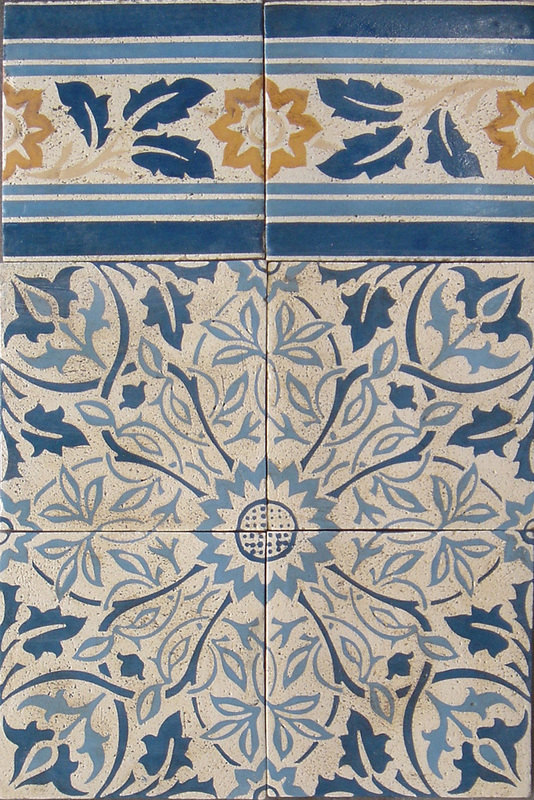 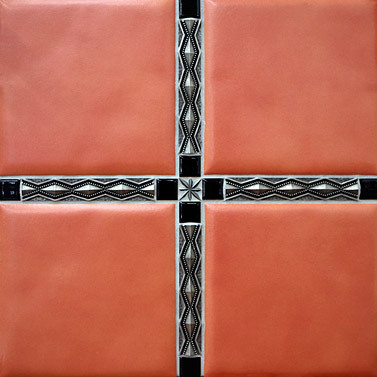 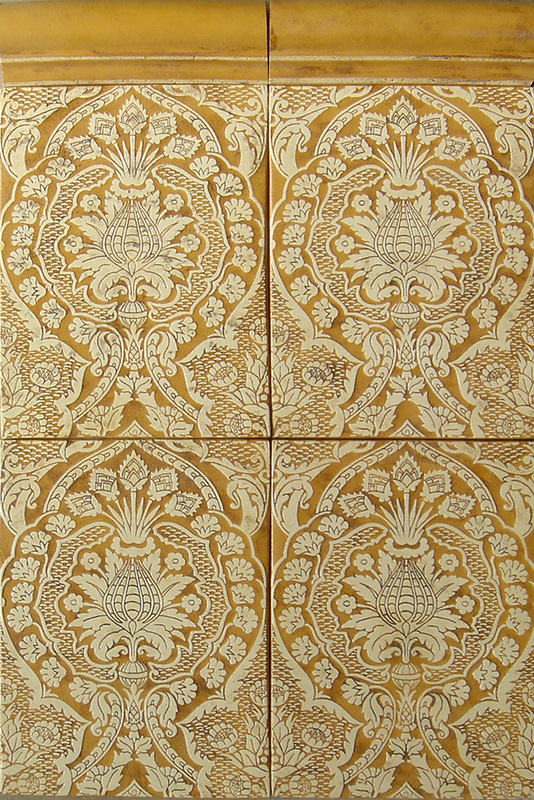 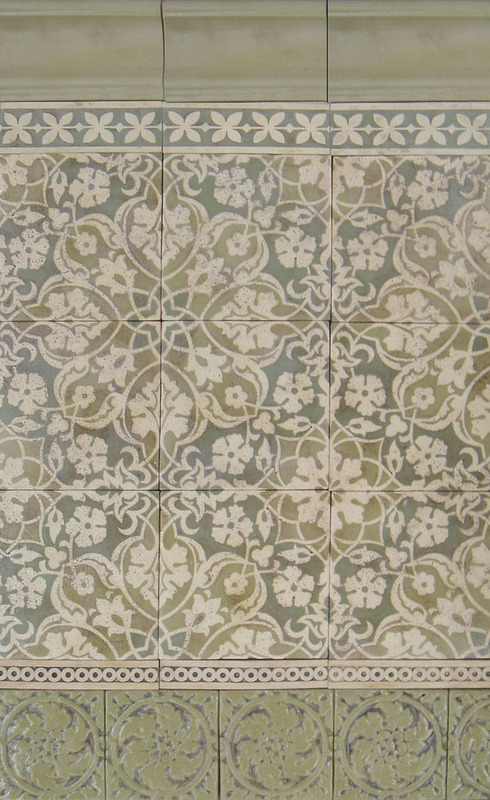 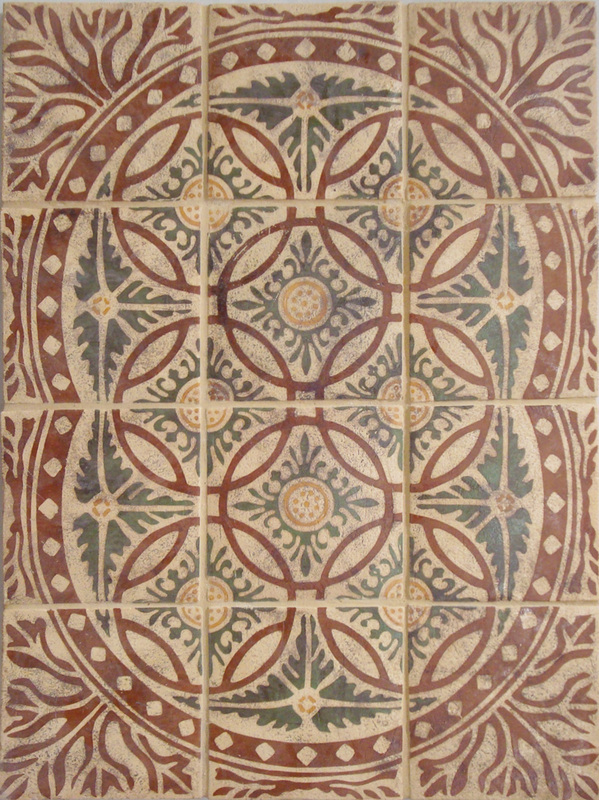 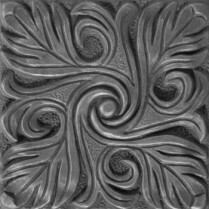 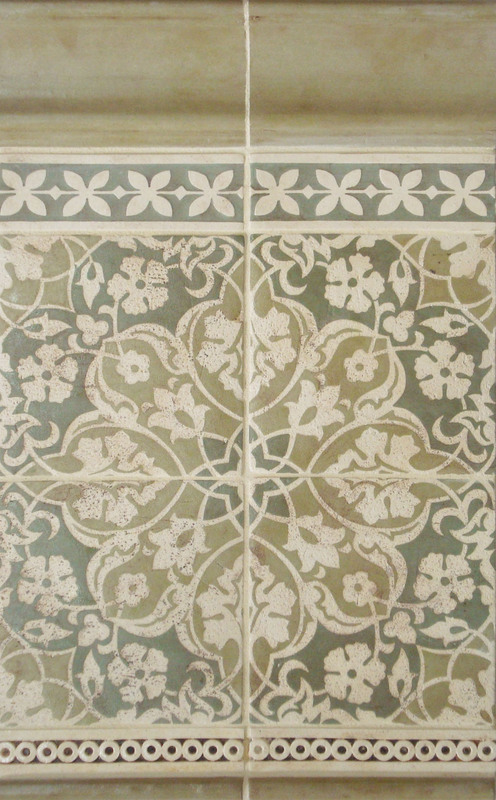 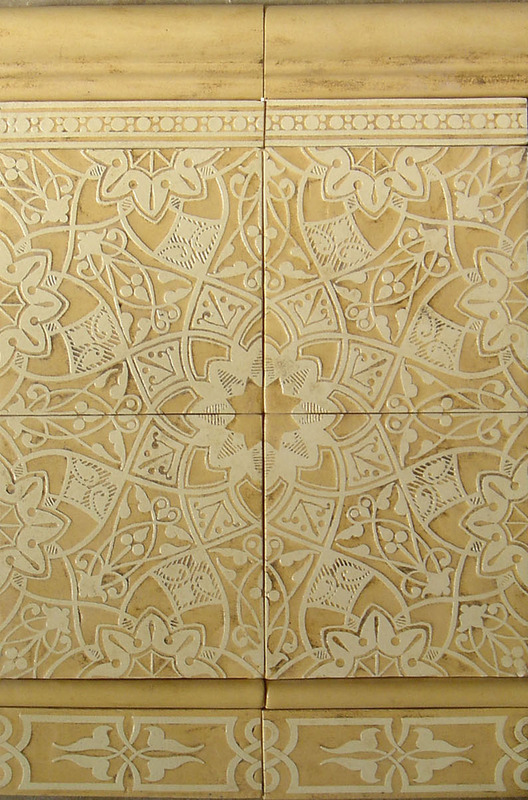 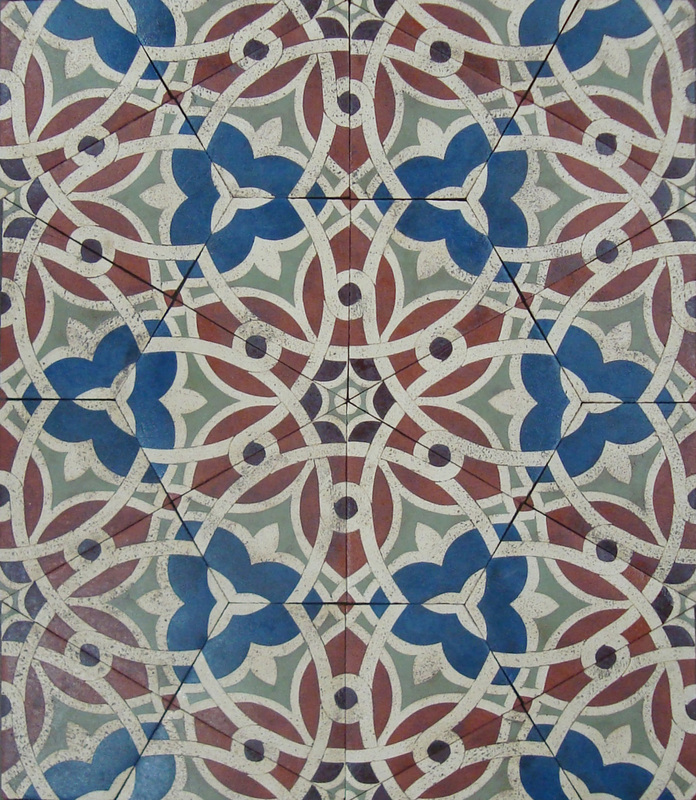 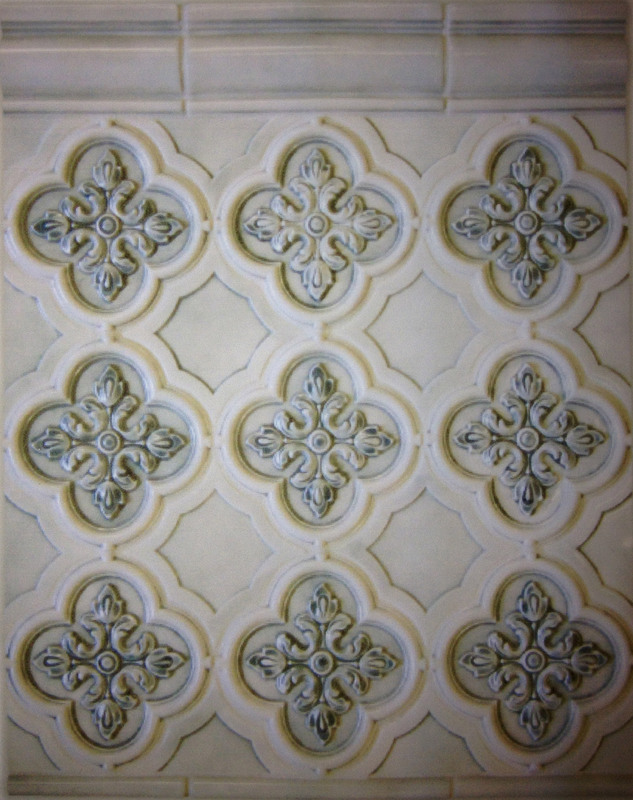 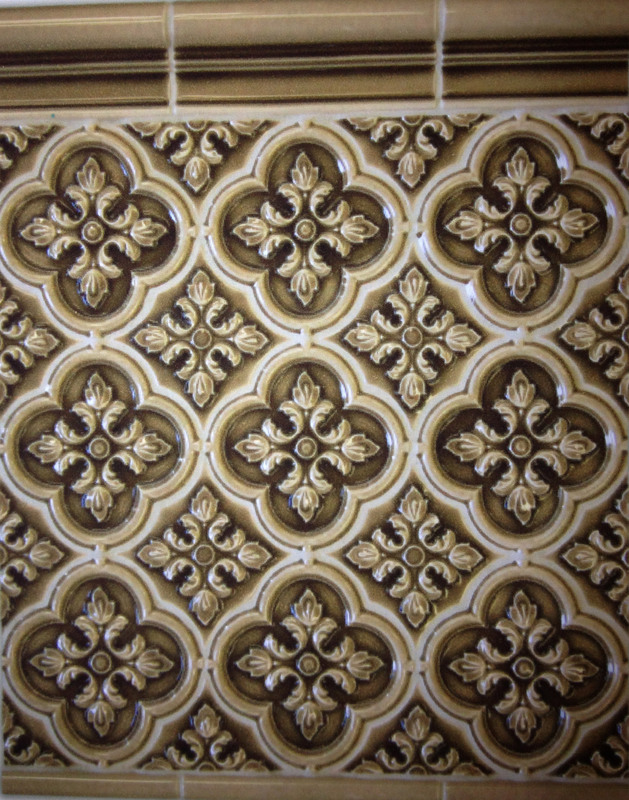 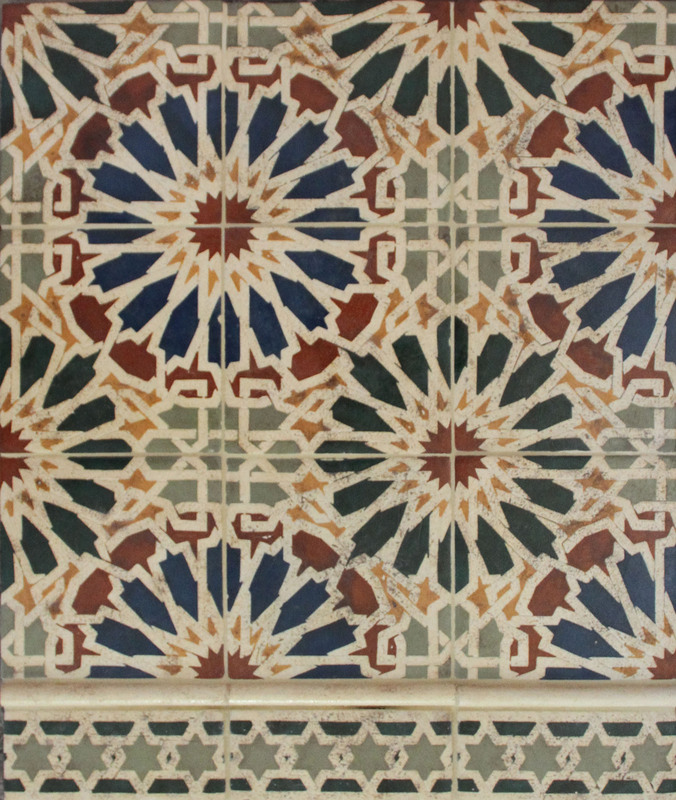 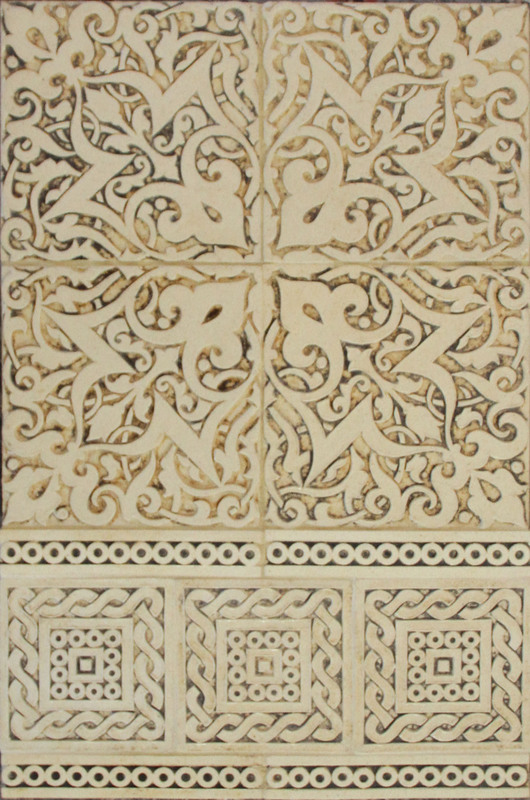 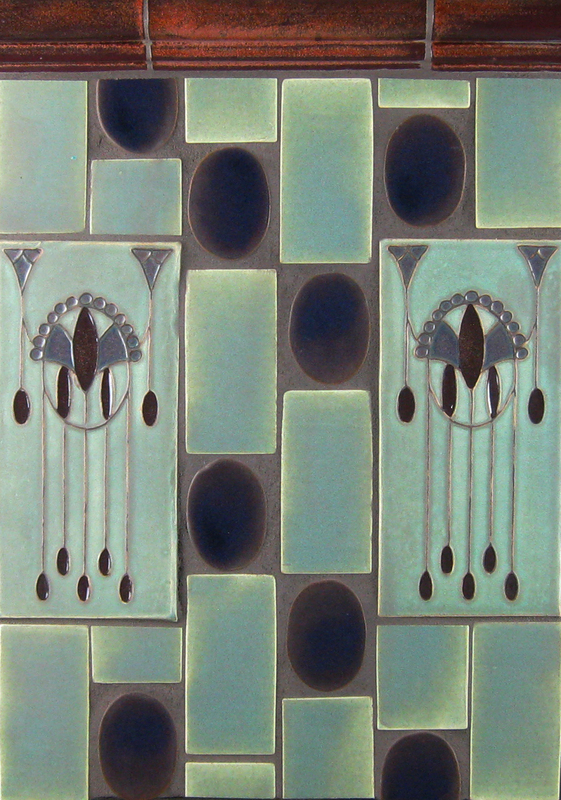 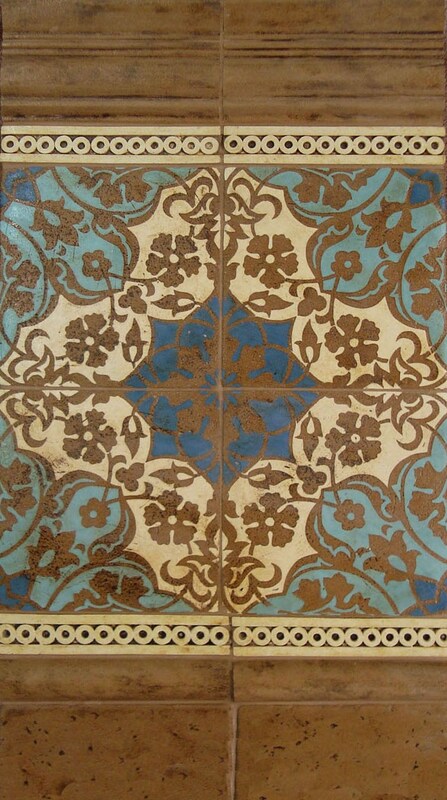 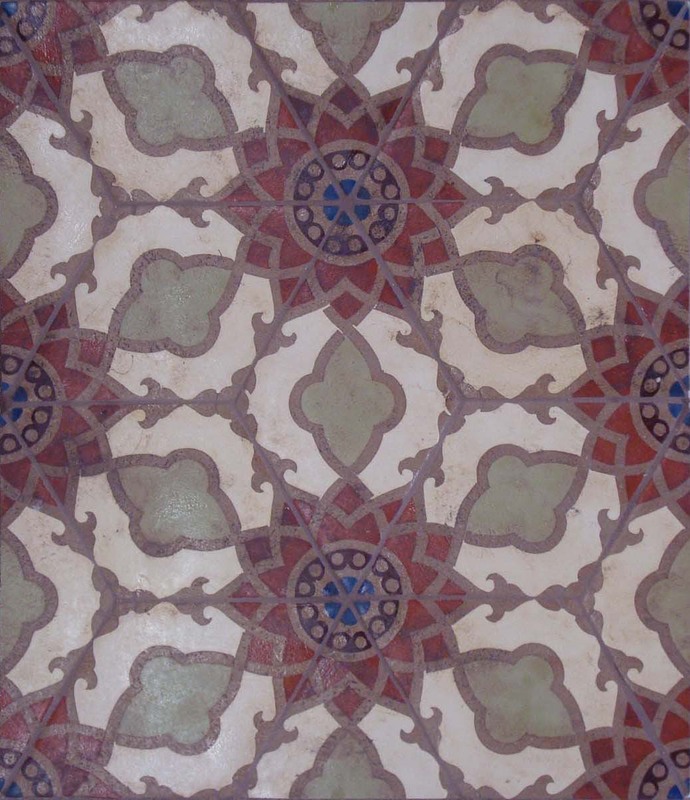 Tile is an art form that demonstrates craftsmanship, artistry and a design integrity that materializes with each unique installation. 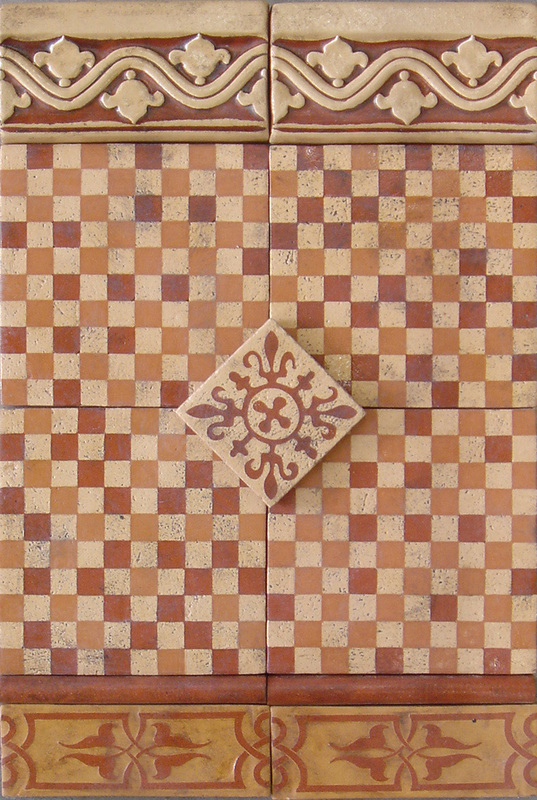 Used to its full potential it becomes a unique expression of your individual style and creativity. 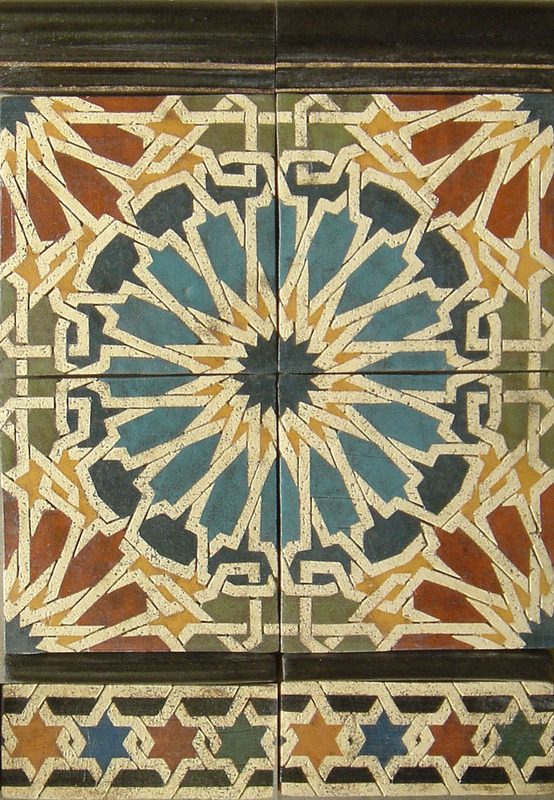 We invite you to come to our Showrooms to experience for yourself the diversity and depth of our collections. 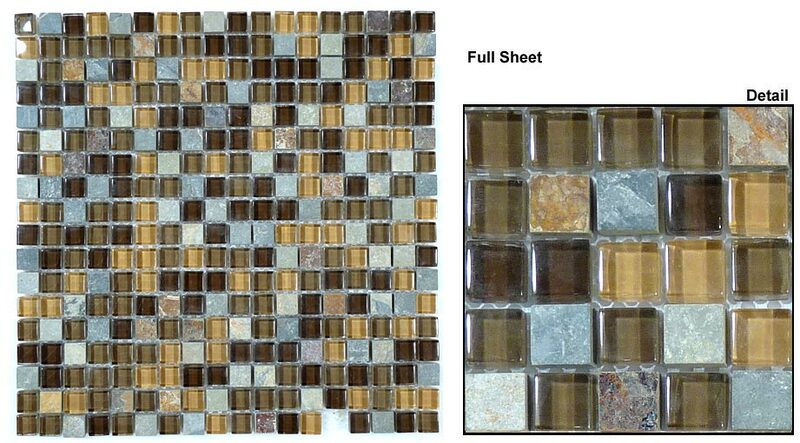 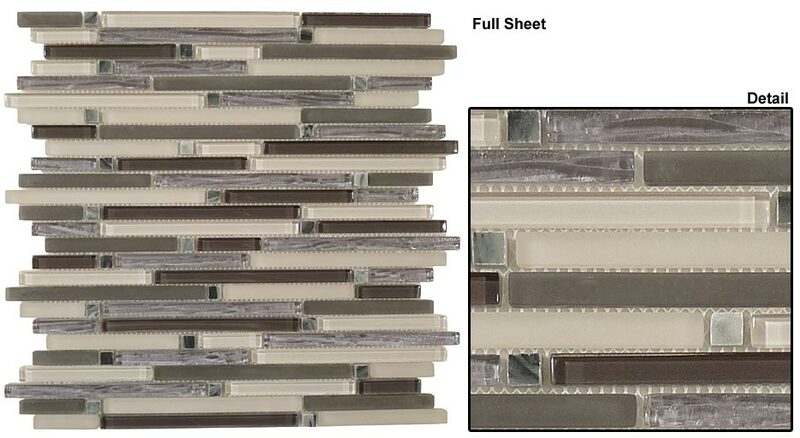 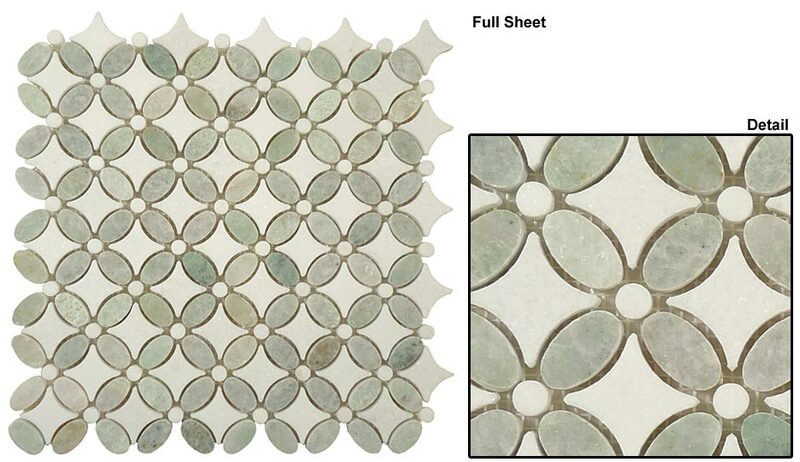 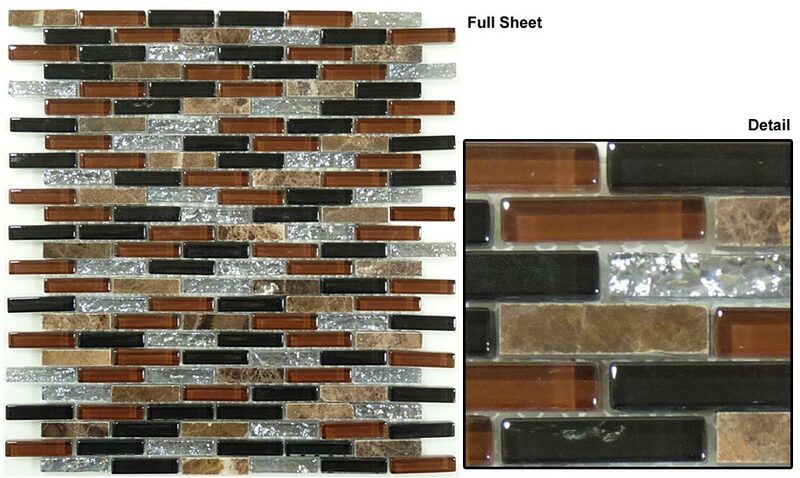 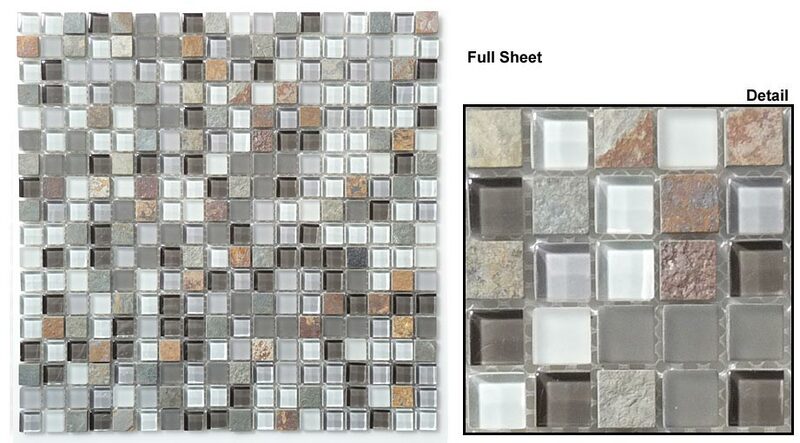 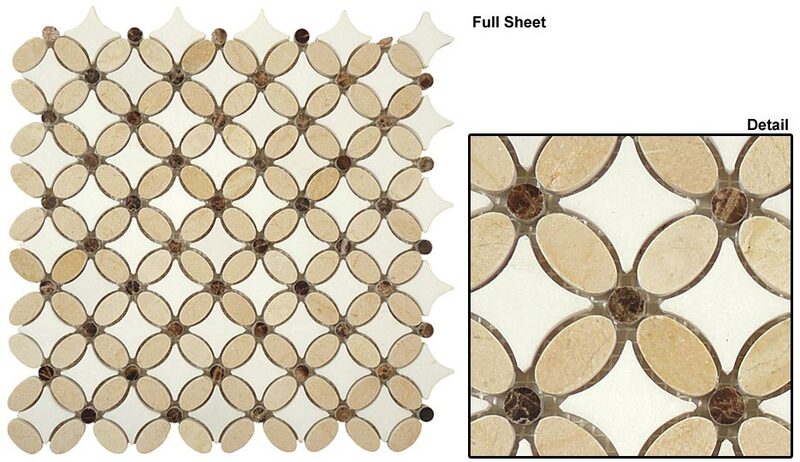 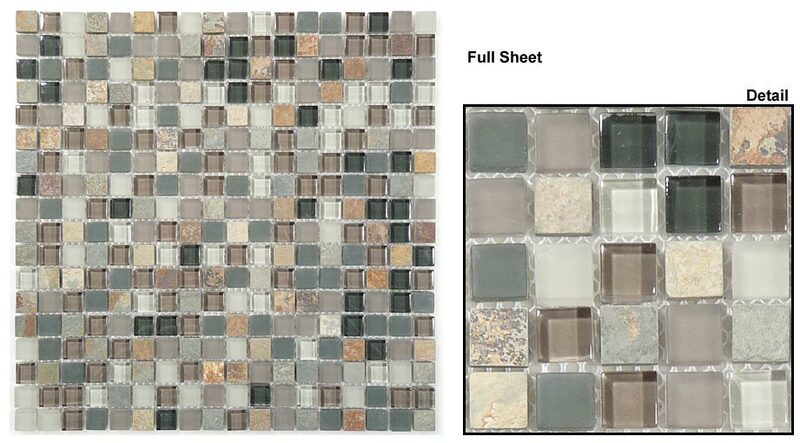 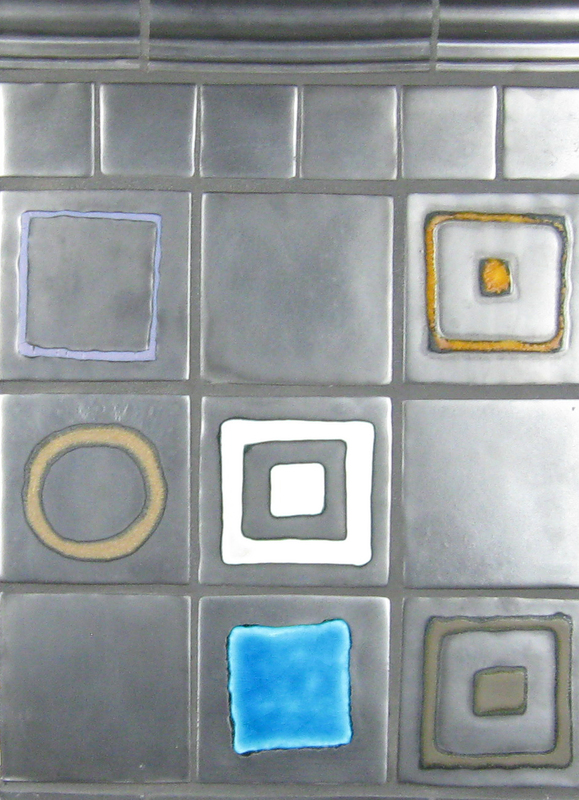 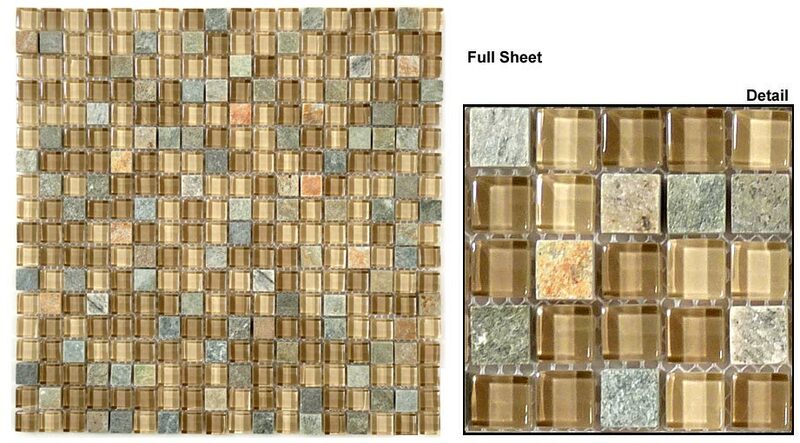 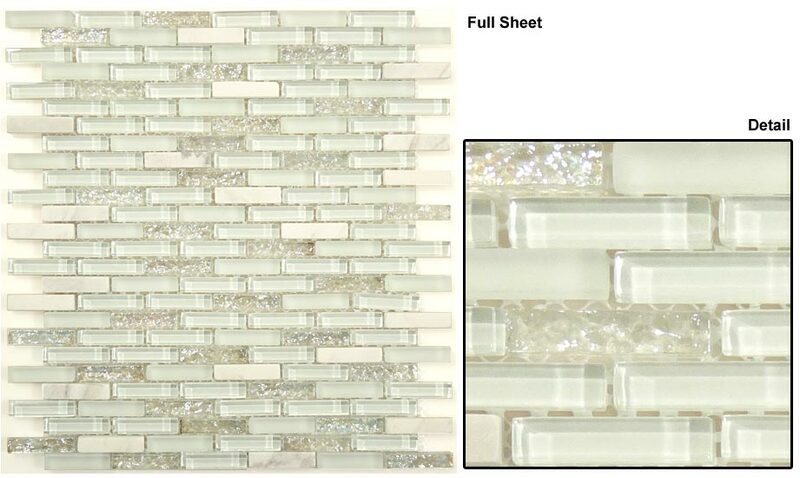 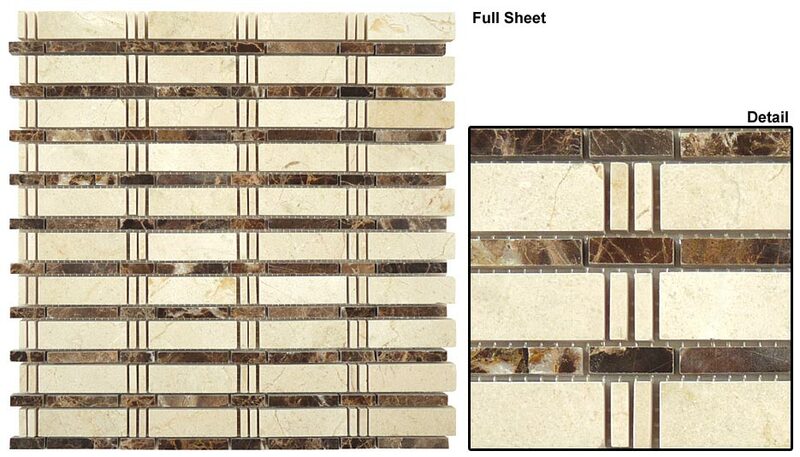 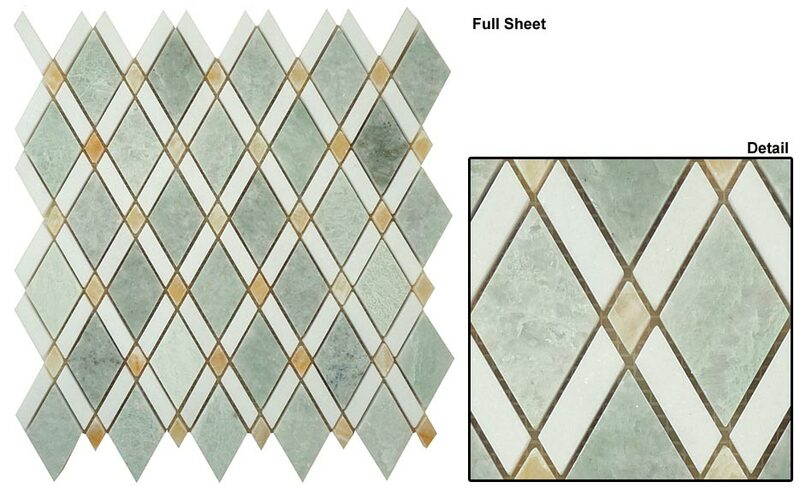 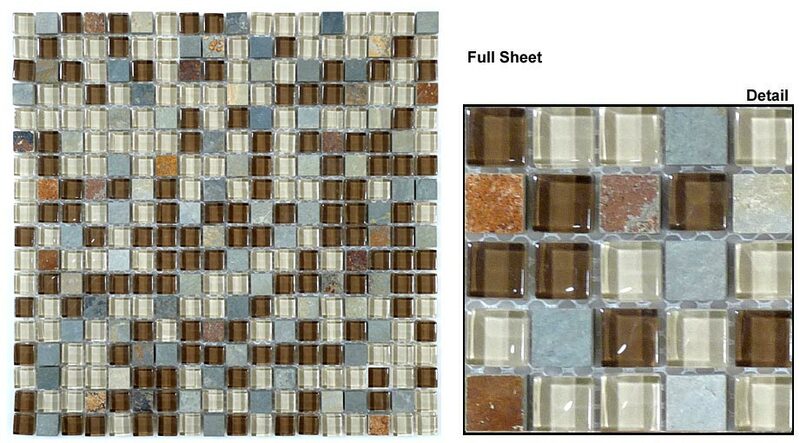 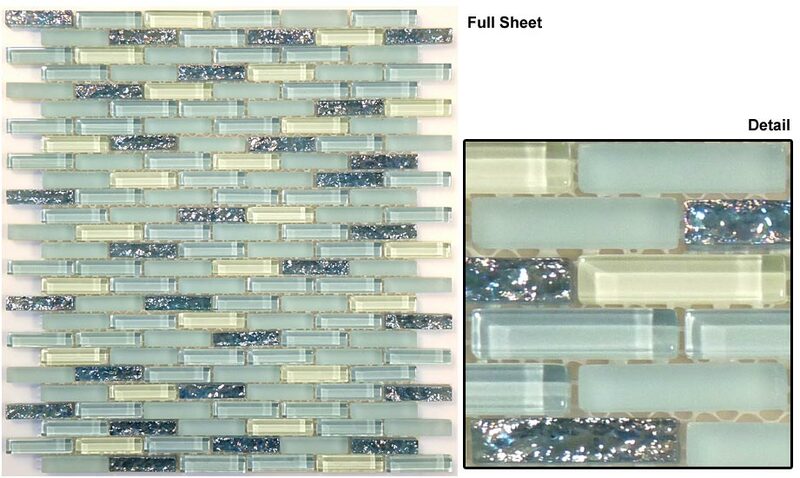 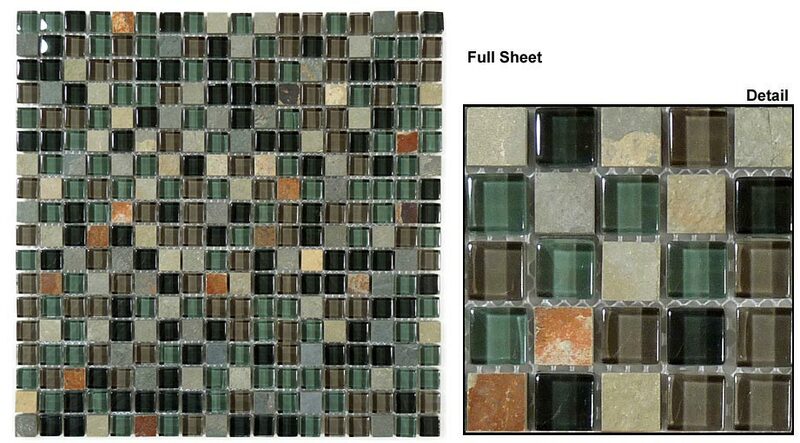 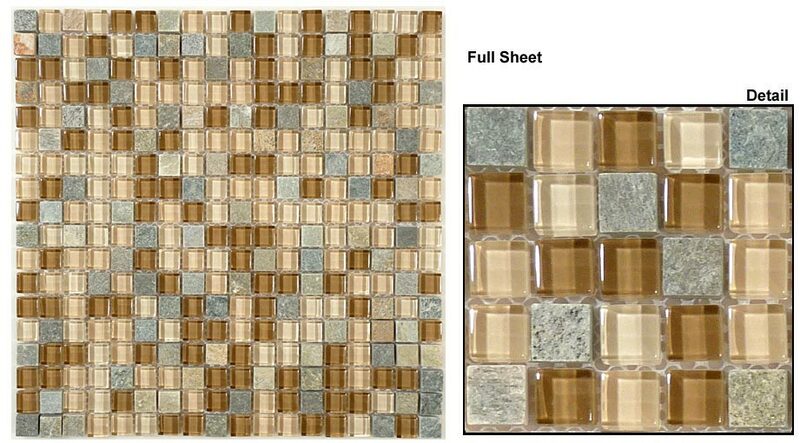 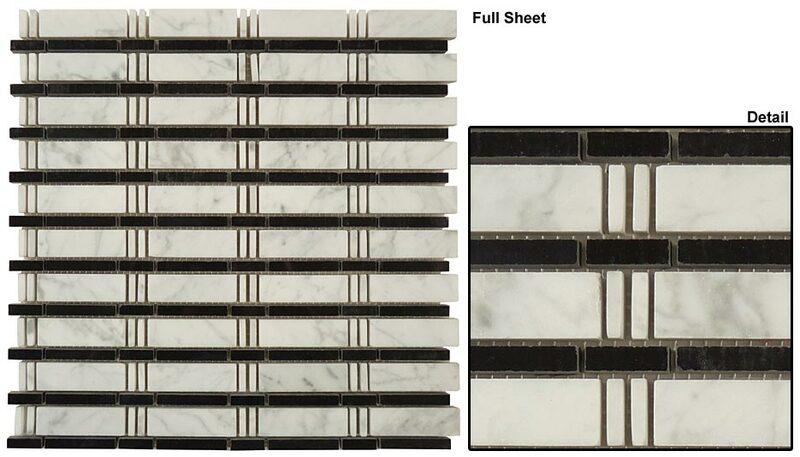 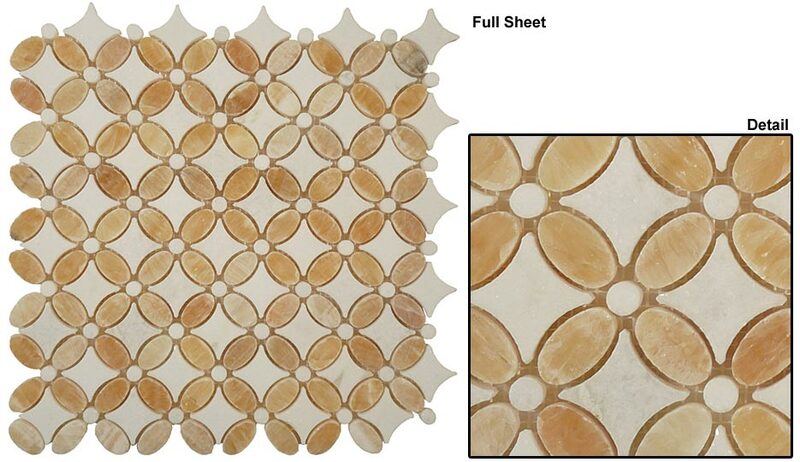 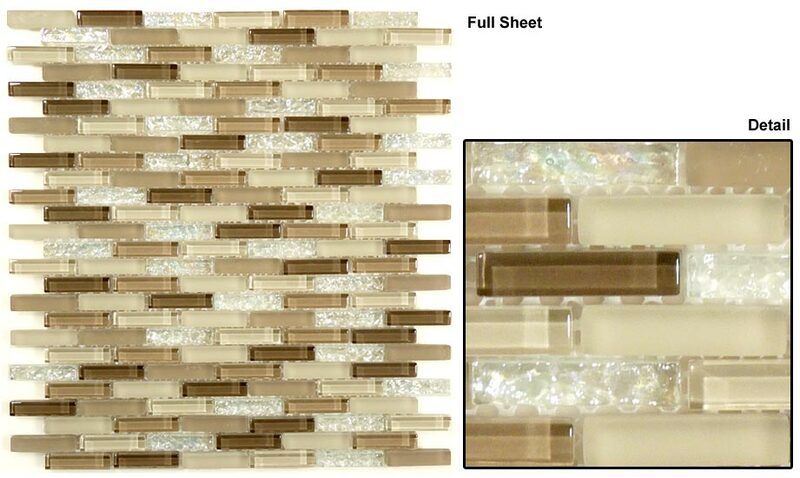 Foothill Tile & Stone Co. offers an exciting range of glass tile from intricate mosaics to contemporary large format tile. 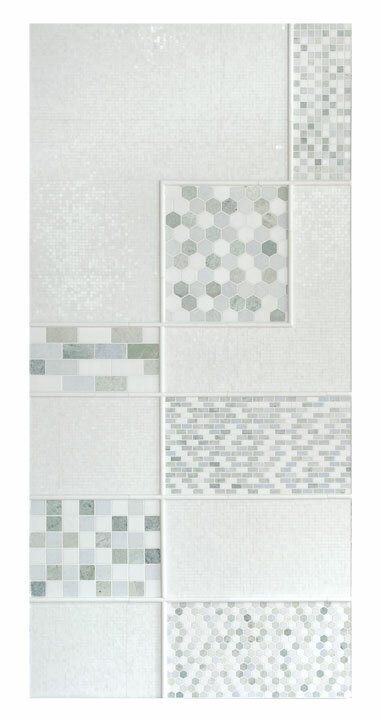 These are all on display in our showroom. 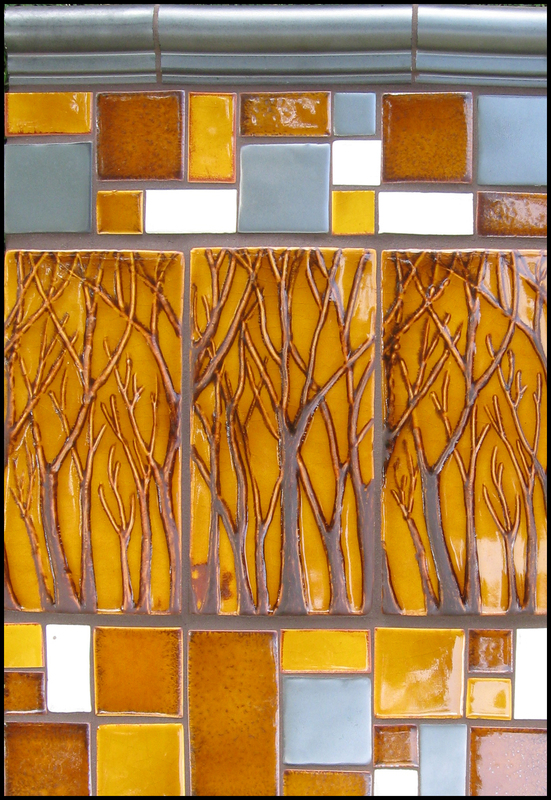 Glass is a constantly evolving form of artistry while being a very exciting medium to work with. 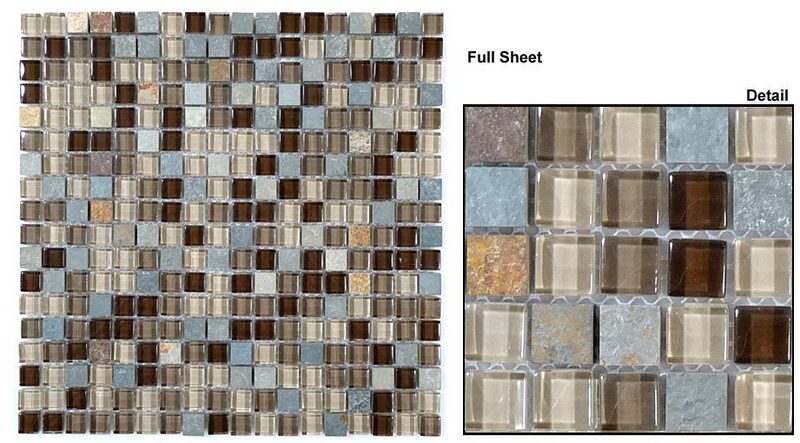 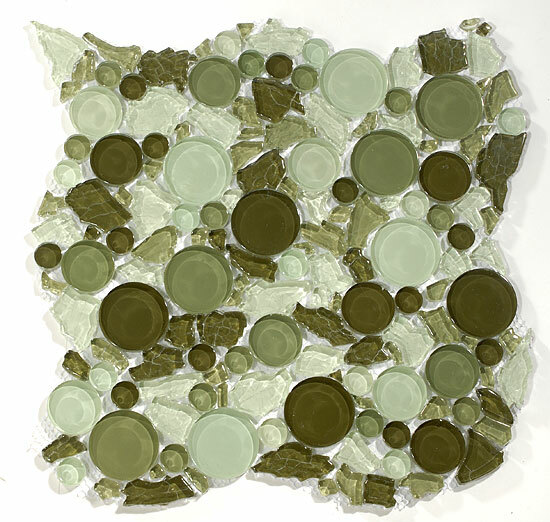 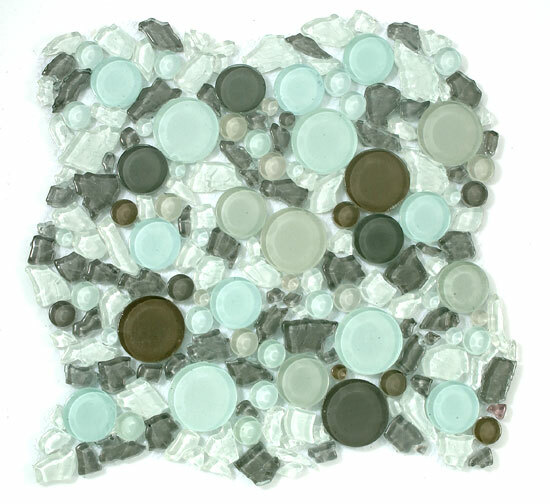 From natural earthy tones in beautiful colors to the fresh and crisp contemporary styles, our glass tile collections offer a world of innovative possibilities. 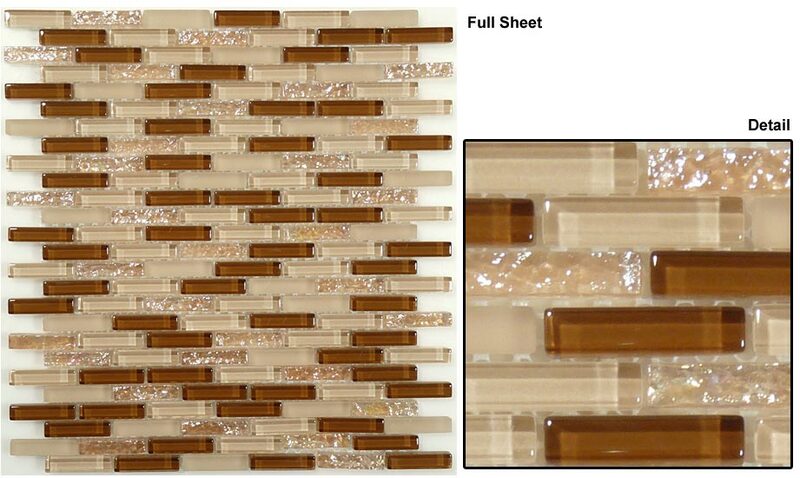 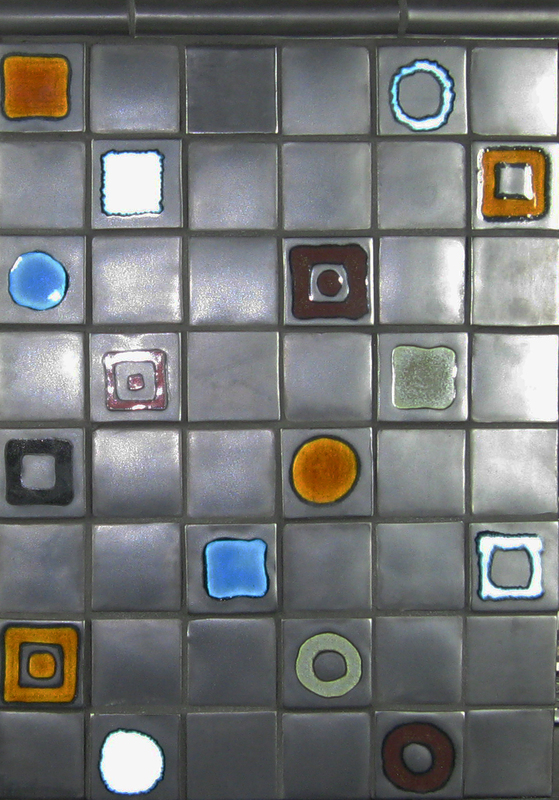 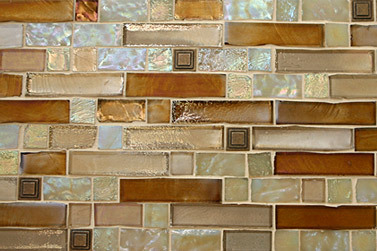 Shimmering, luminescent and radiant glass tiles are the results of a creative technology meeting with old traditions giving us an endless array of possibilities in creating a unique installation in your home or workplace. 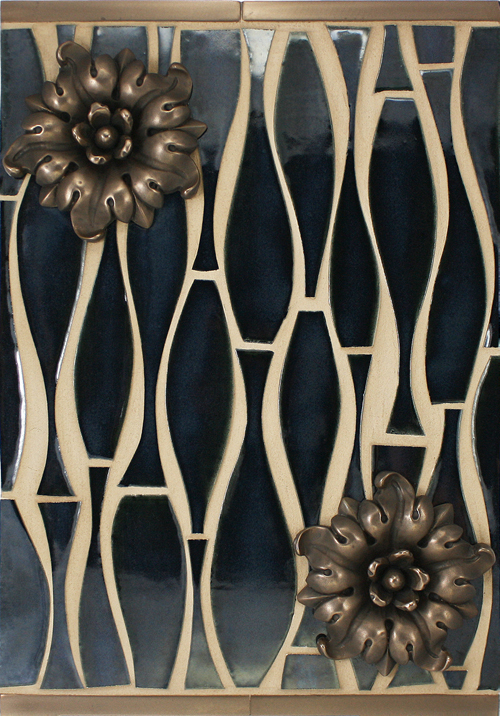 Stop by our beautiful showrooms and we will explore some wonderful design ideas with you. 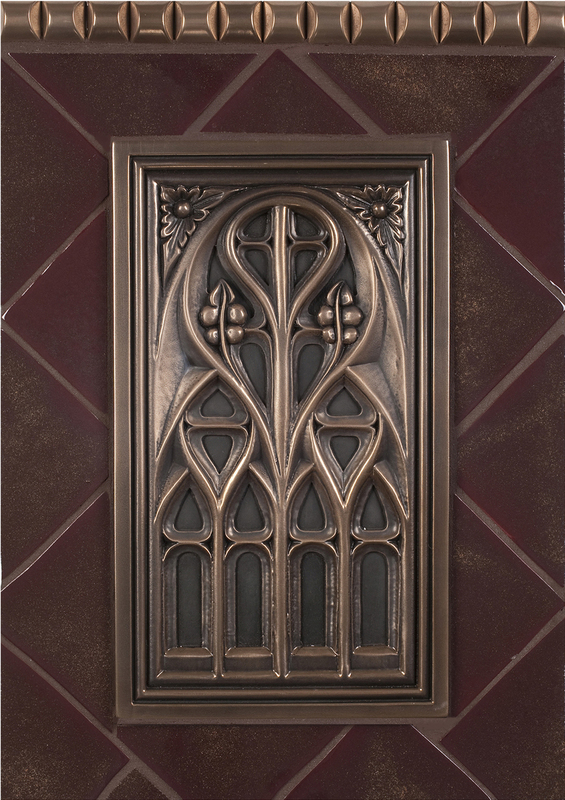 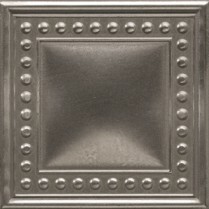 The art of metal work has evolved to such a degree over the years, that it has become a staple in all design fields. 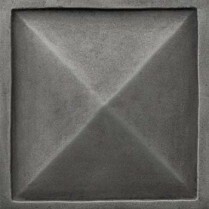 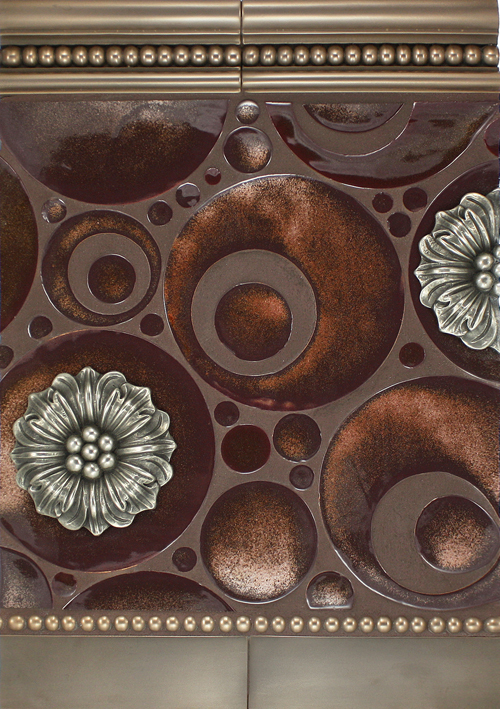 Used on an all-over surface or as accents complementing natural stone, metal tiles whether solid or brushed, throw a new dimension on today's world of artistic tile. 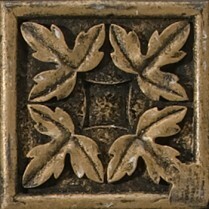 Left to patina, time only adds to its classic beauty and richness. 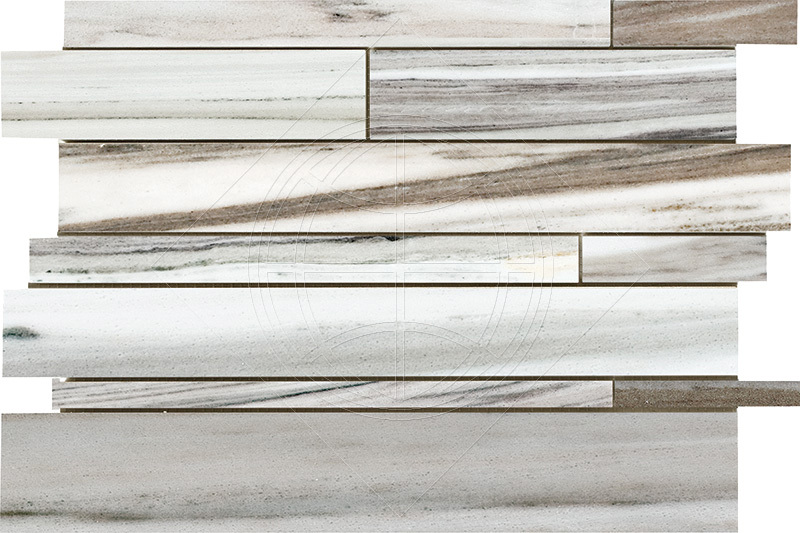 View the endless possibilities and finishes displayed in our beautiful showrooms by the Foothills. 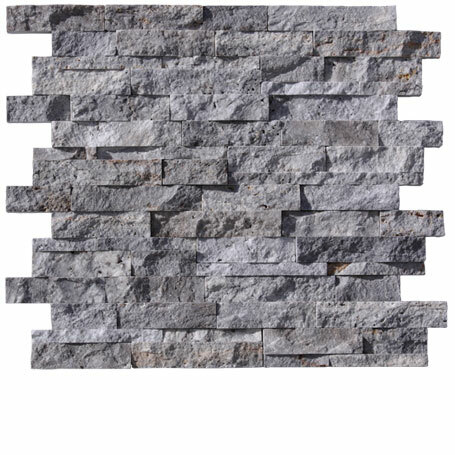 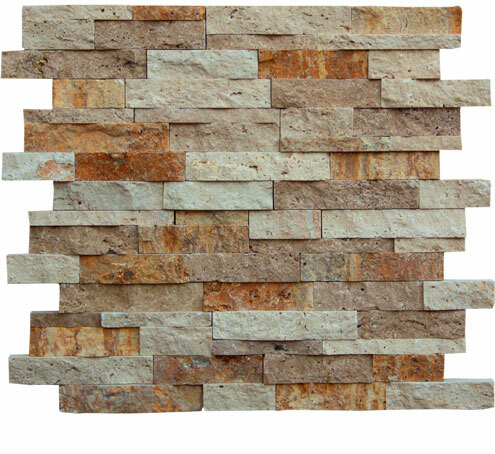 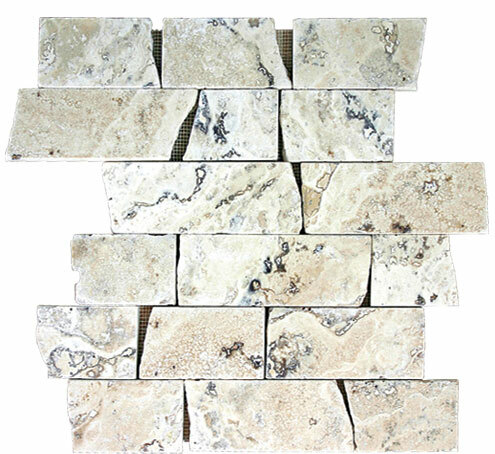 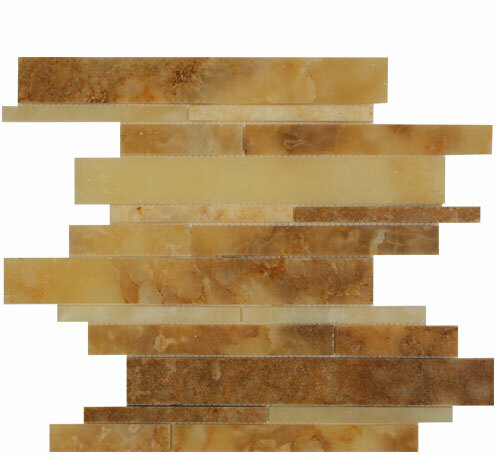 Mankind has always been enamored with the richness and allure of Natural Stone. 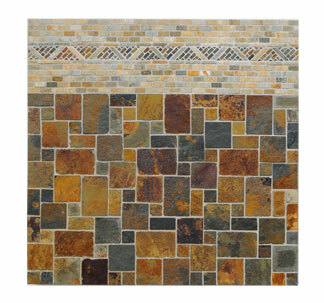 The beauty, the touch, the warmth and excitement of natural stone is integral to our being. 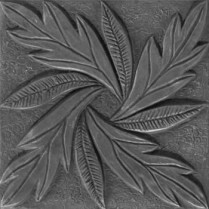 Natural gifts of the earth that have been used through the centuries to create palaces, homes and places of worship are now displayed with pride at Foothill Tile & Stone Co. Breathtaking limestones, slates and beautifully veined marbles all come in a vast variety of shapes, size and an exquisite collection of colors. 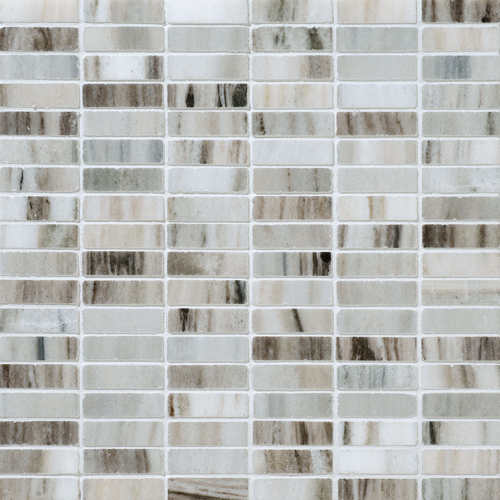 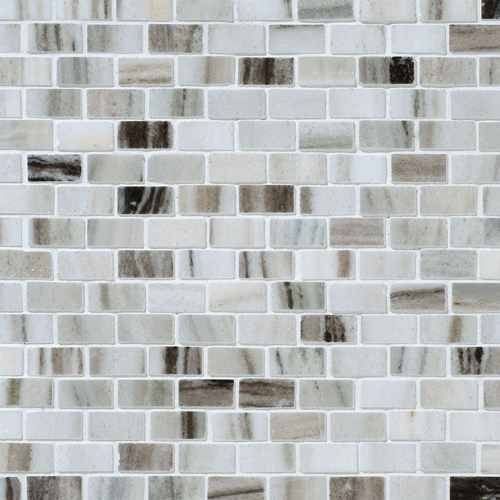 Wall cladding, tiny mosaics, collections in warm crème's to pristine blues - the possibilities are endless and all available at our incredible showrooms in Pasadena and La Canada. 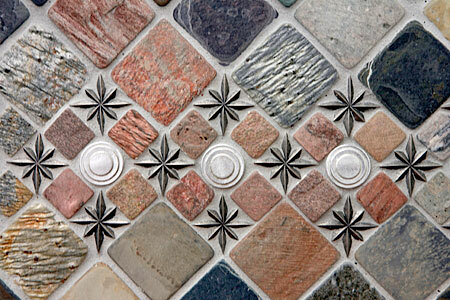 For centuries the art of mosaic has played an important role in art and history. 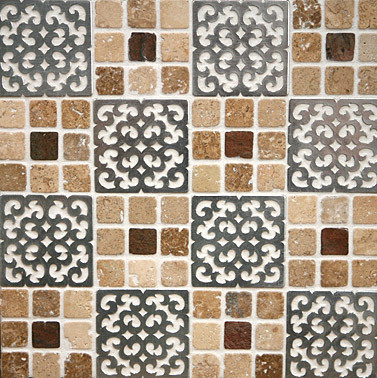 First perfected by the Greeks, then the Romans using fine media such as stone, ceramic and glass depicting their history and their culture. 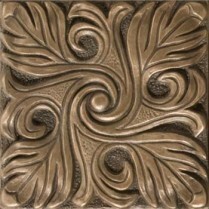 The art form has flourished through the ages and has evolved into today's contemporary trends. 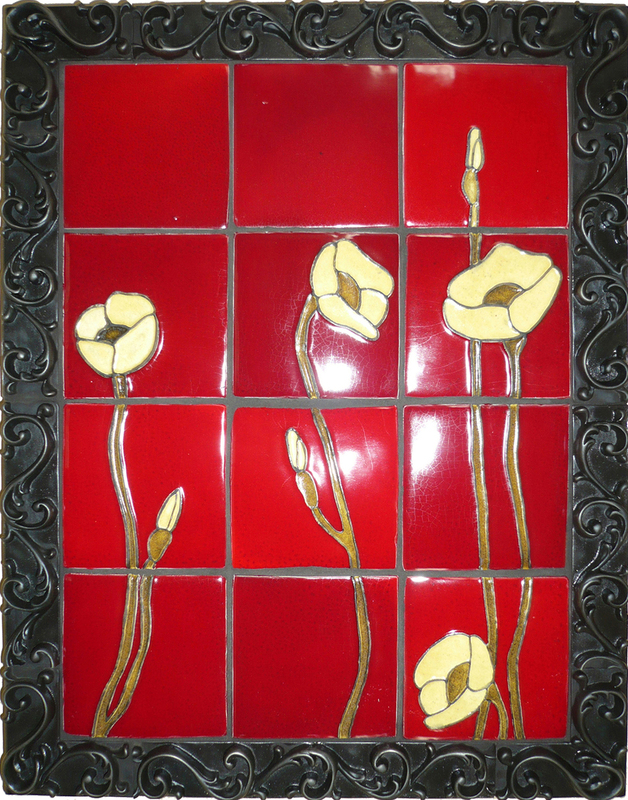 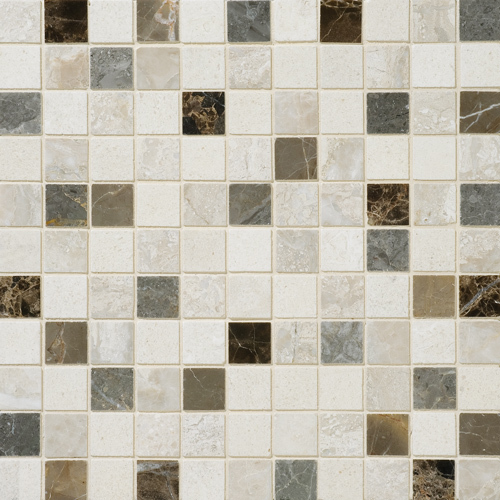 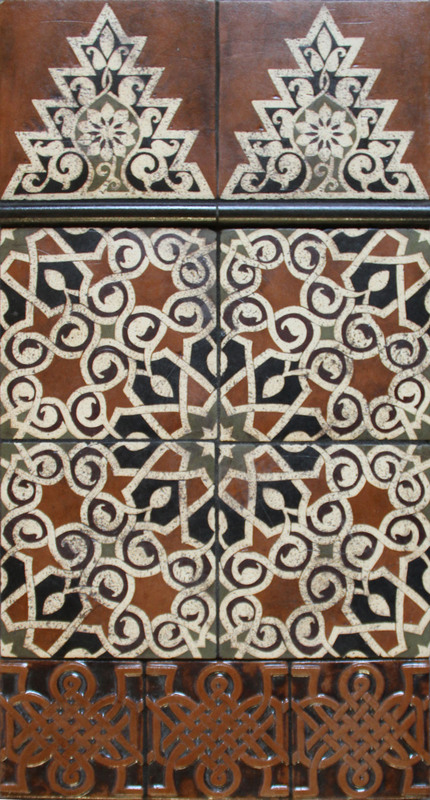 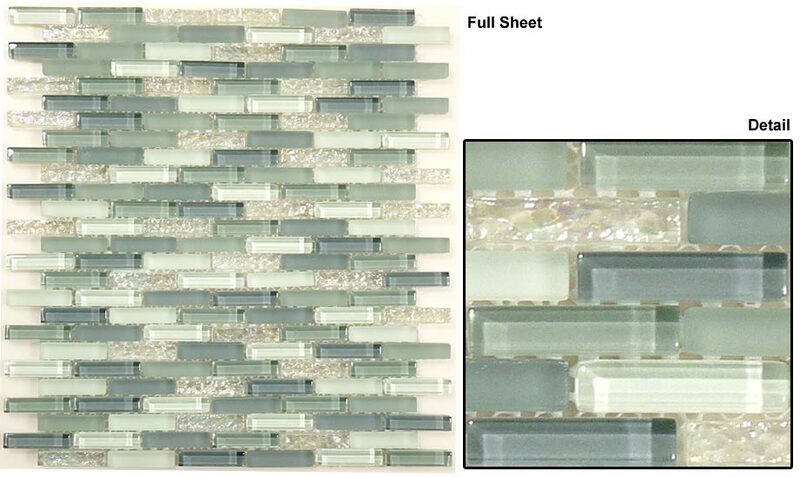 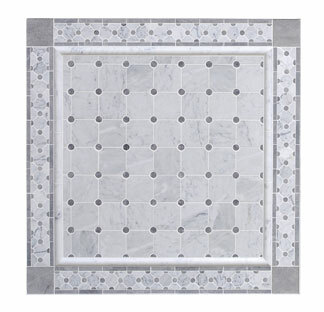 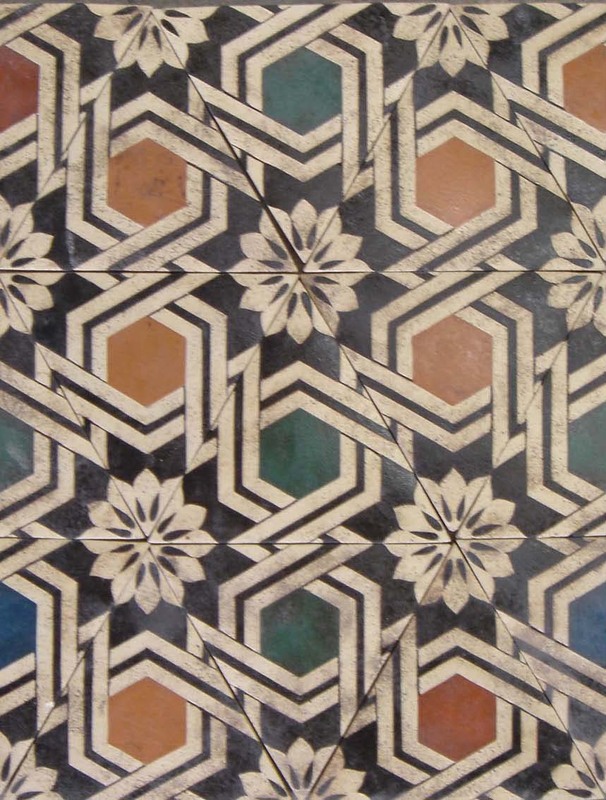 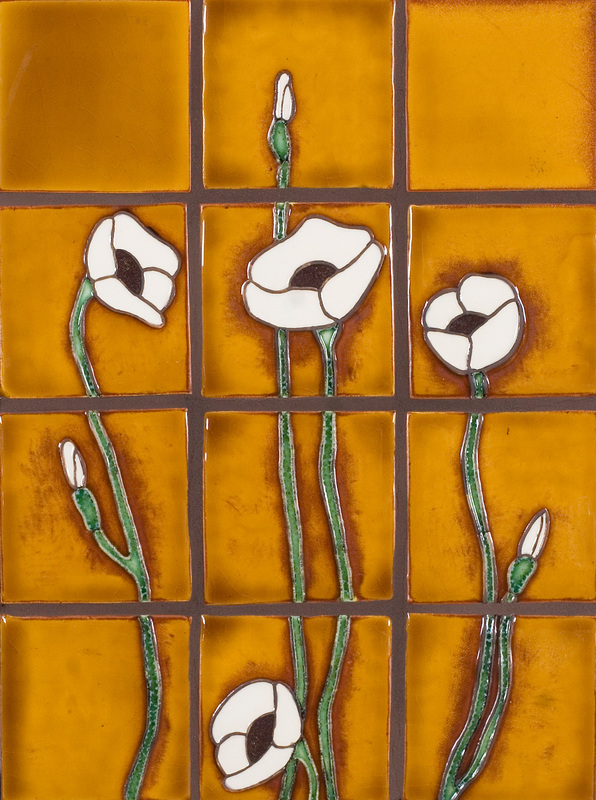 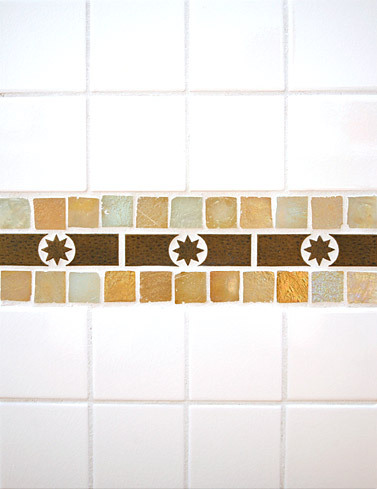 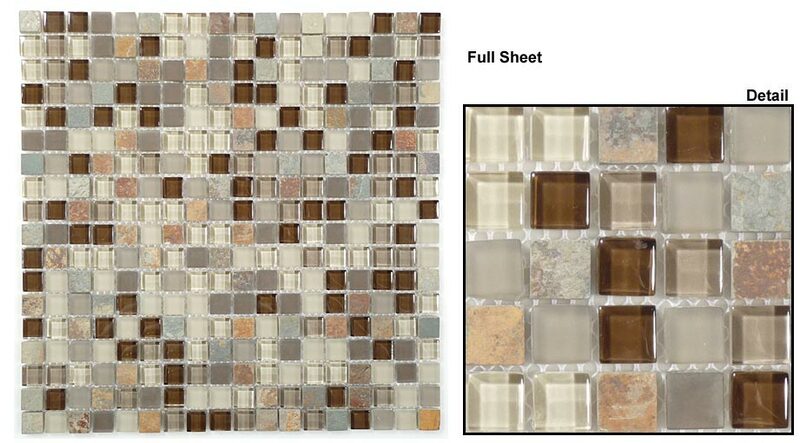 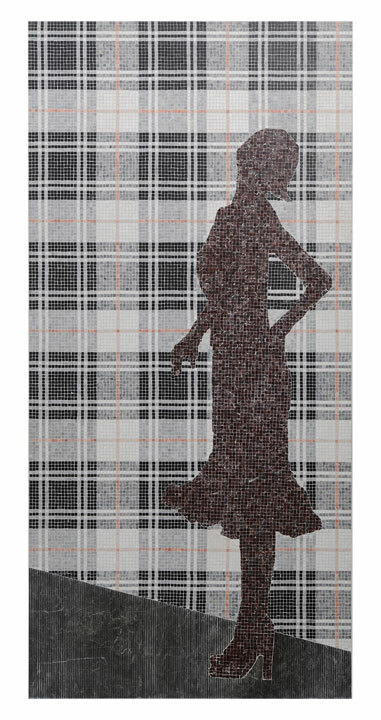 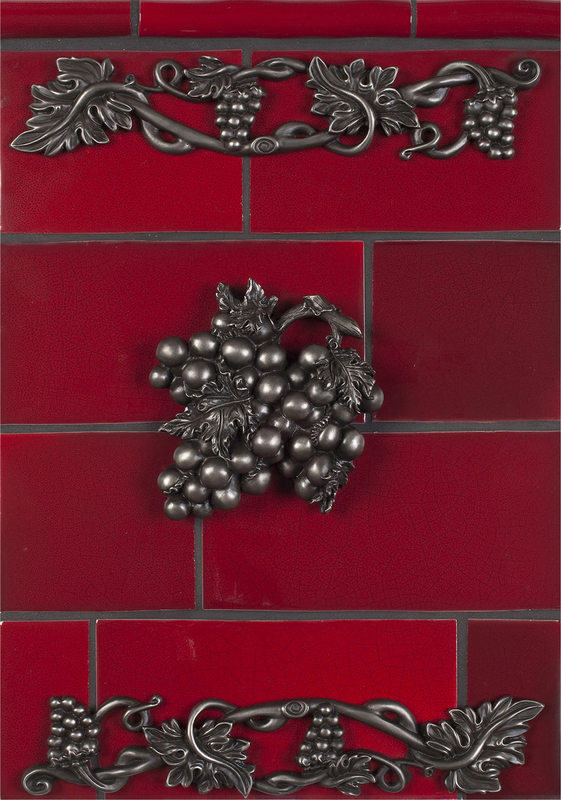 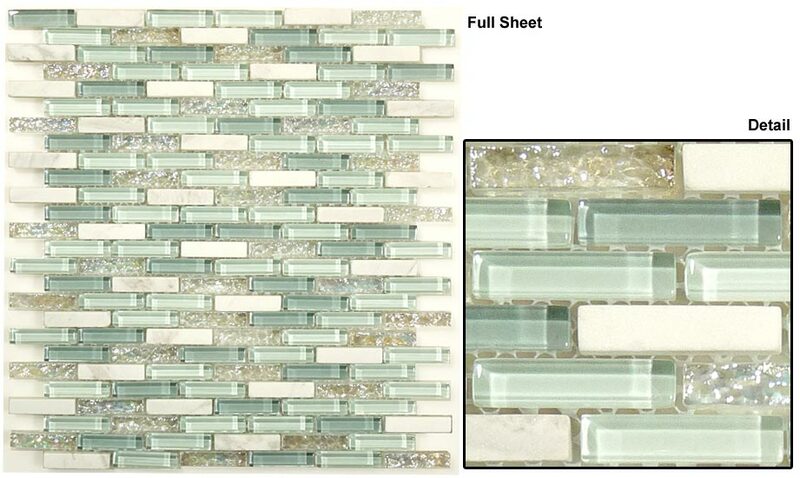 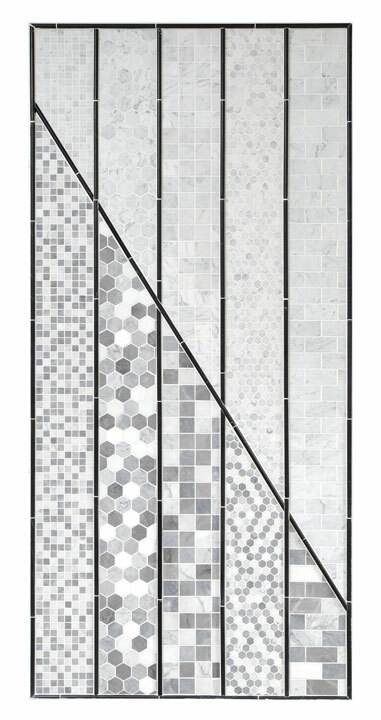 The time-honored tradition of mosaic will bring beauty and art into your home. 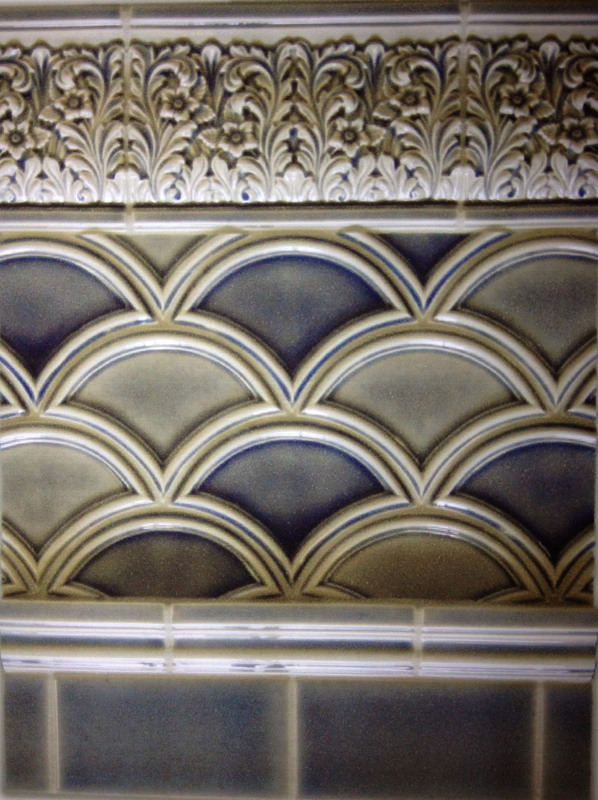 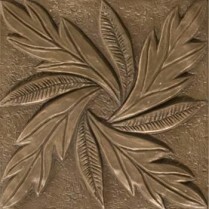 New water jet technologies now allow us to offer beautiful flowing and elegant designs. 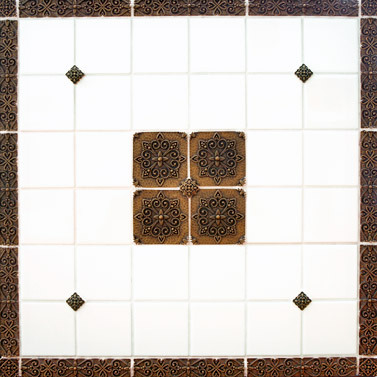 Visit our beautiful showrooms in Pasadena or La Canada to explore new and creative ideas. 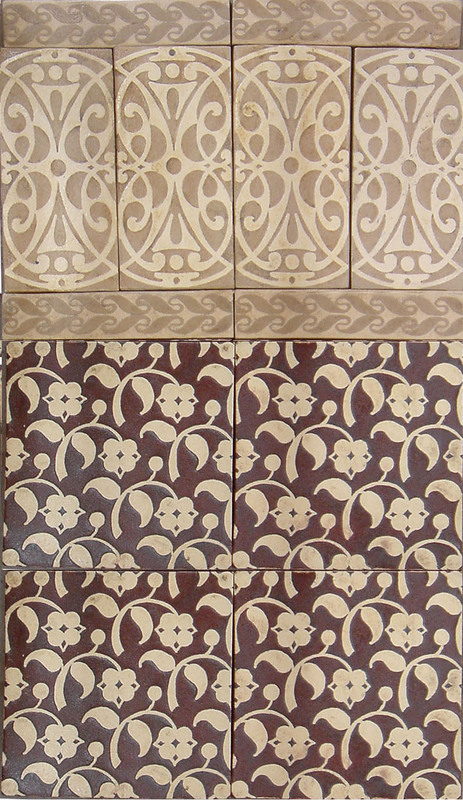 Terra-cotta is one of the oldest crafts known today. 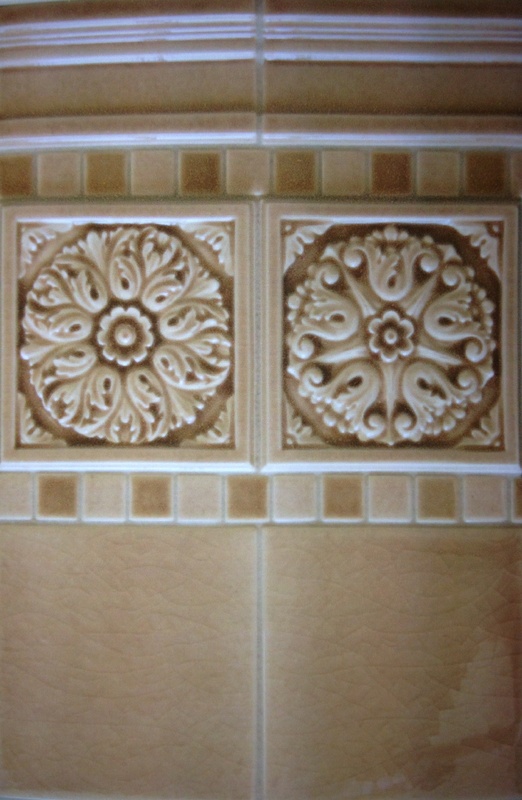 Clay quarried from the earth is worked and molded, then sun dried before it is baked at a very high temperature. 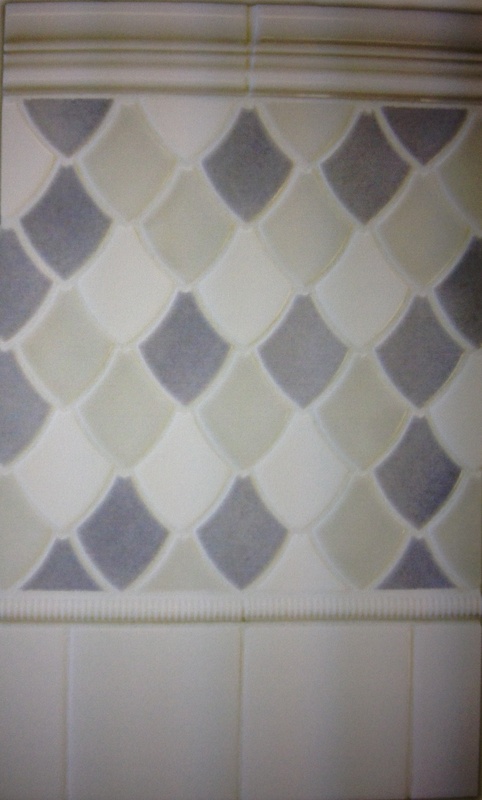 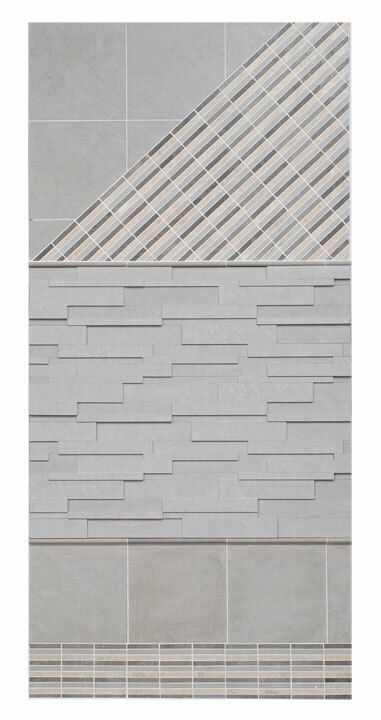 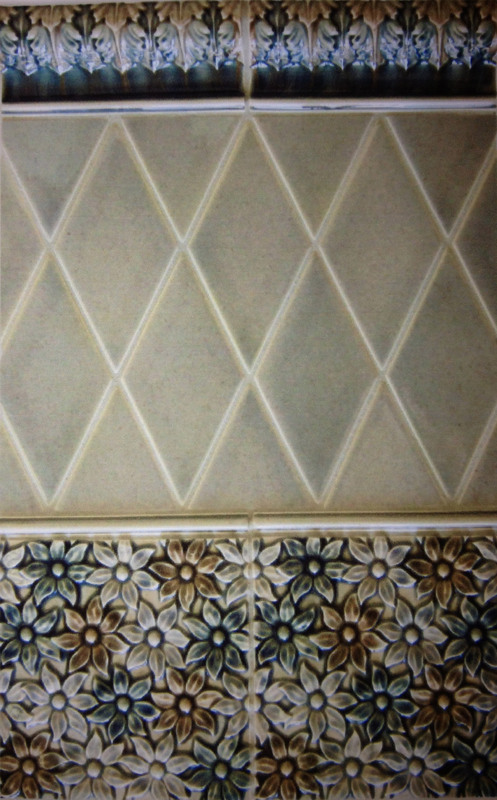 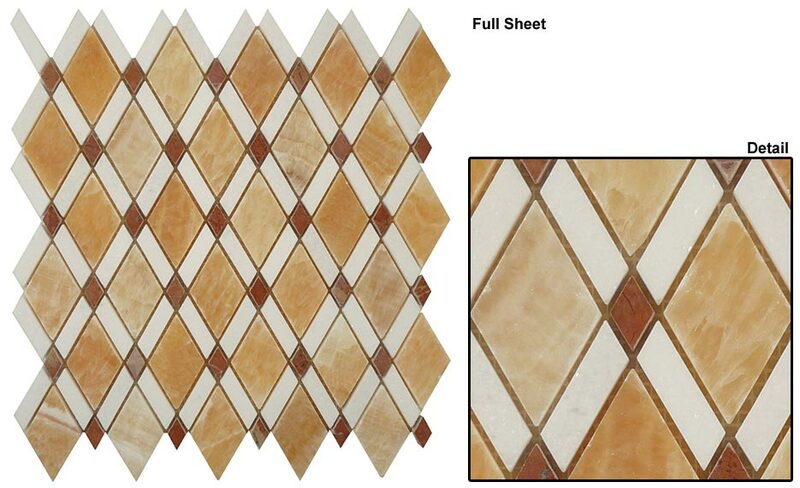 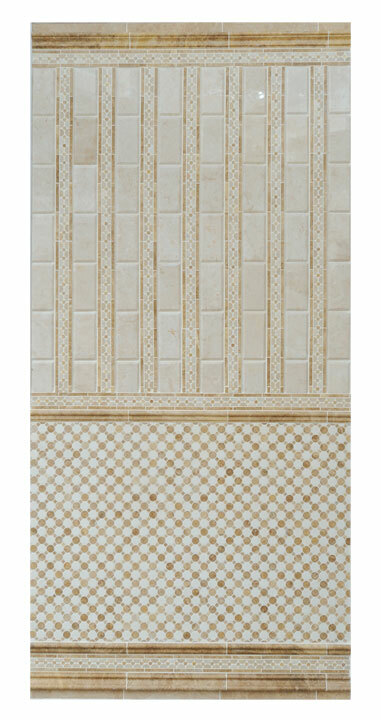 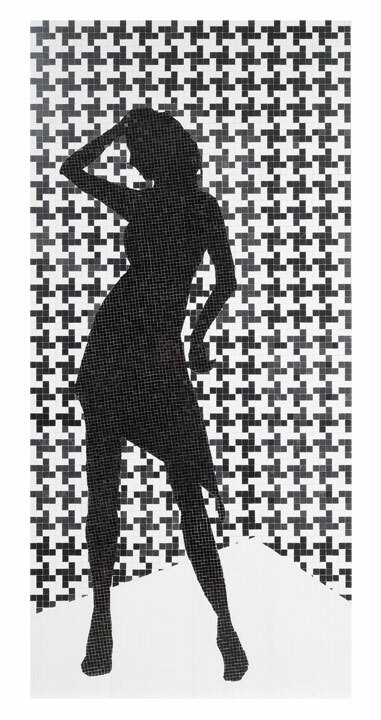 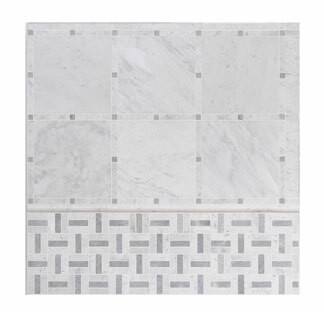 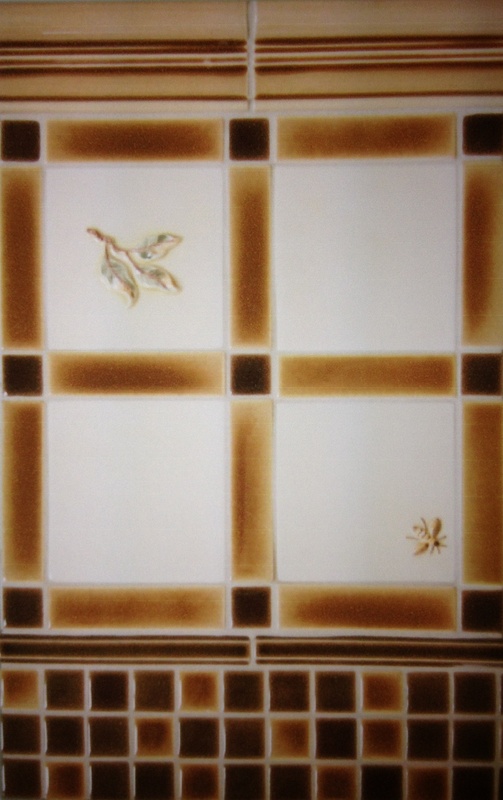 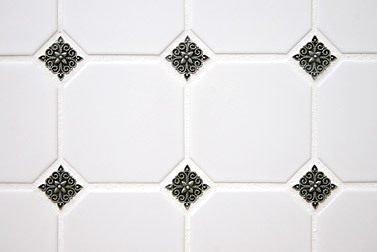 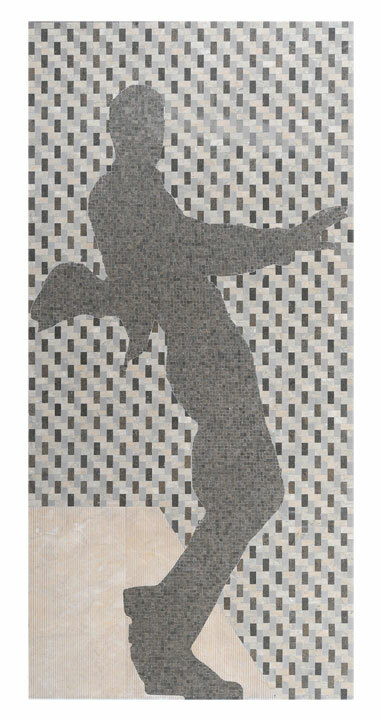 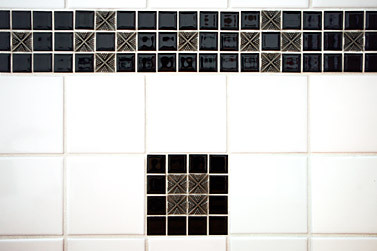 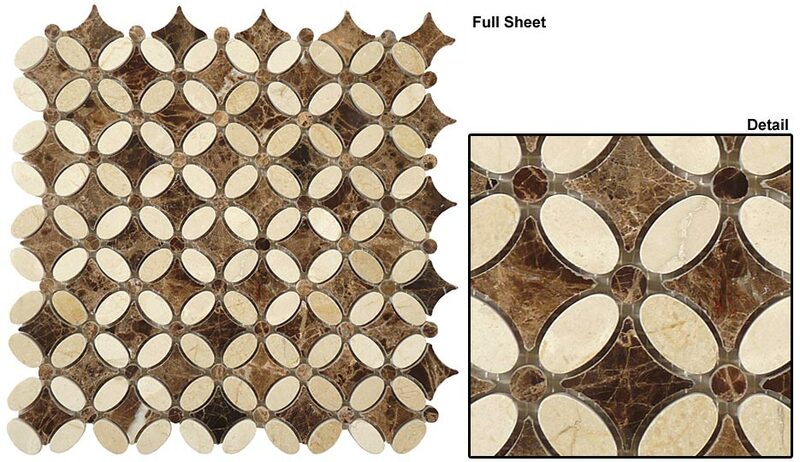 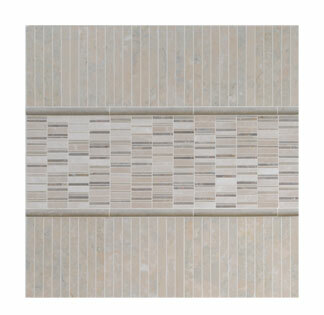 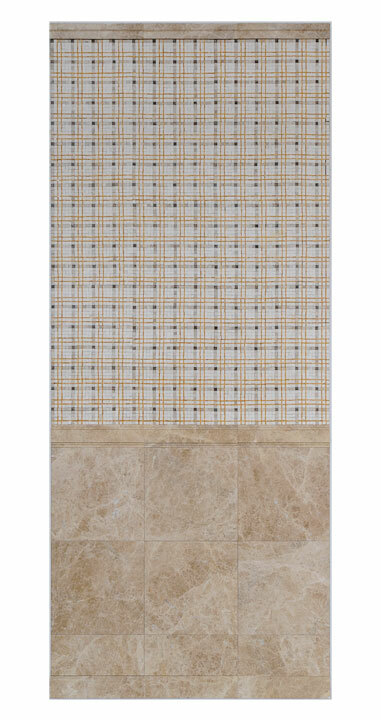 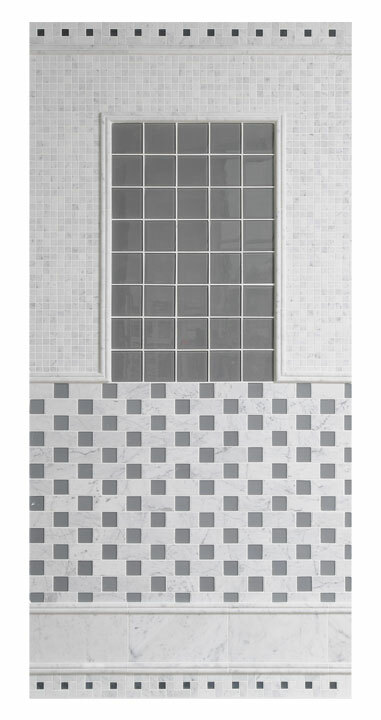 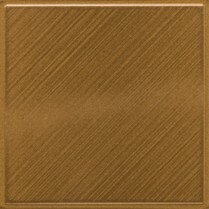 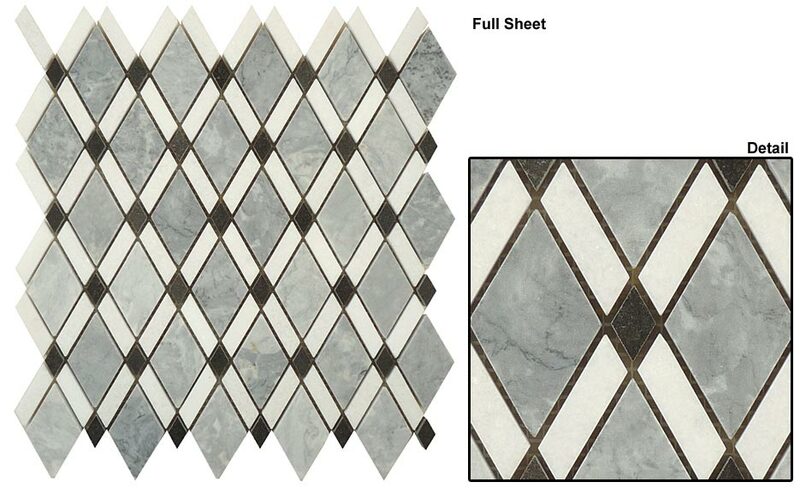 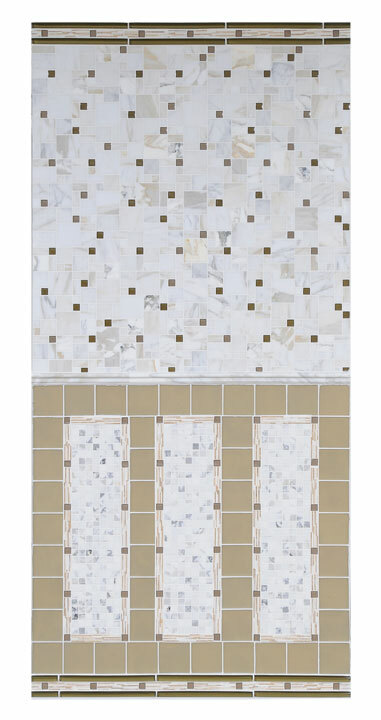 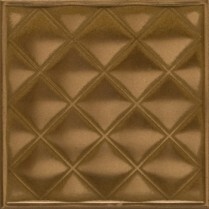 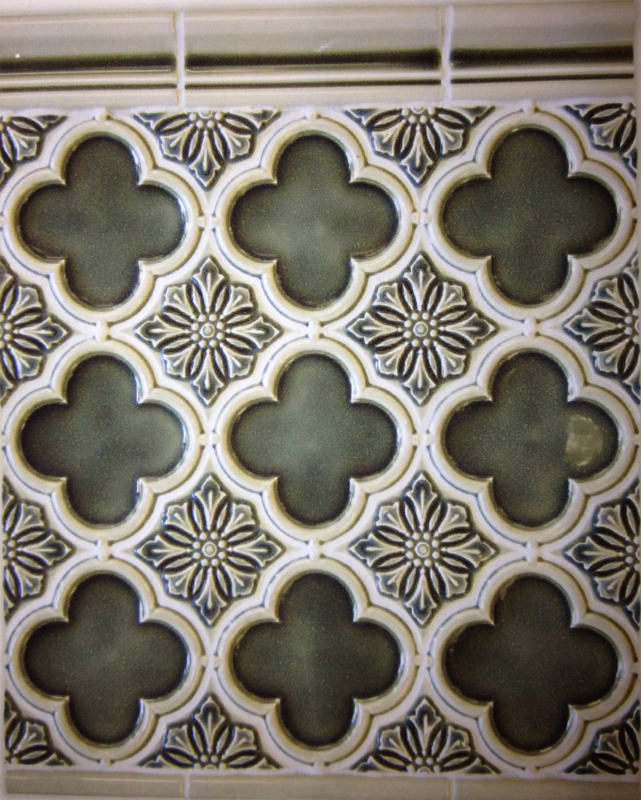 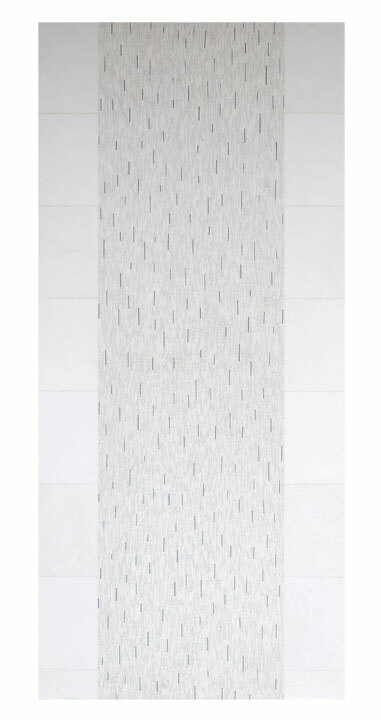 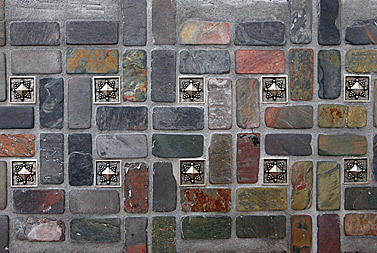 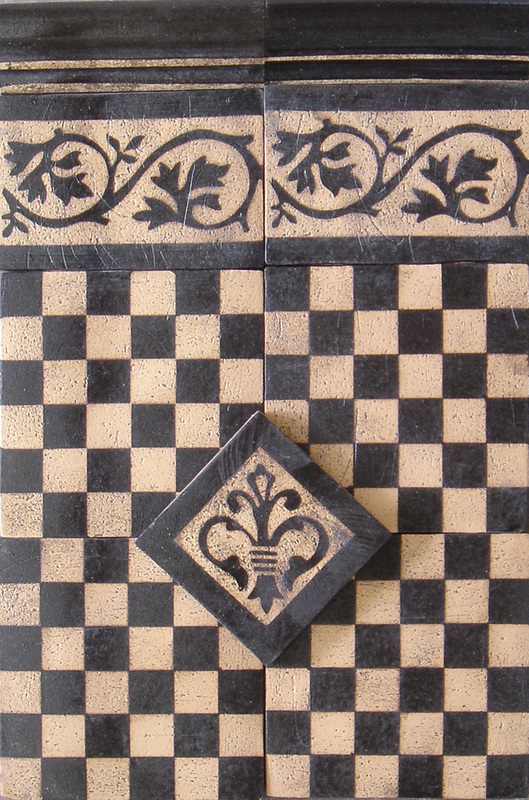 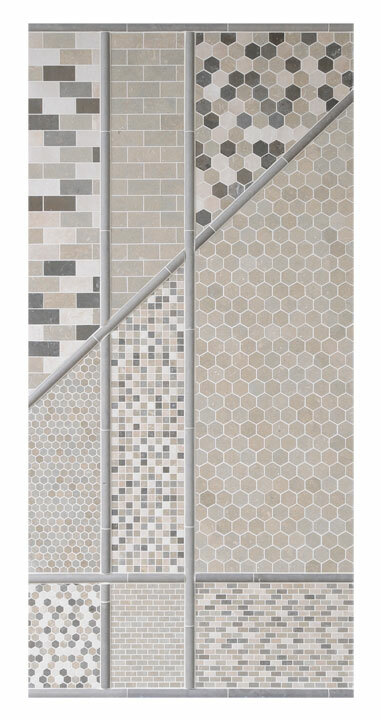 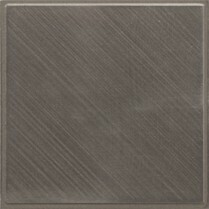 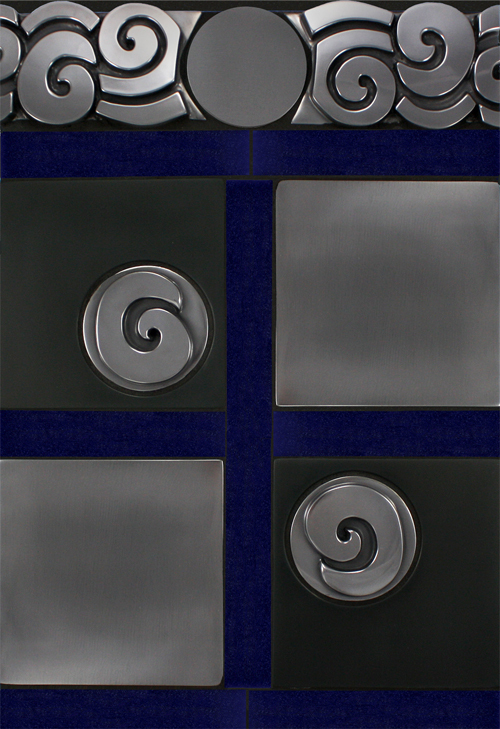 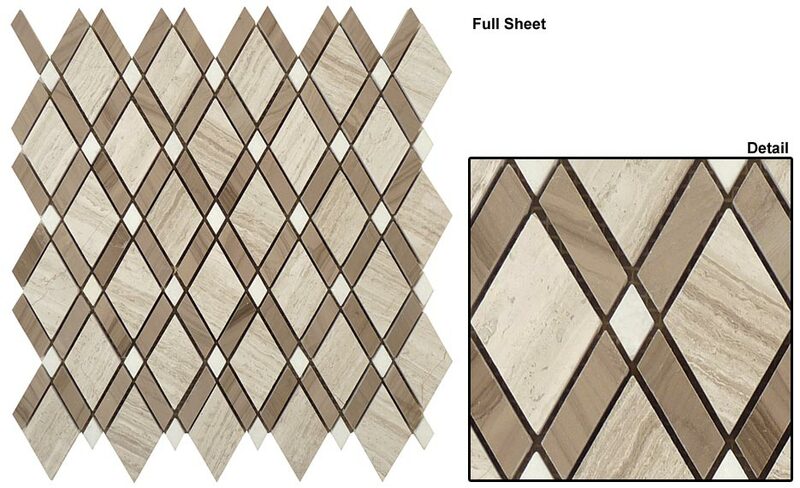 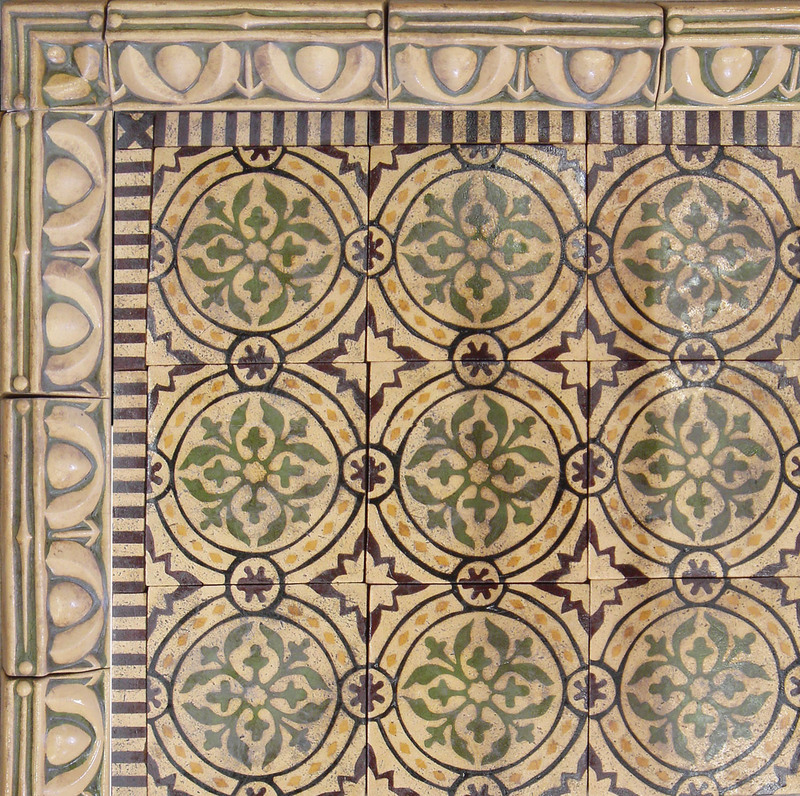 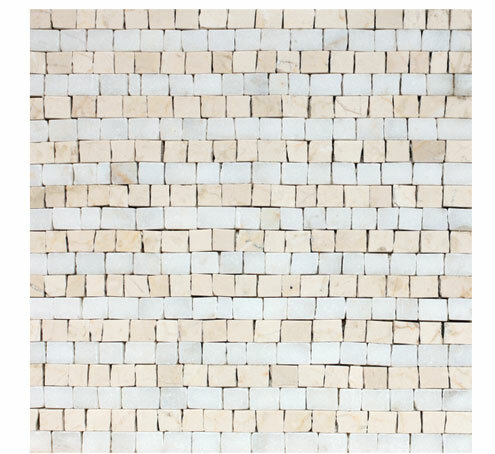 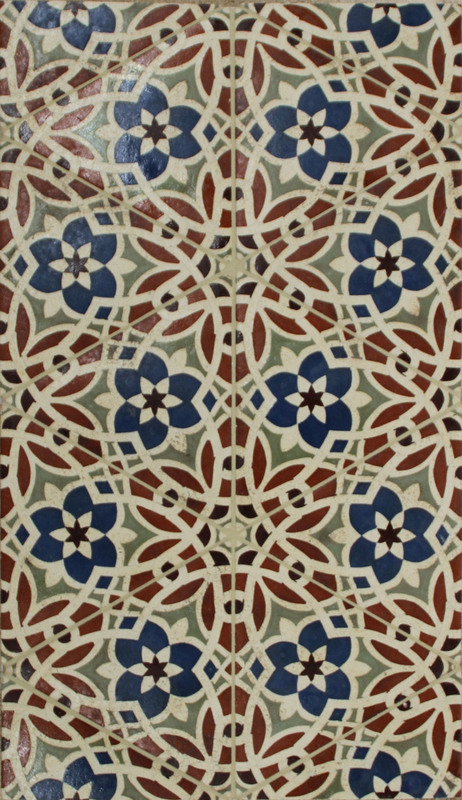 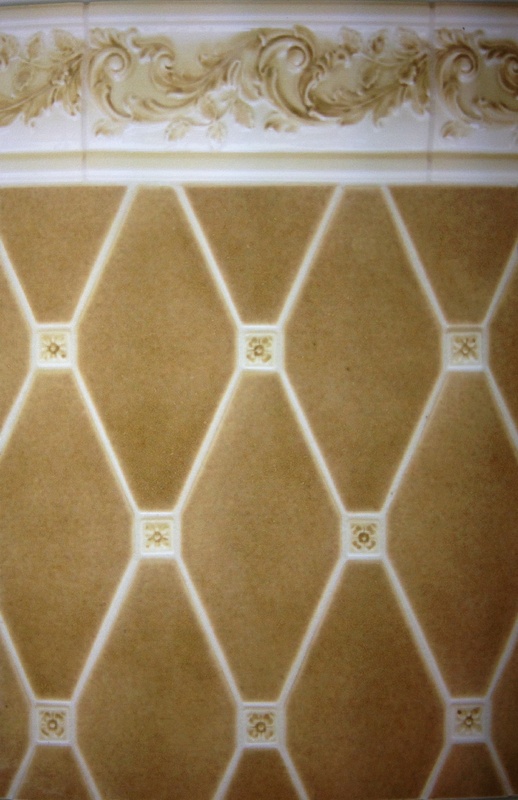 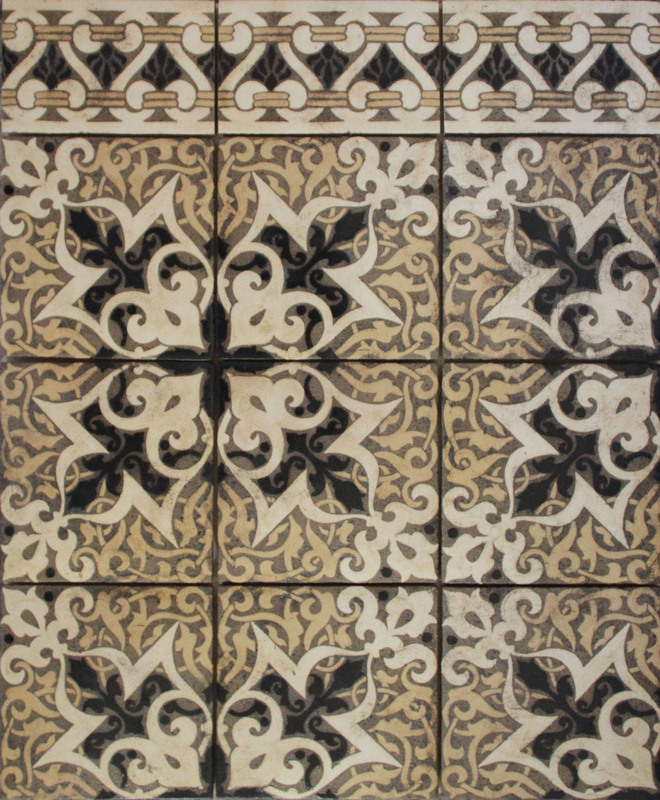 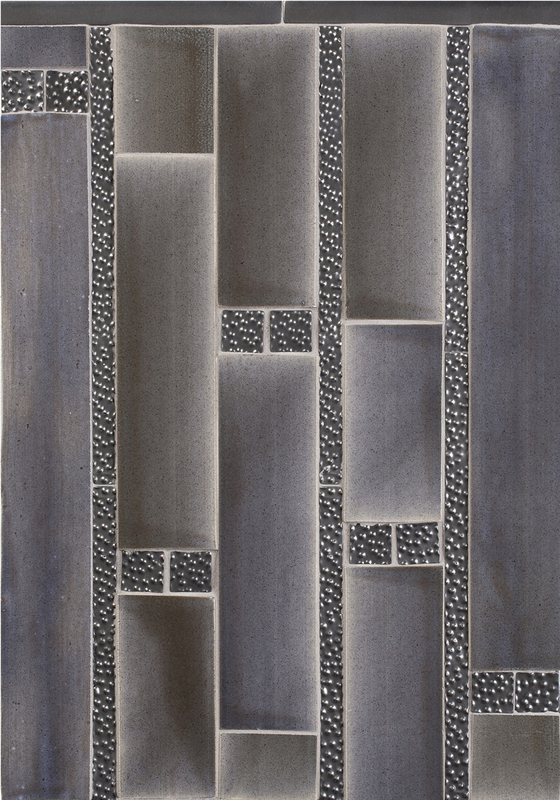 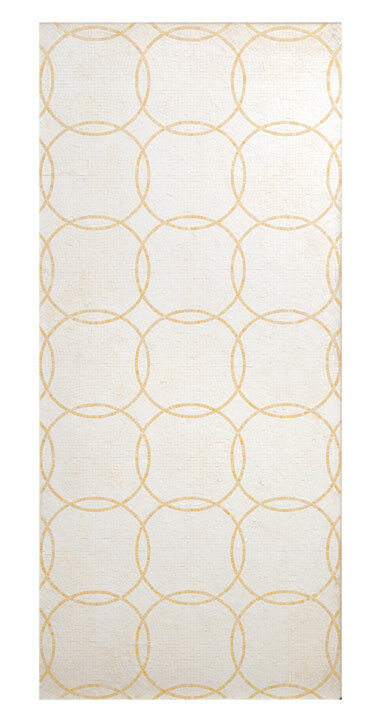 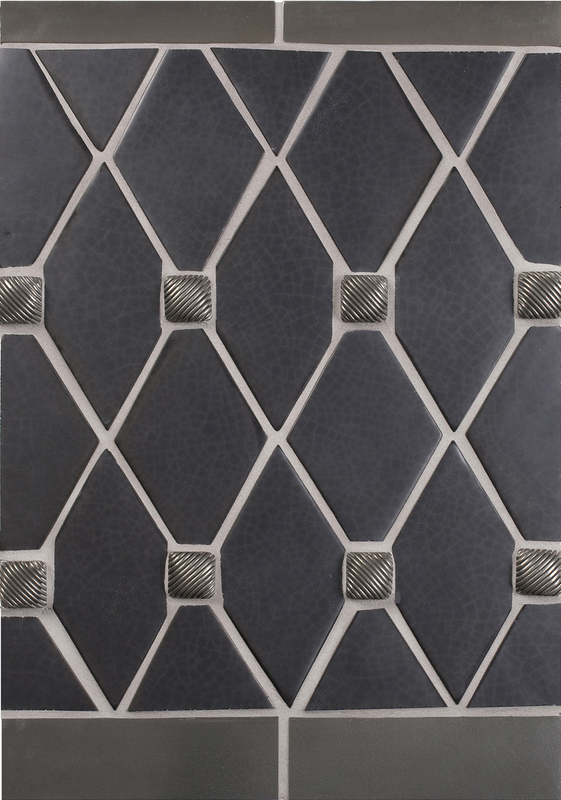 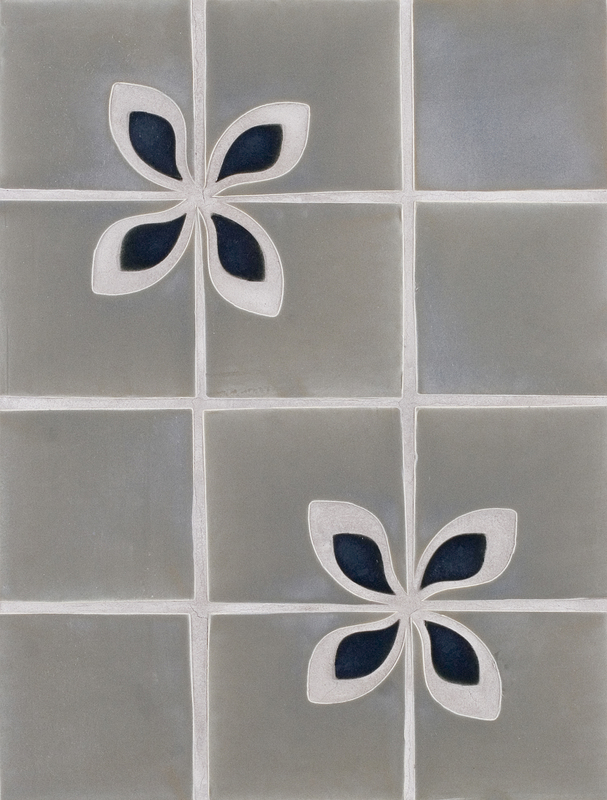 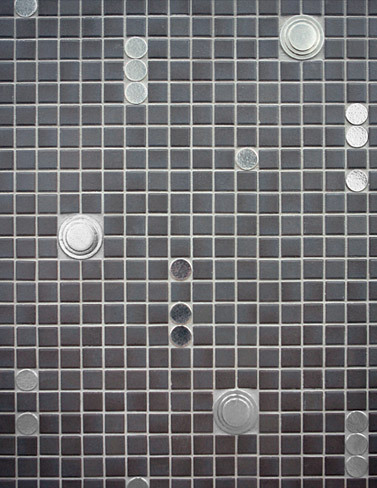 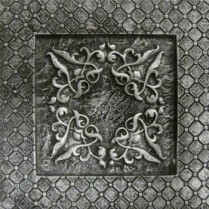 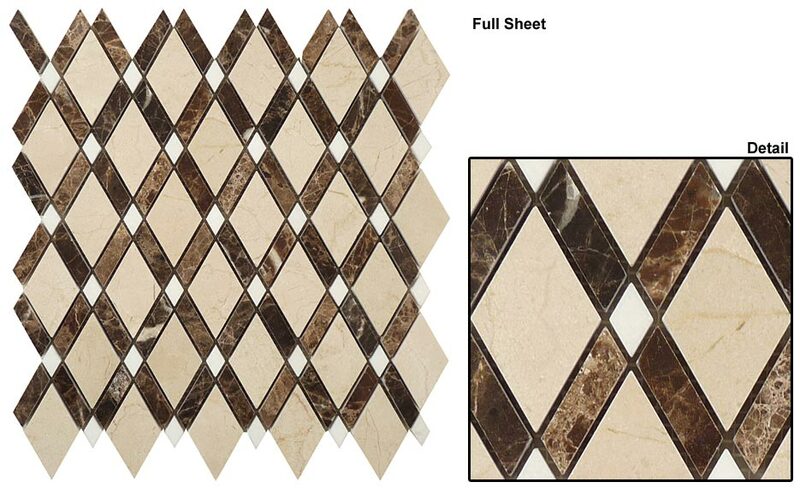 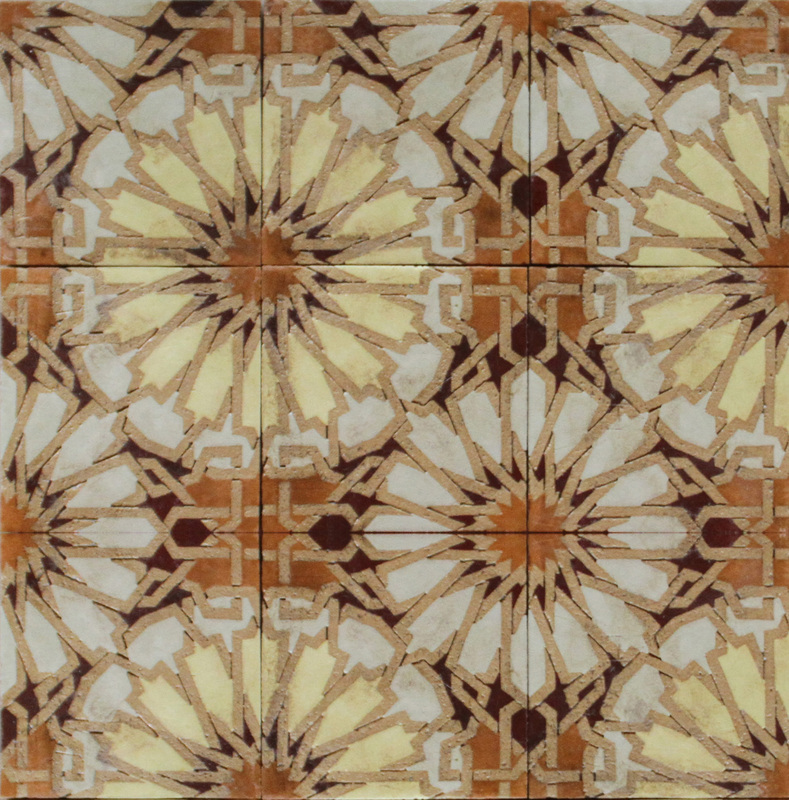 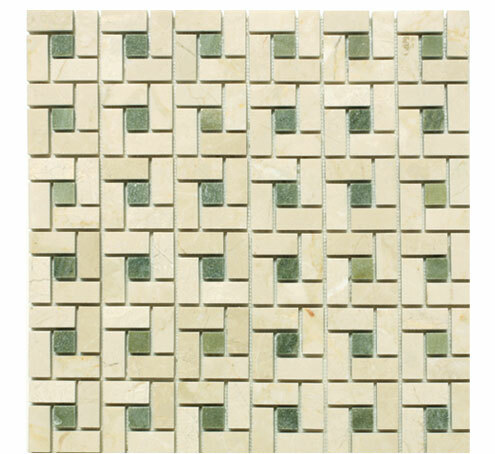 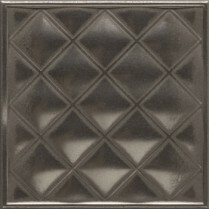 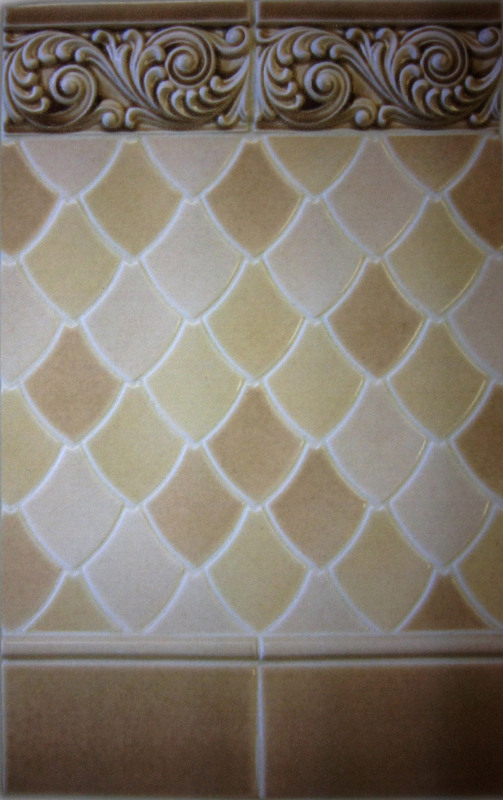 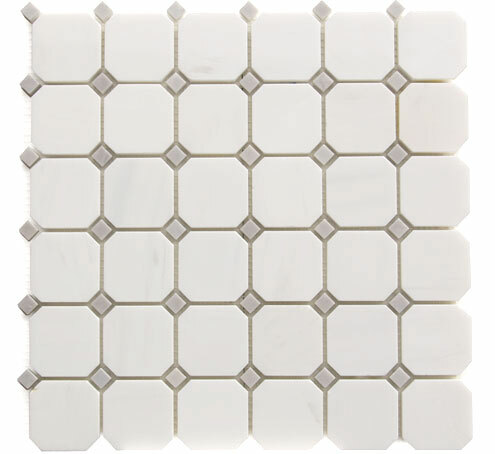 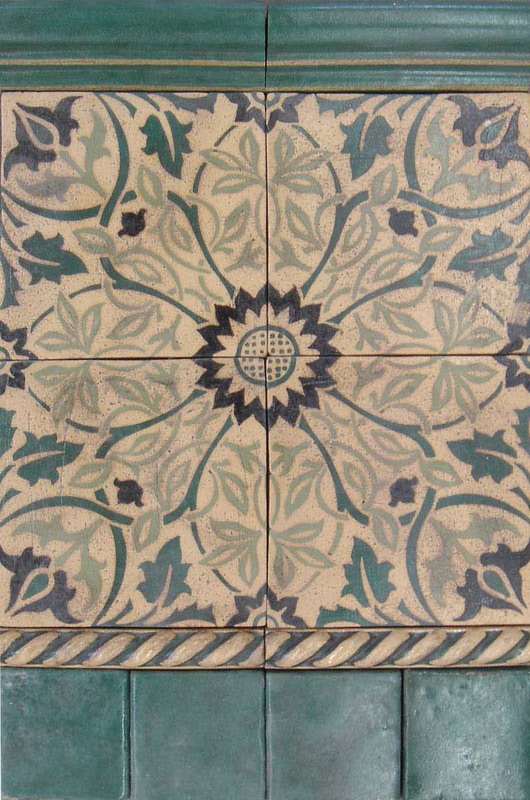 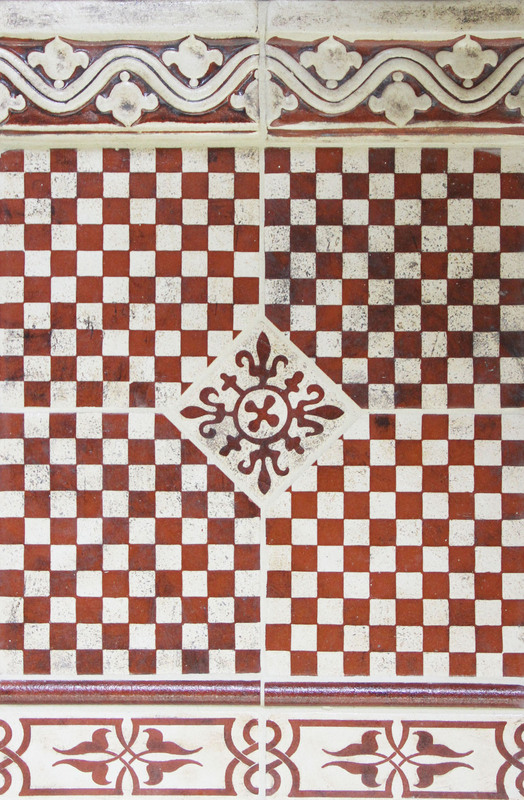 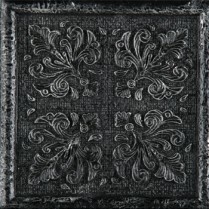 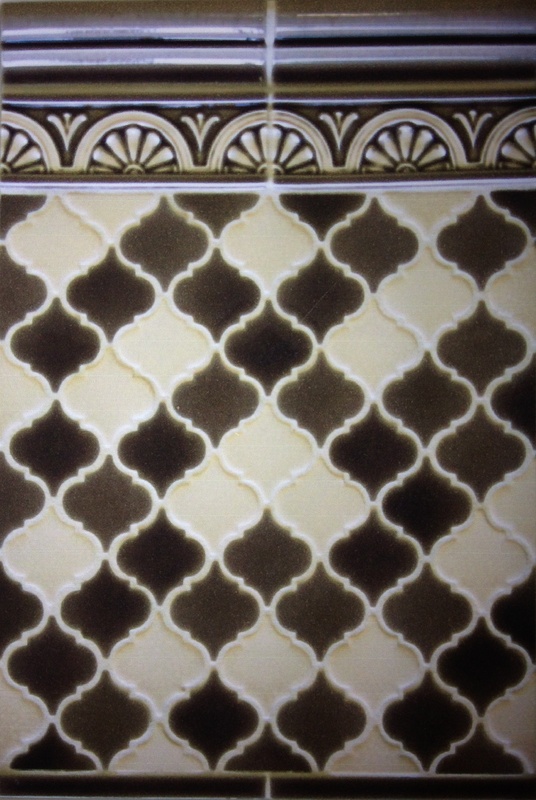 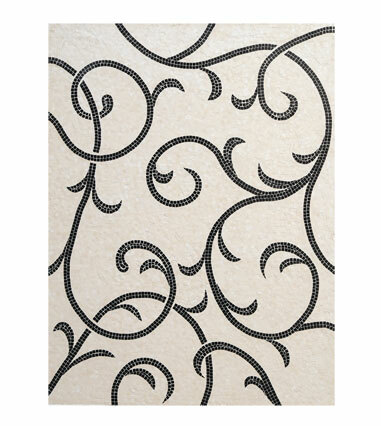 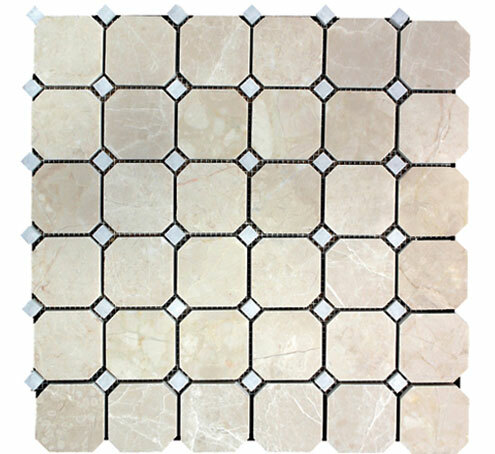 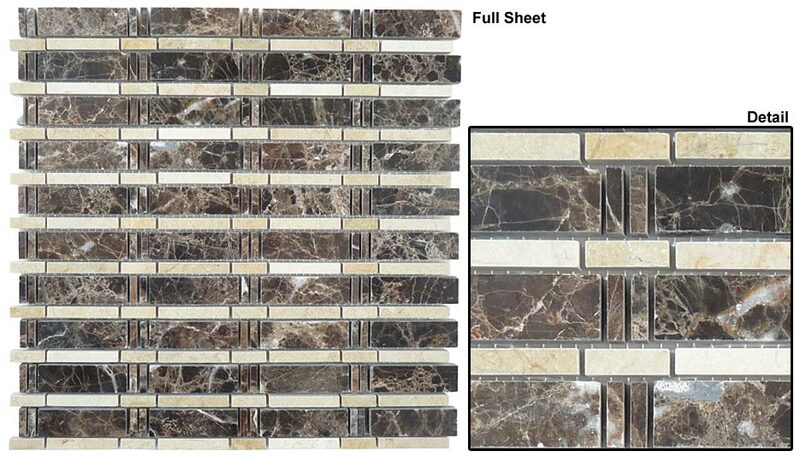 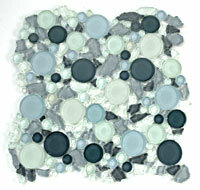 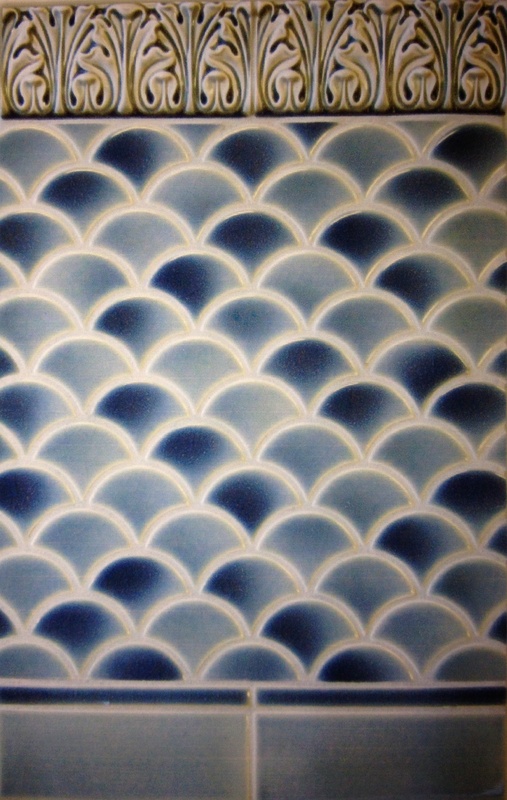 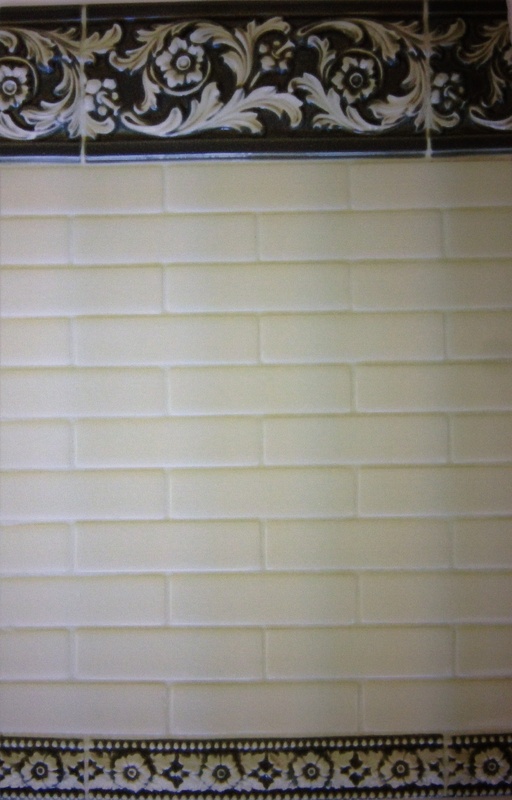 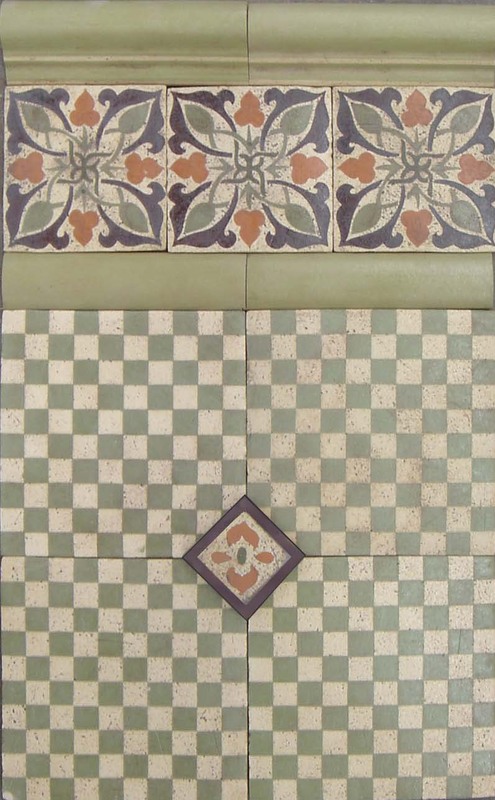 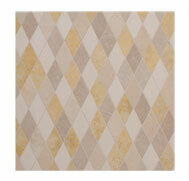 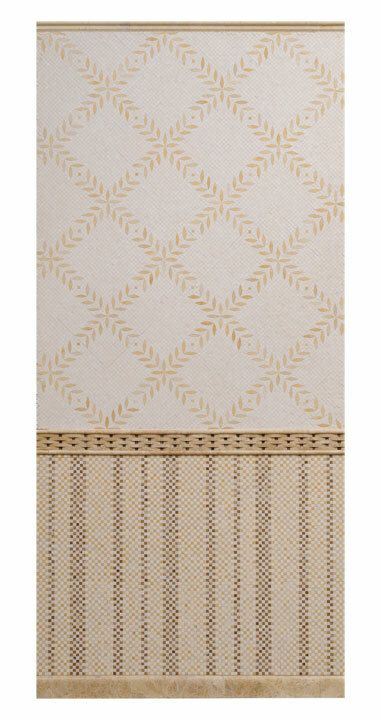 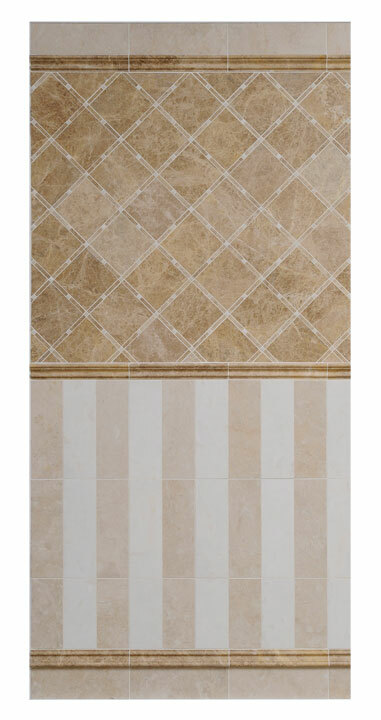 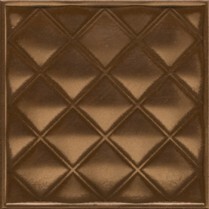 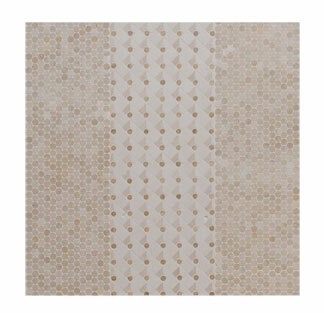 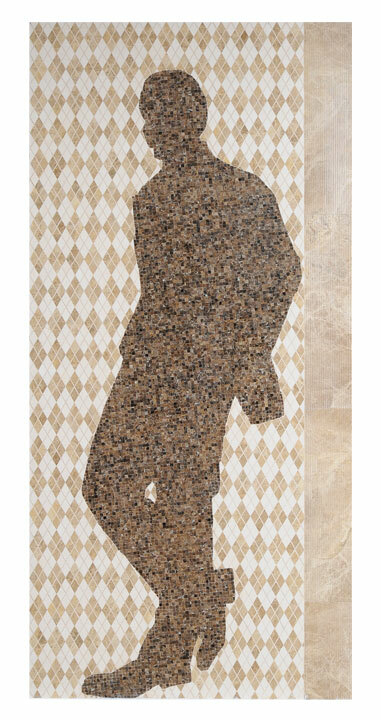 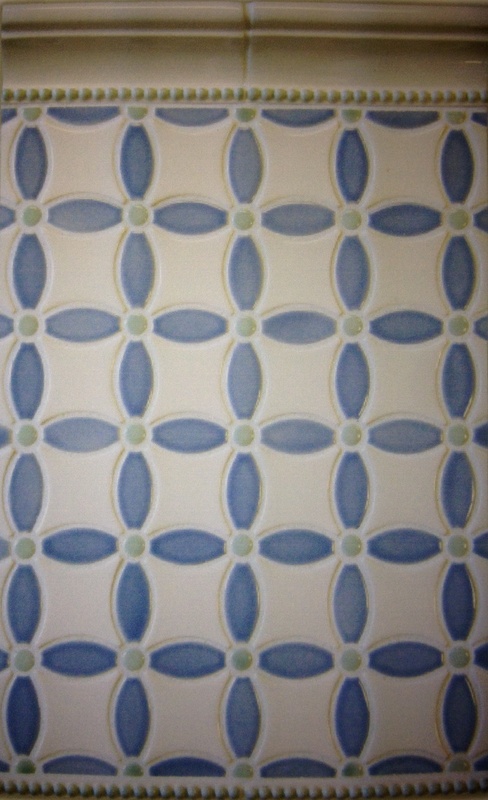 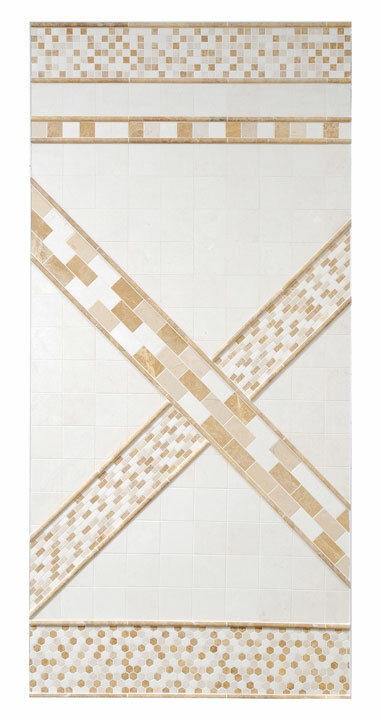 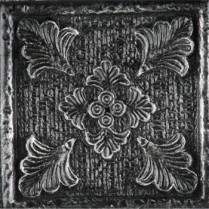 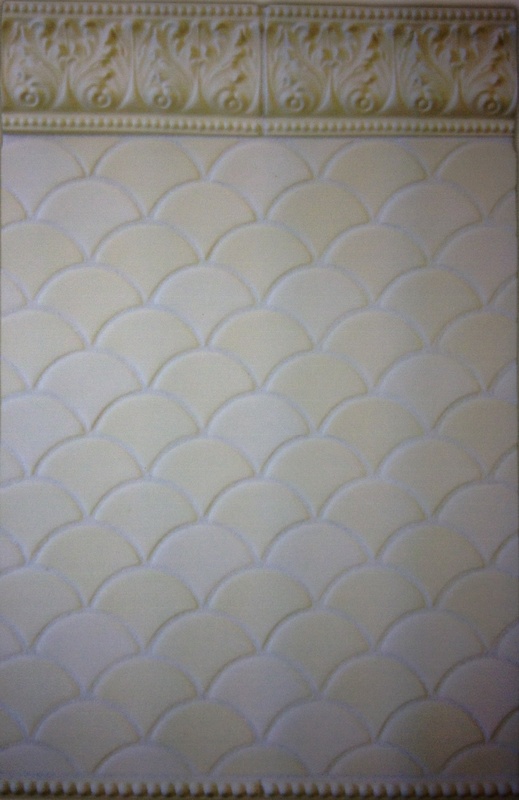 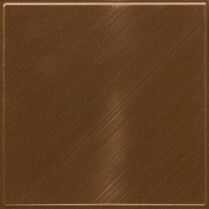 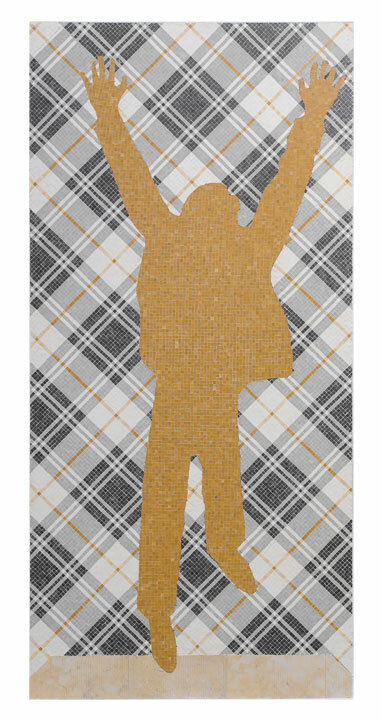 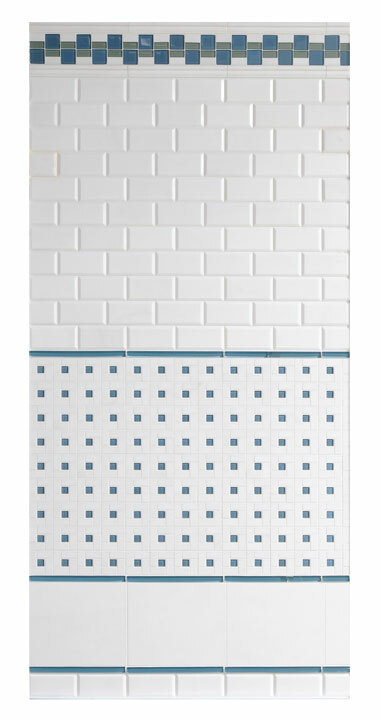 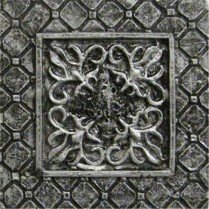 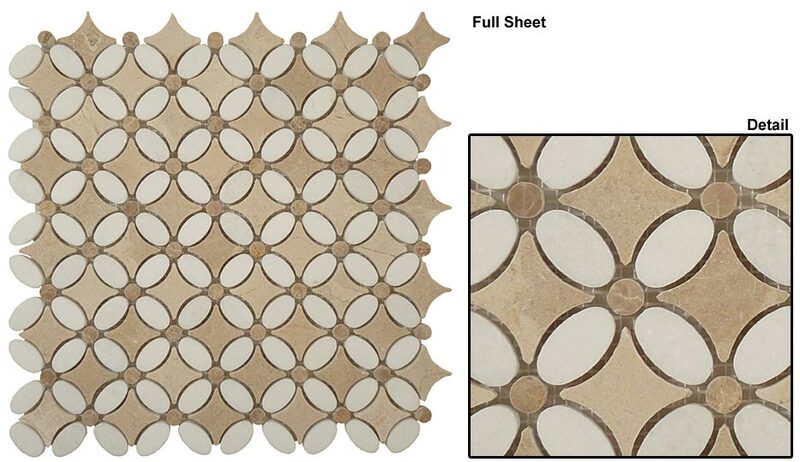 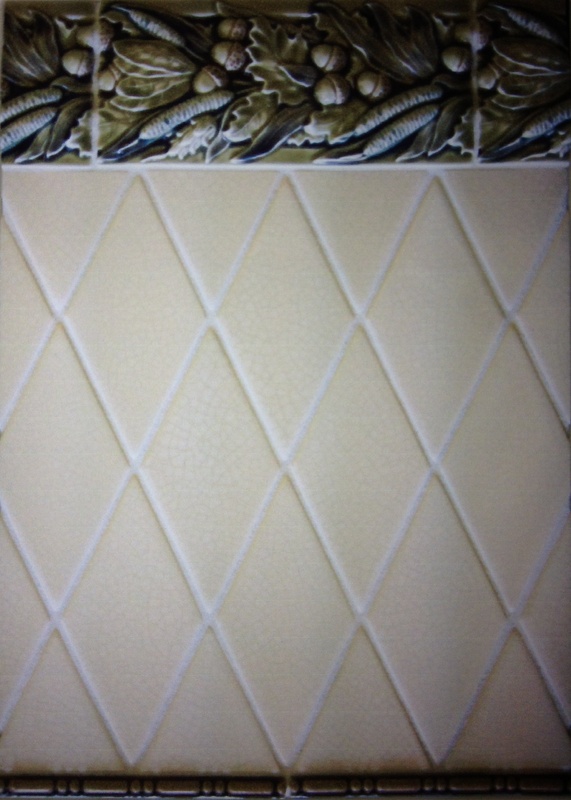 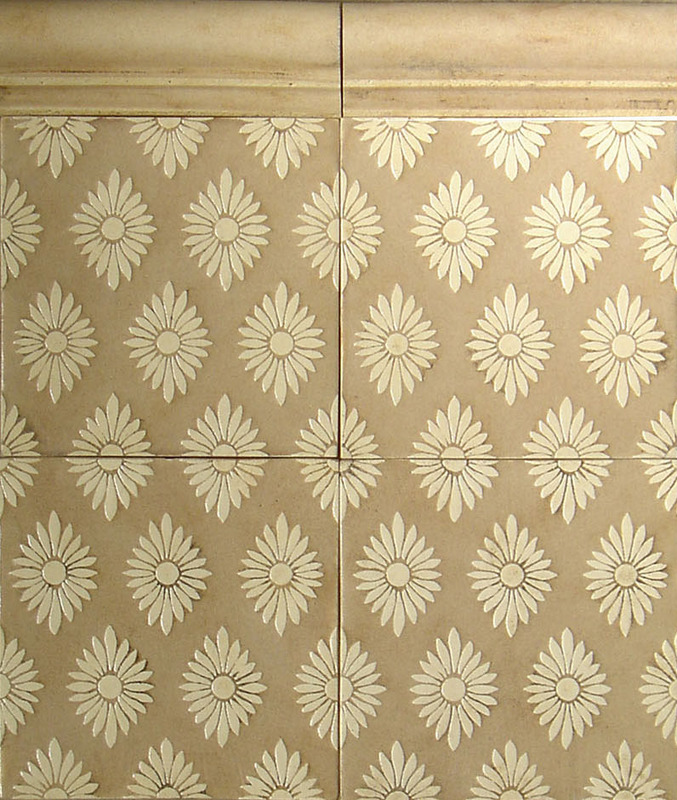 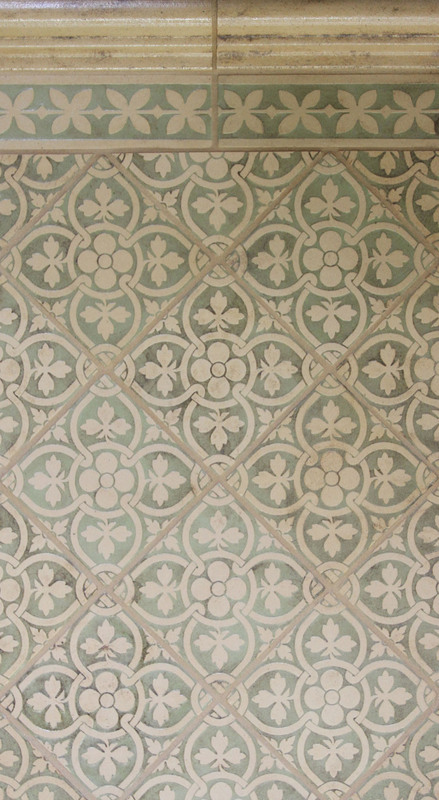 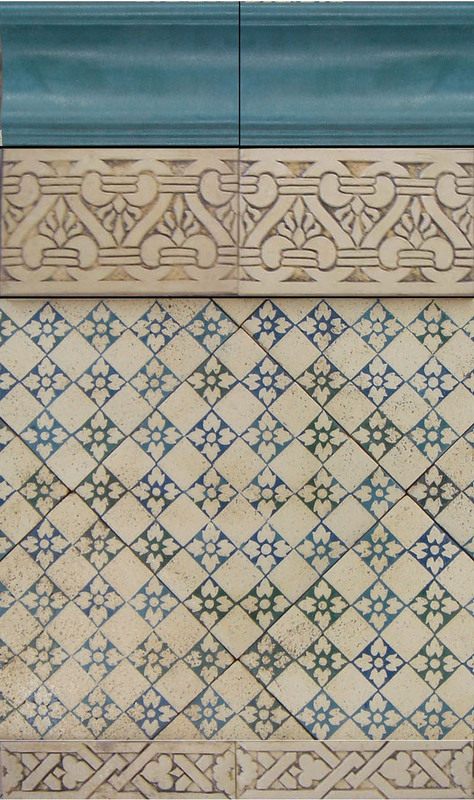 This creates a tile suitable for use in all areas of the home or workplace. 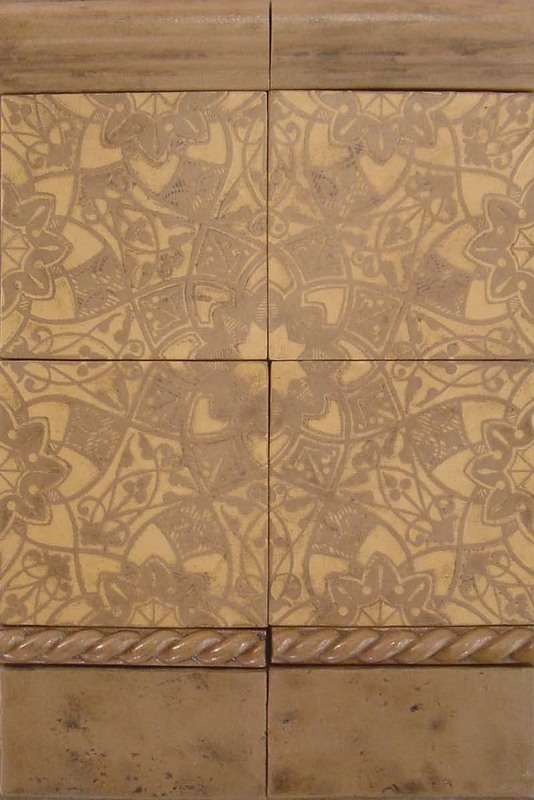 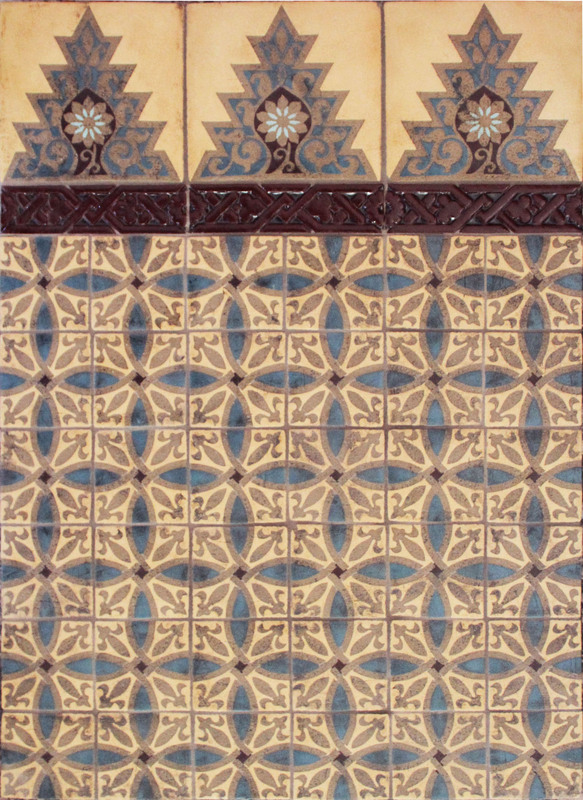 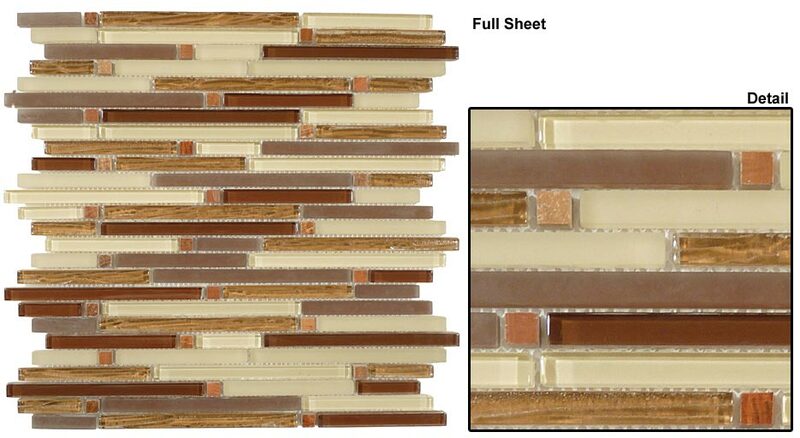 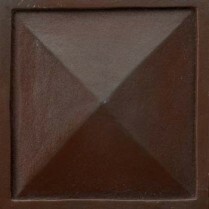 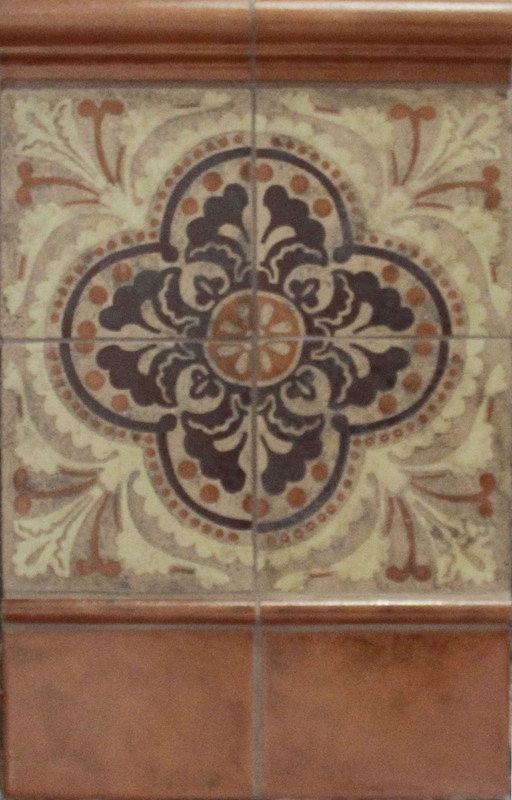 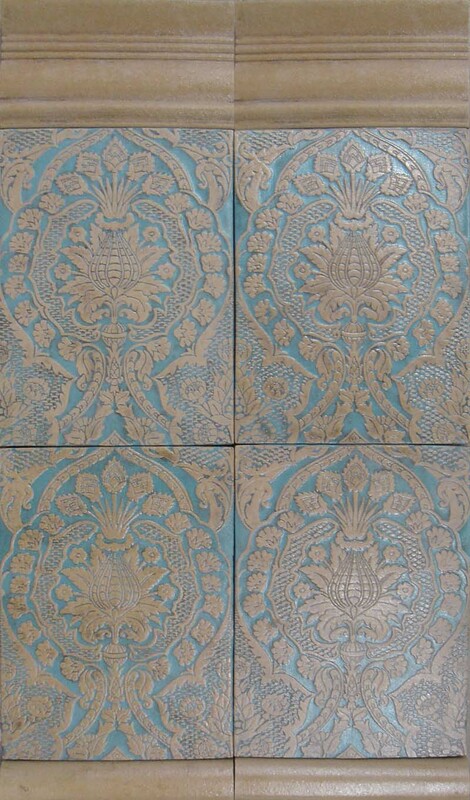 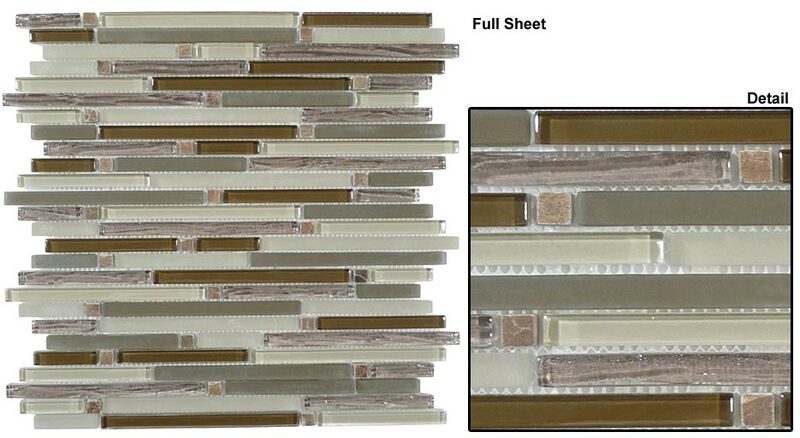 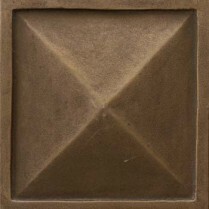 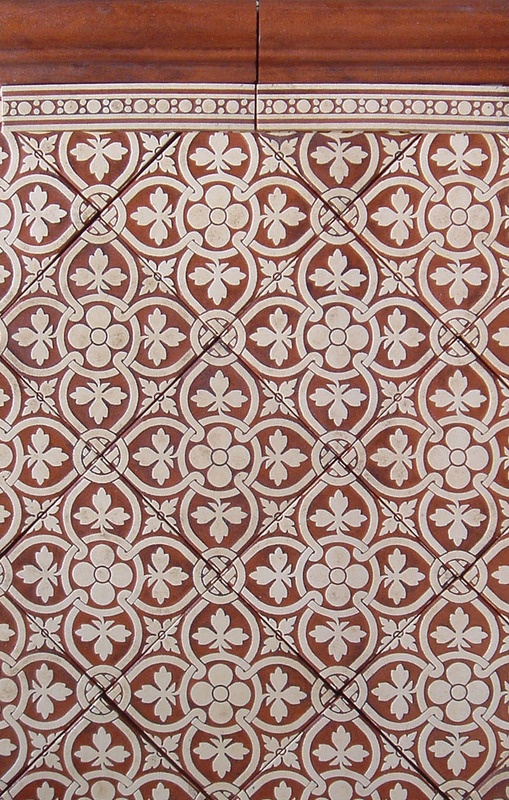 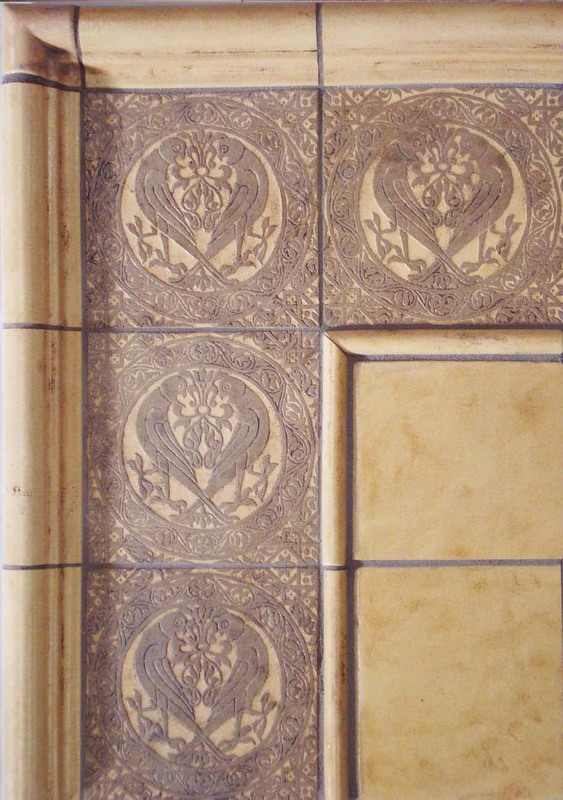 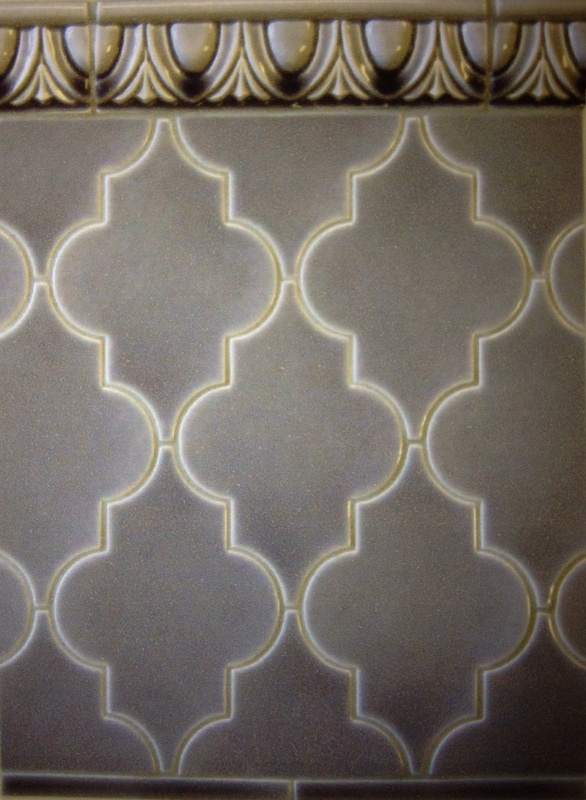 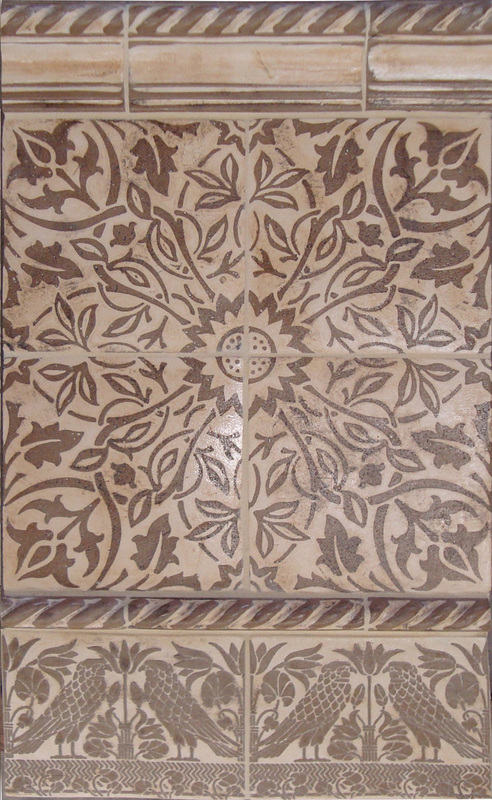 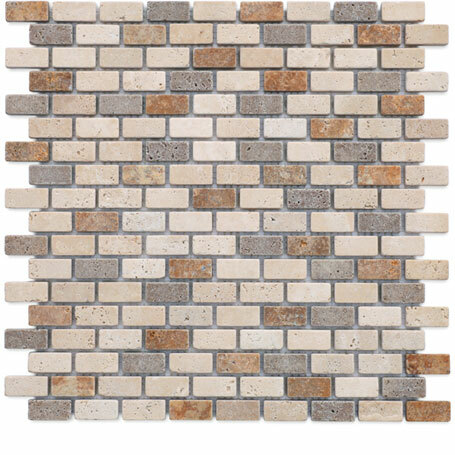 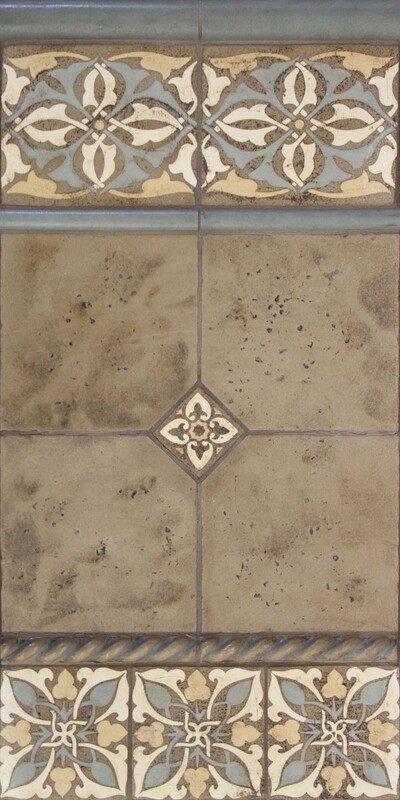 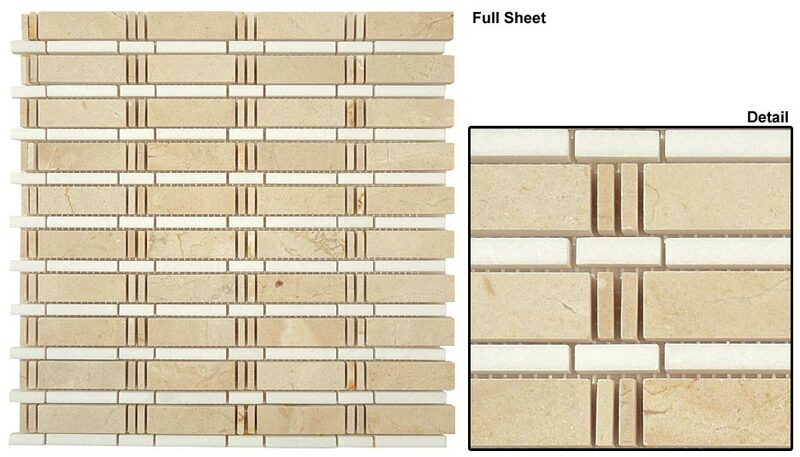 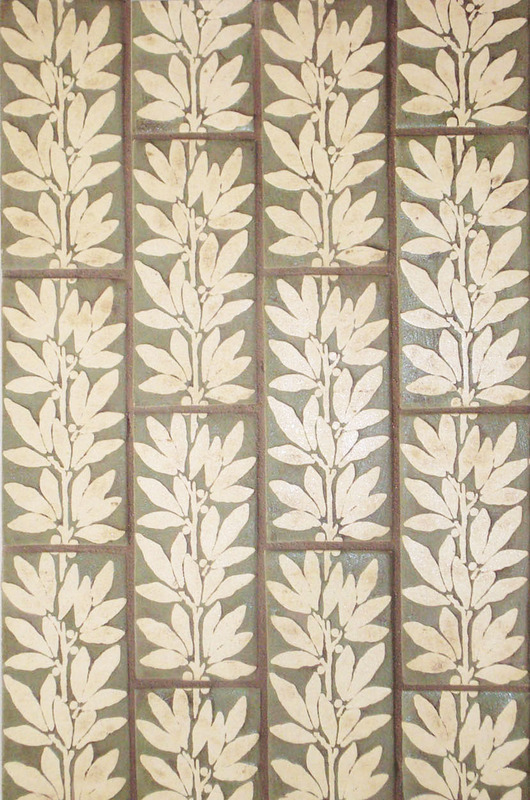 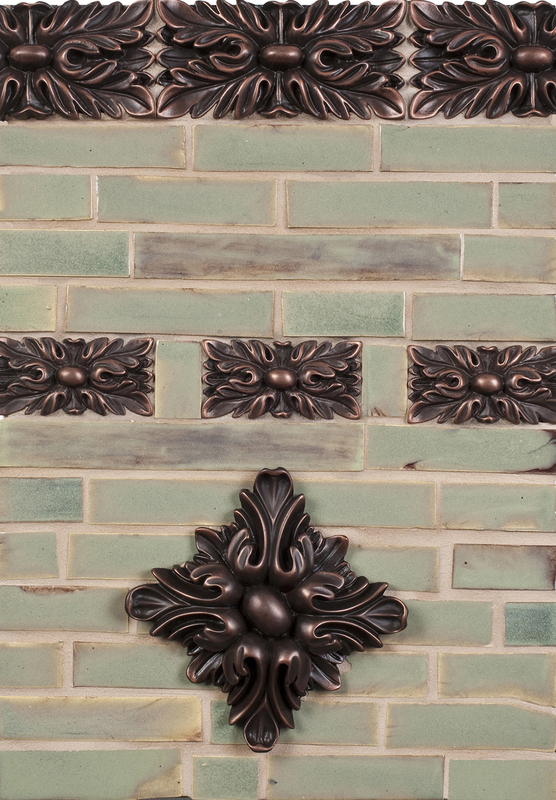 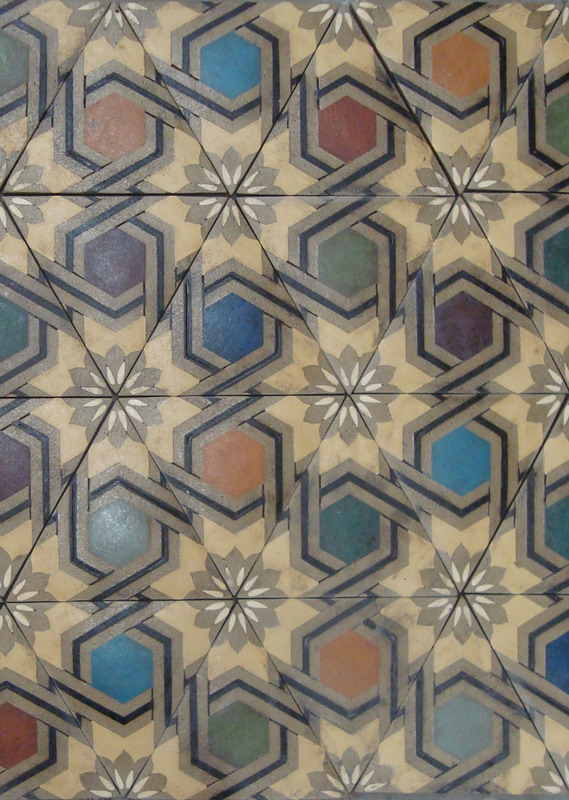 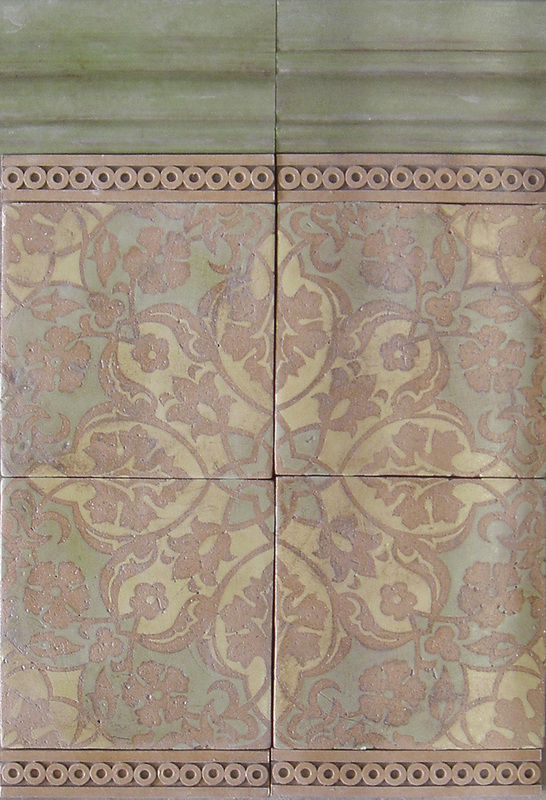 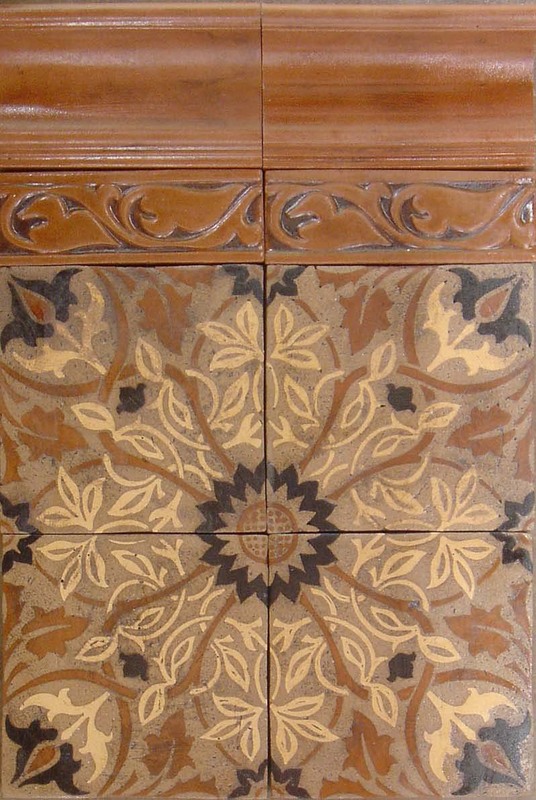 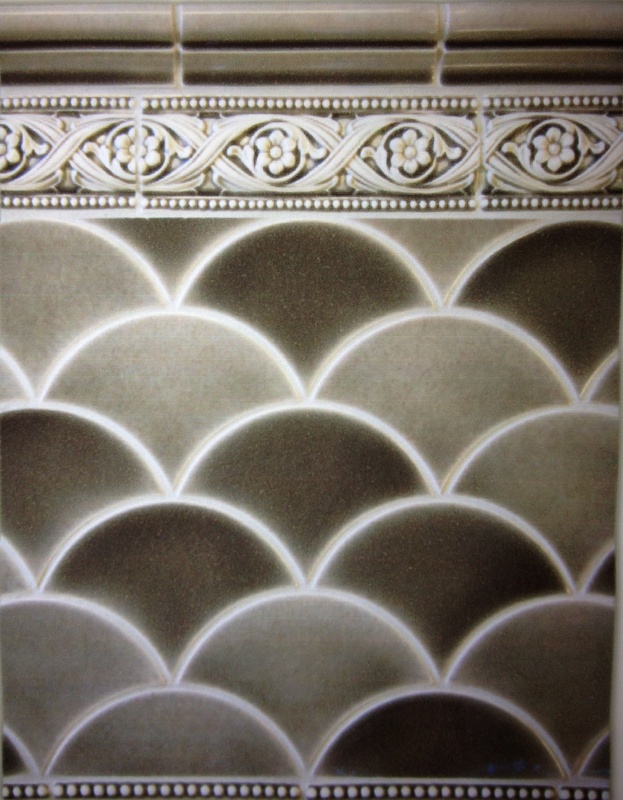 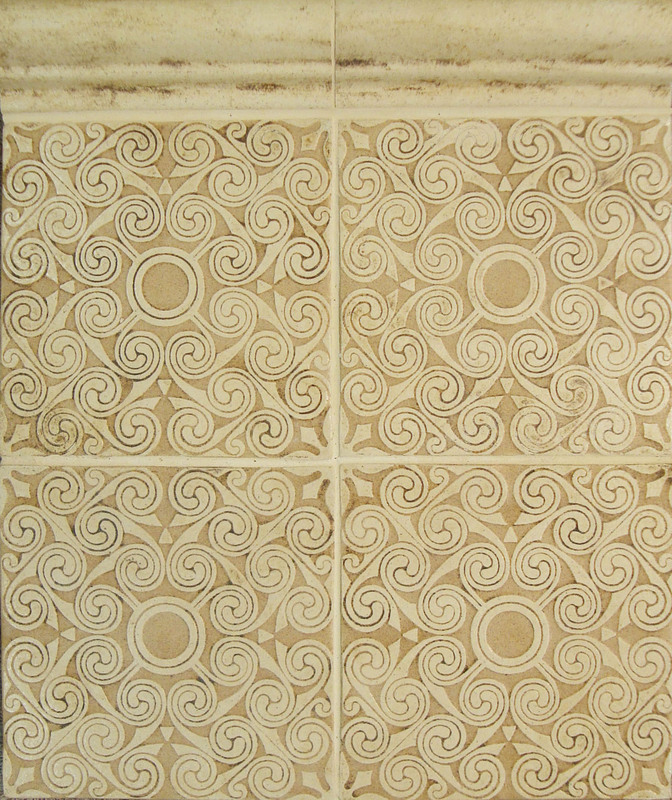 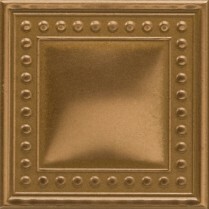 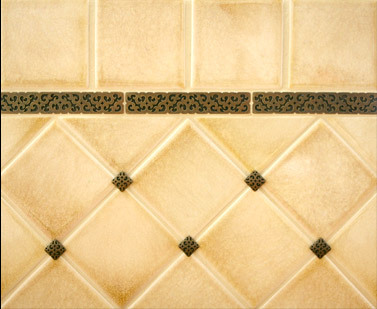 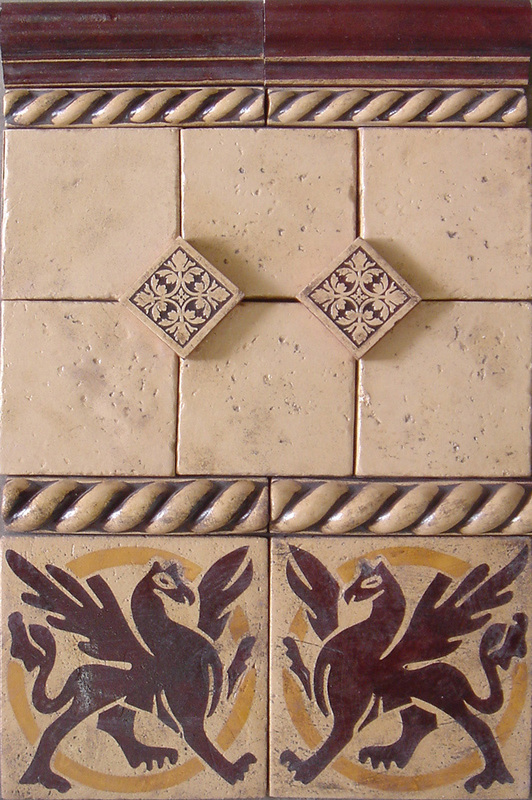 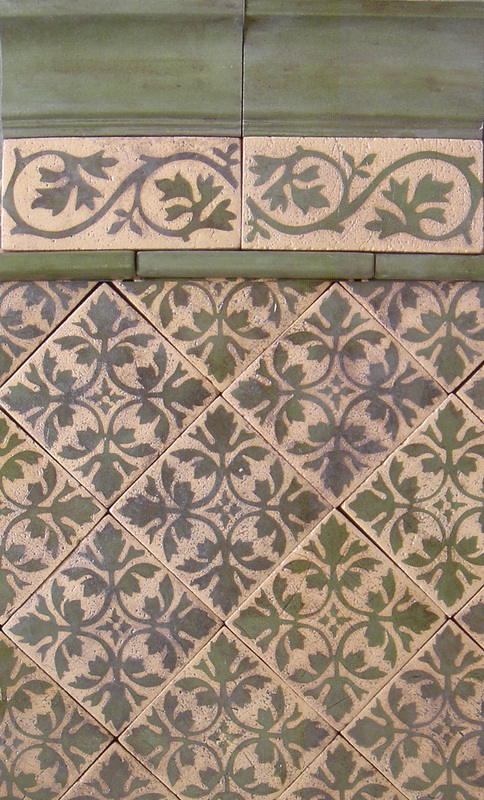 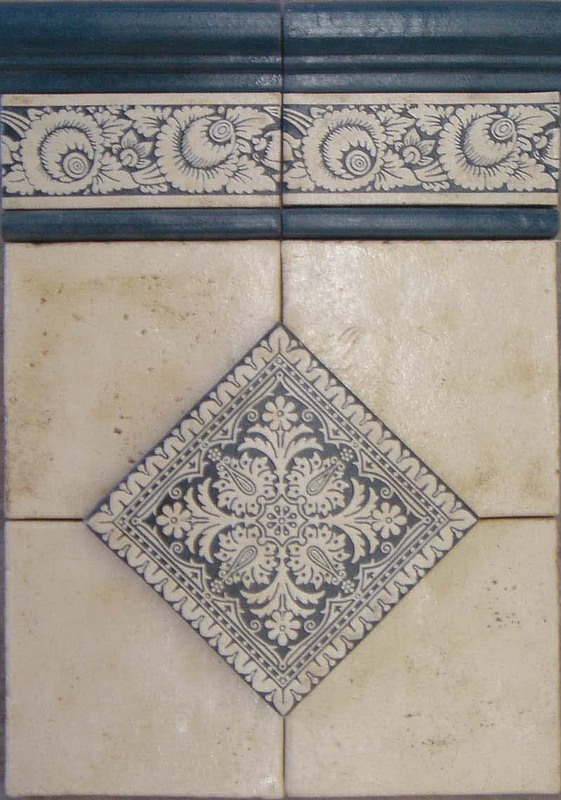 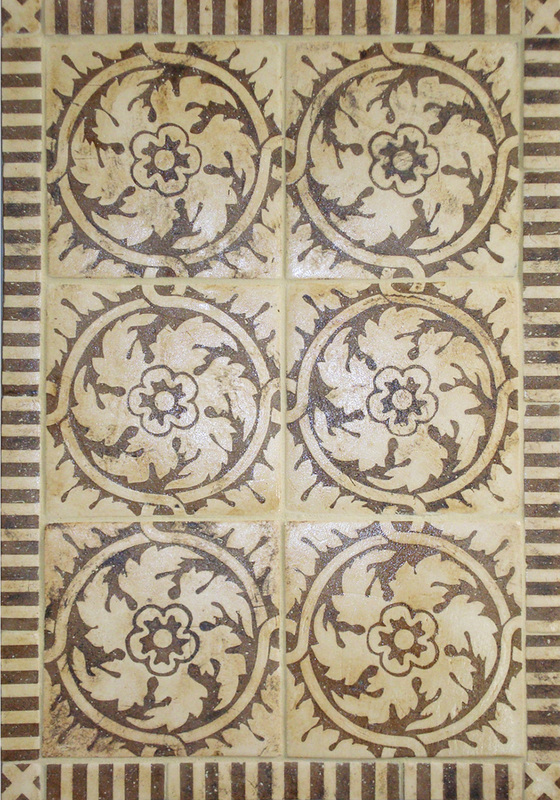 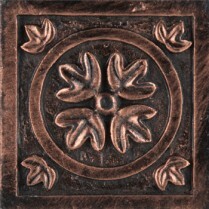 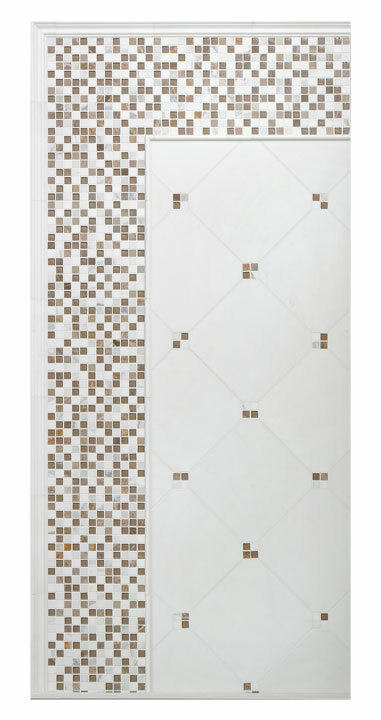 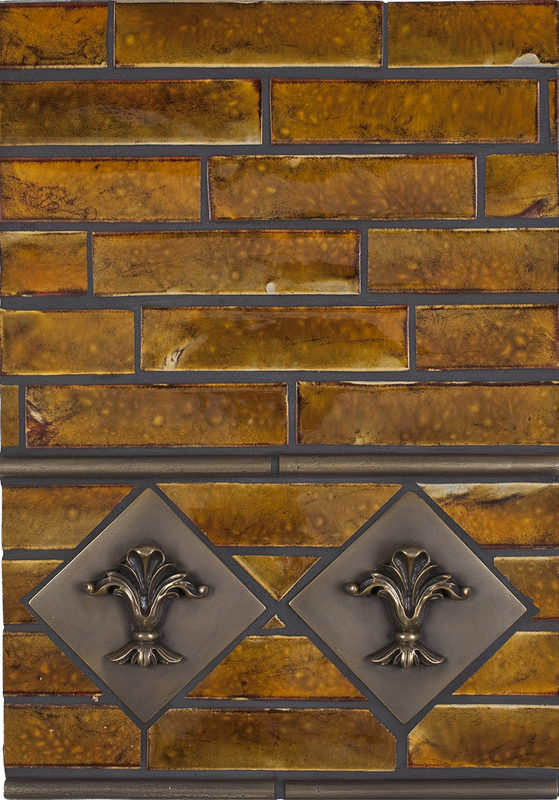 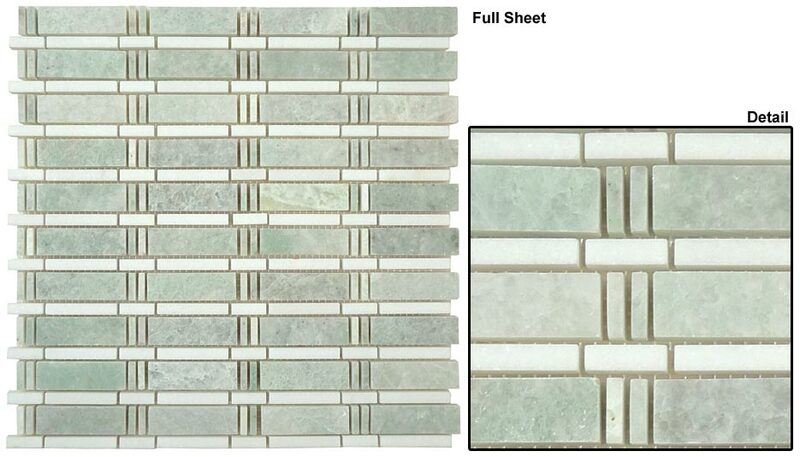 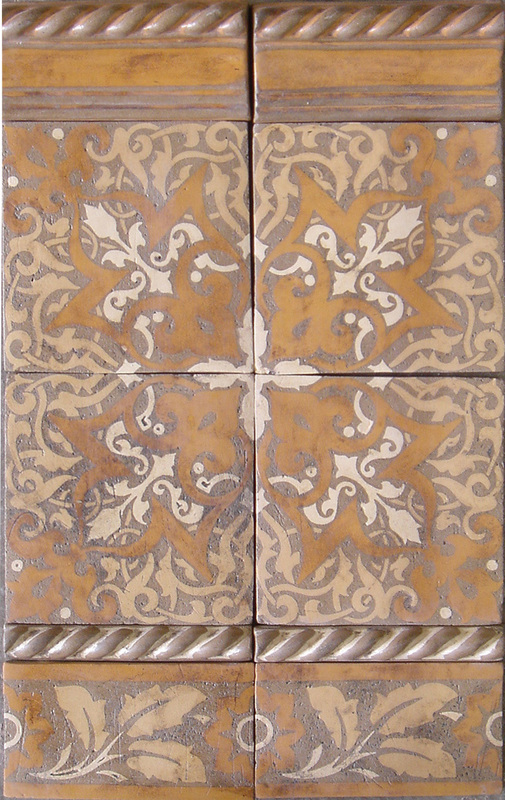 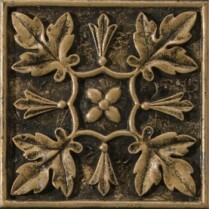 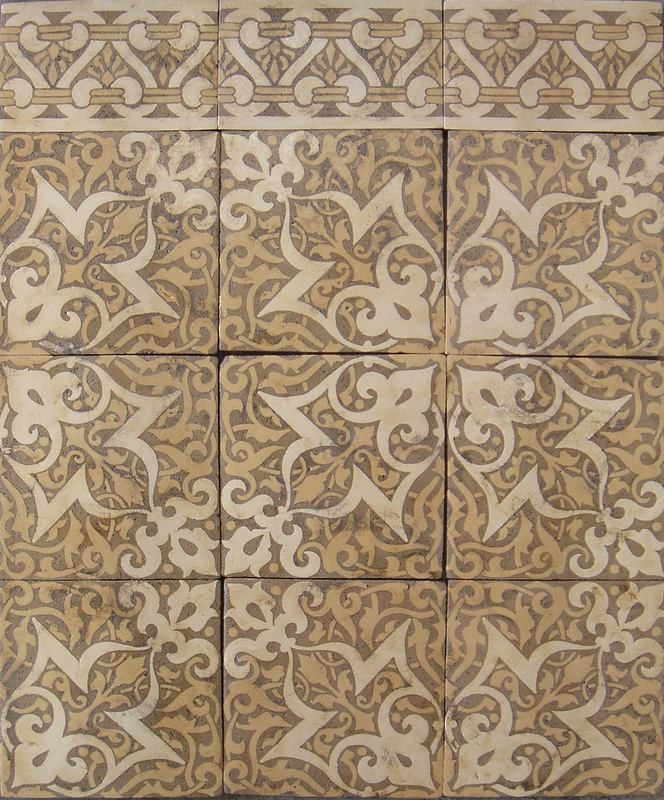 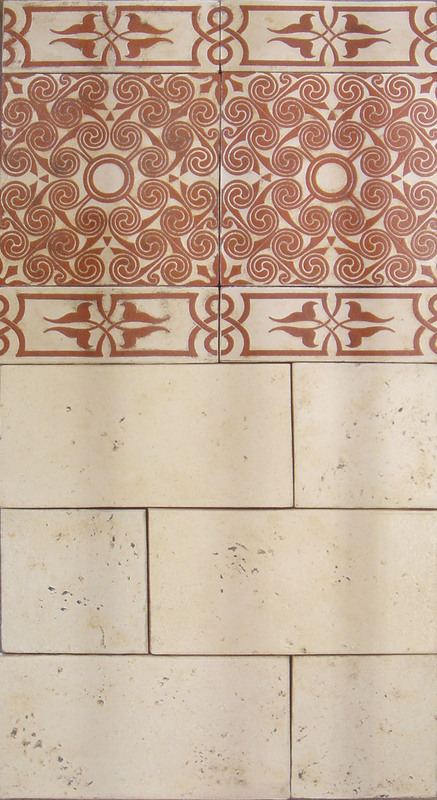 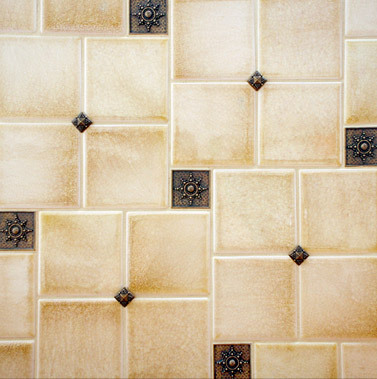 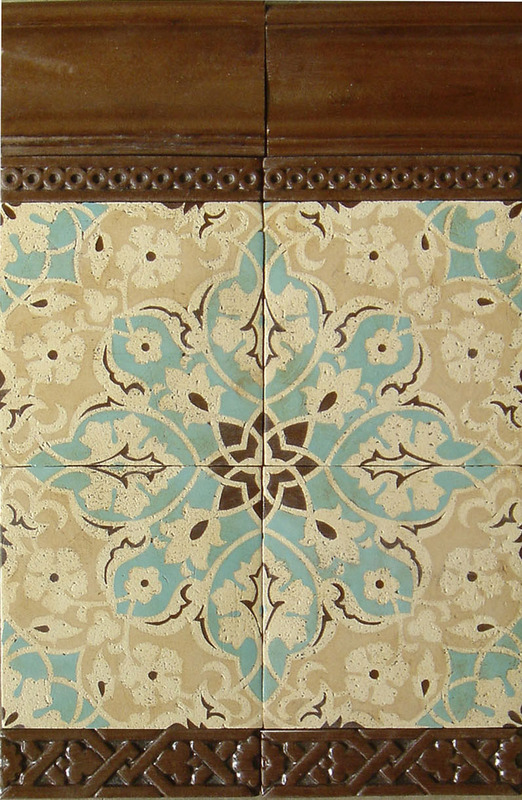 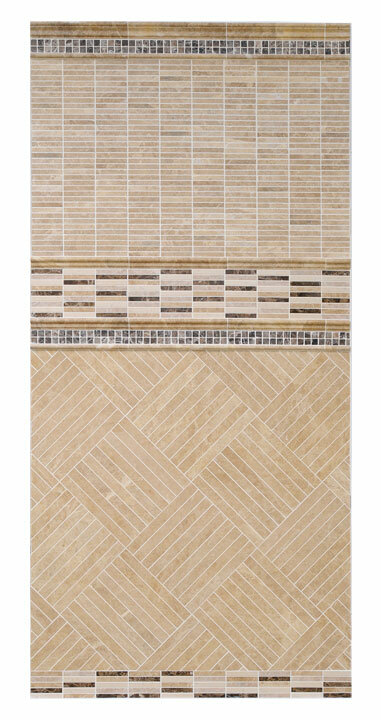 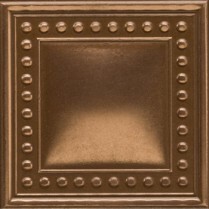 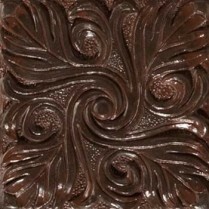 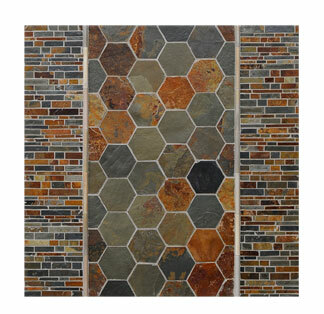 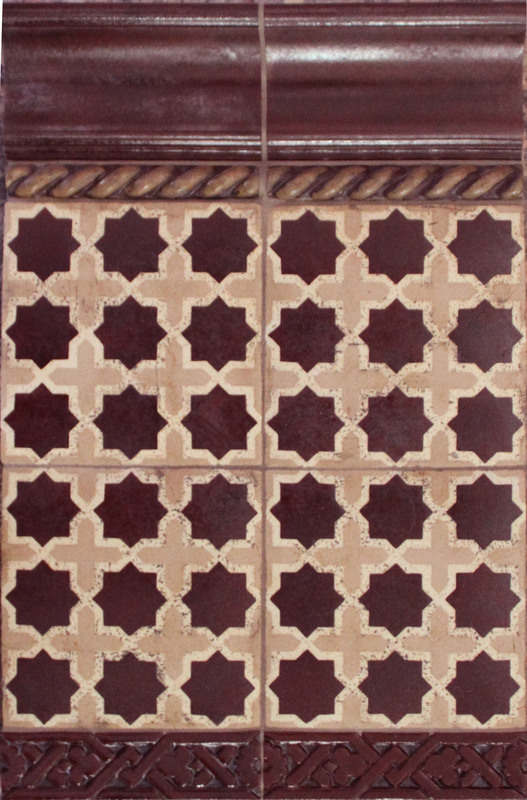 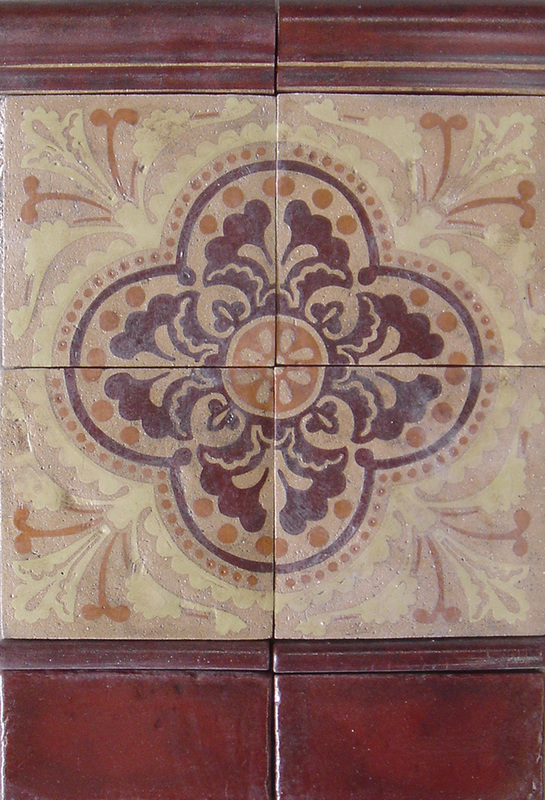 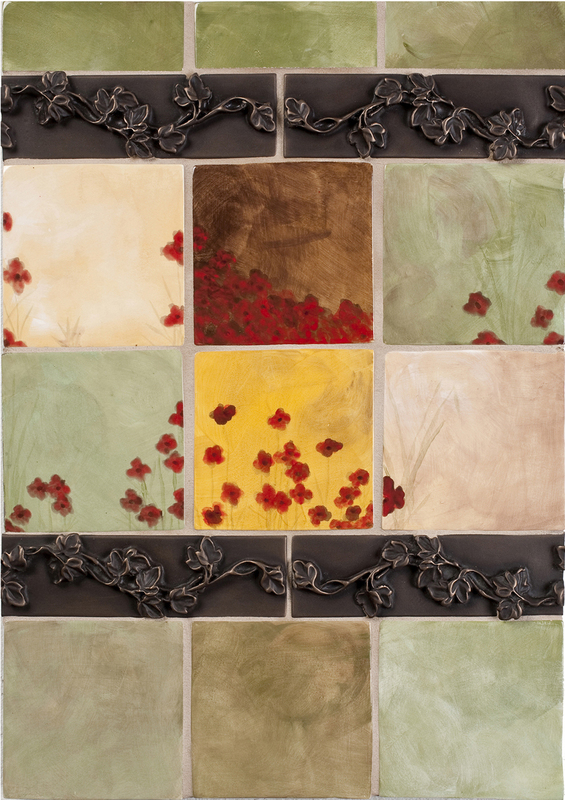 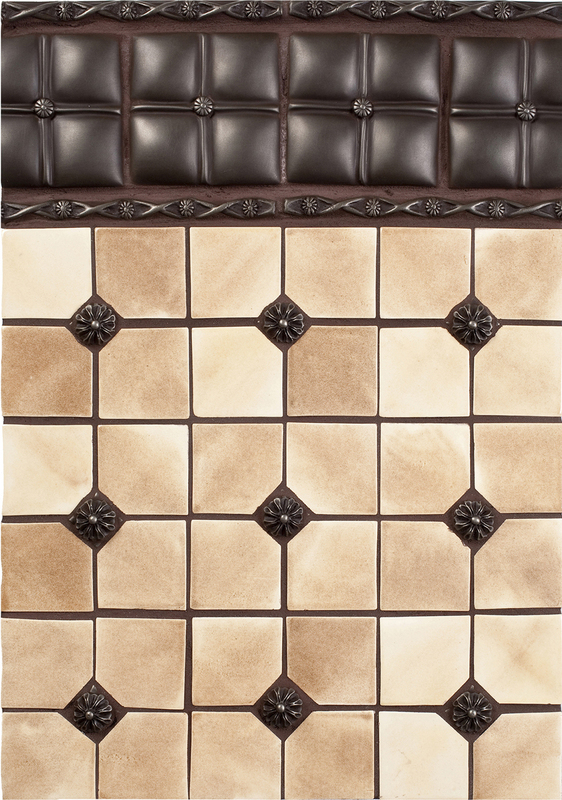 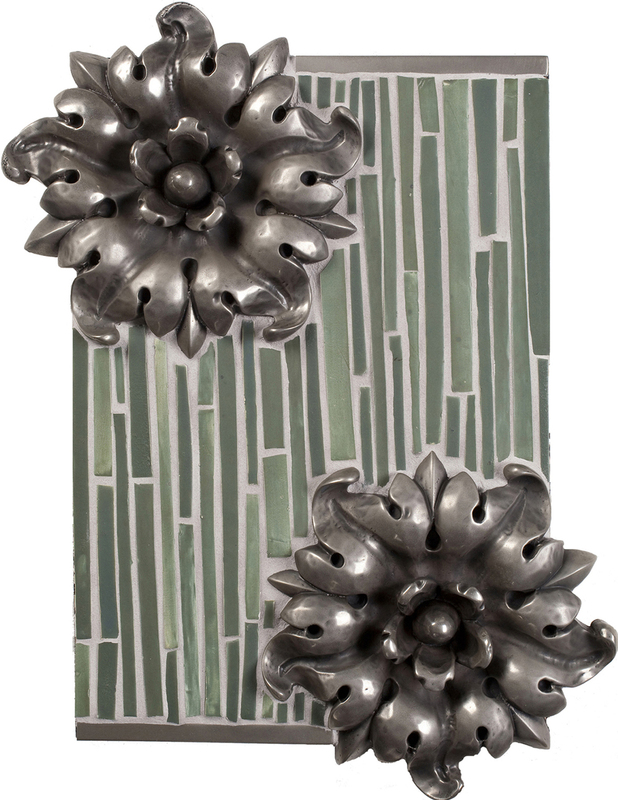 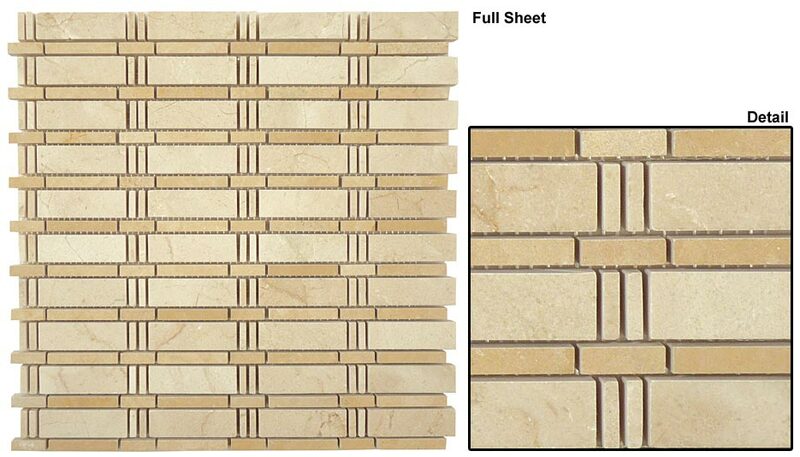 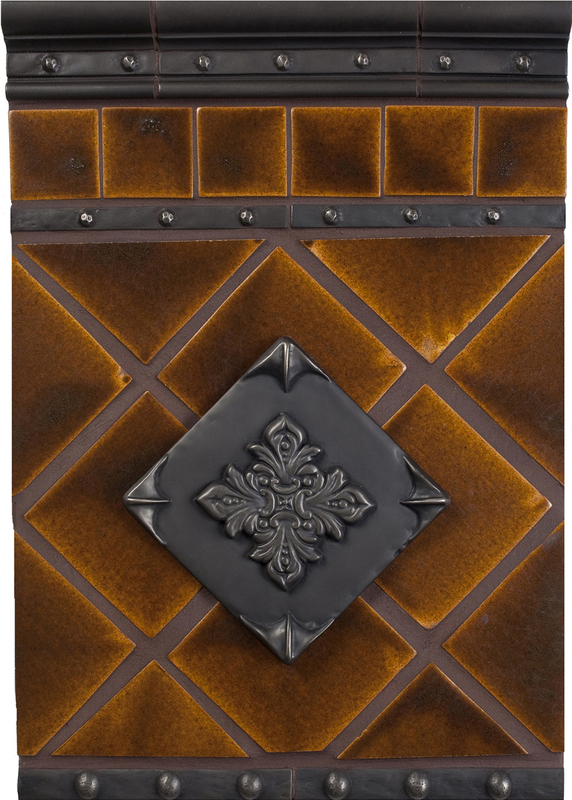 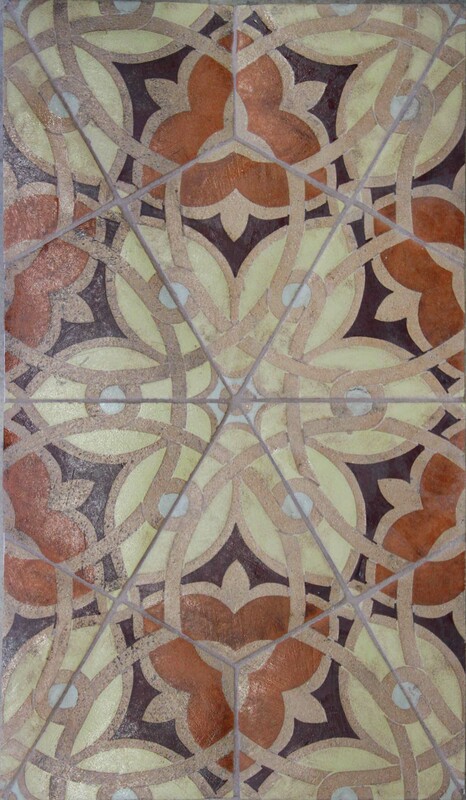 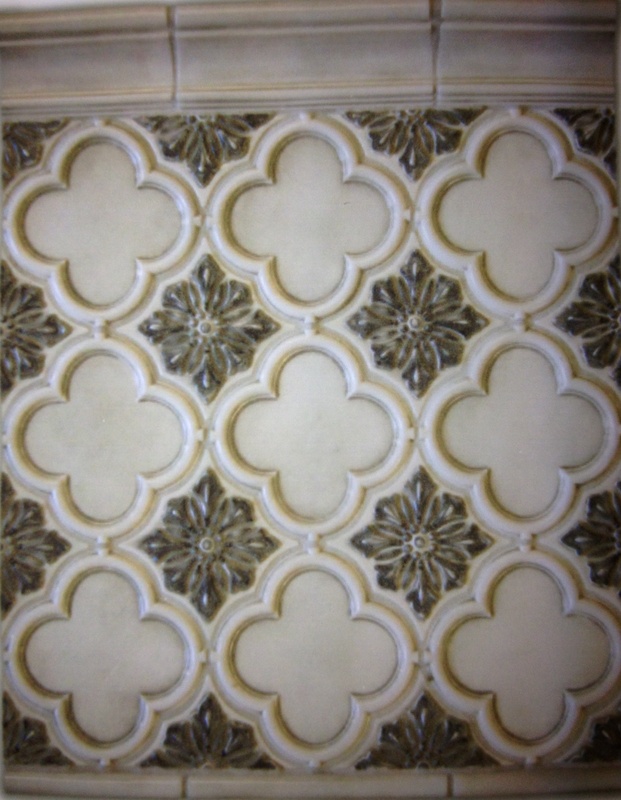 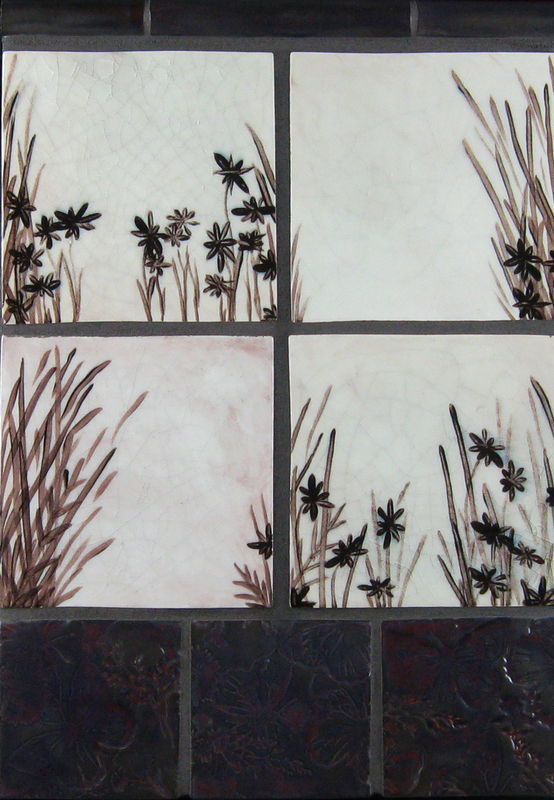 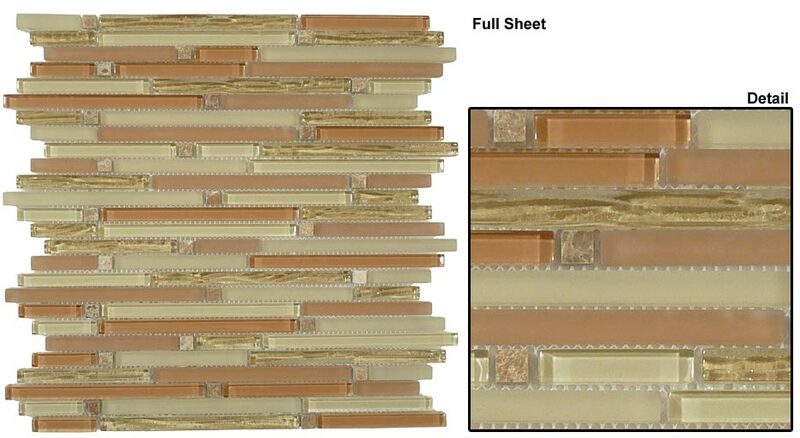 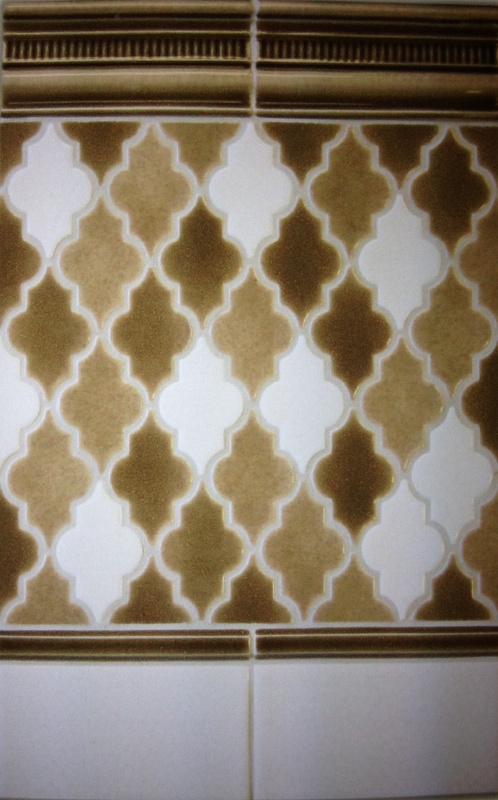 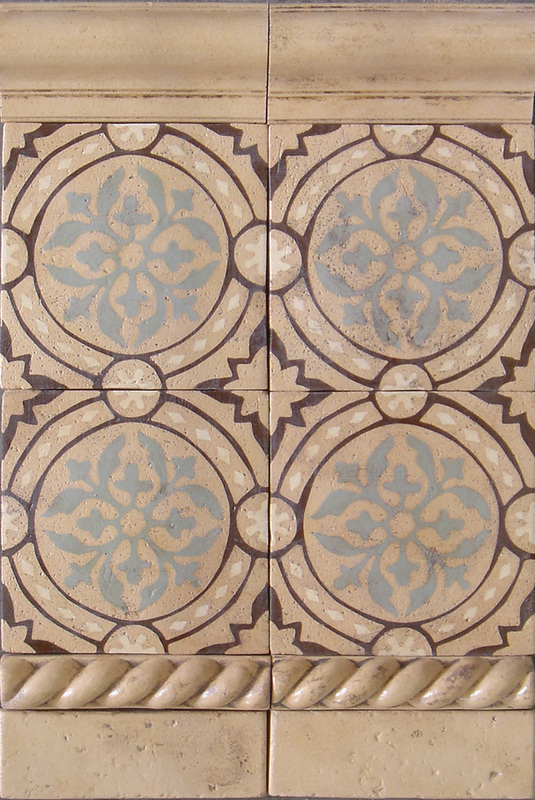 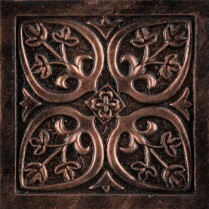 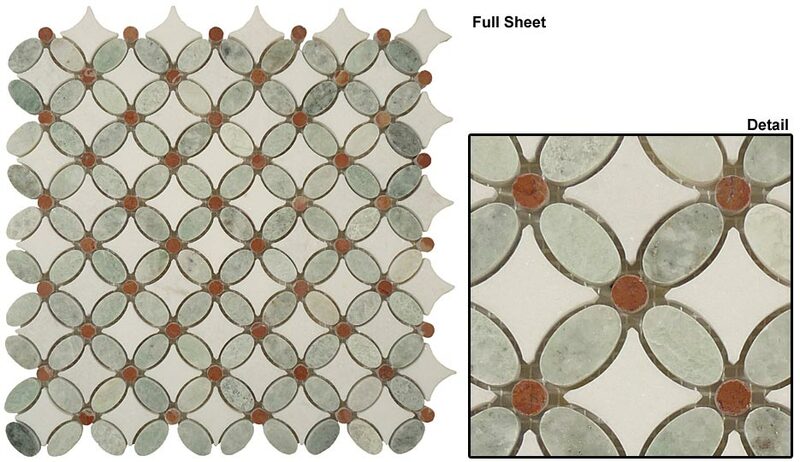 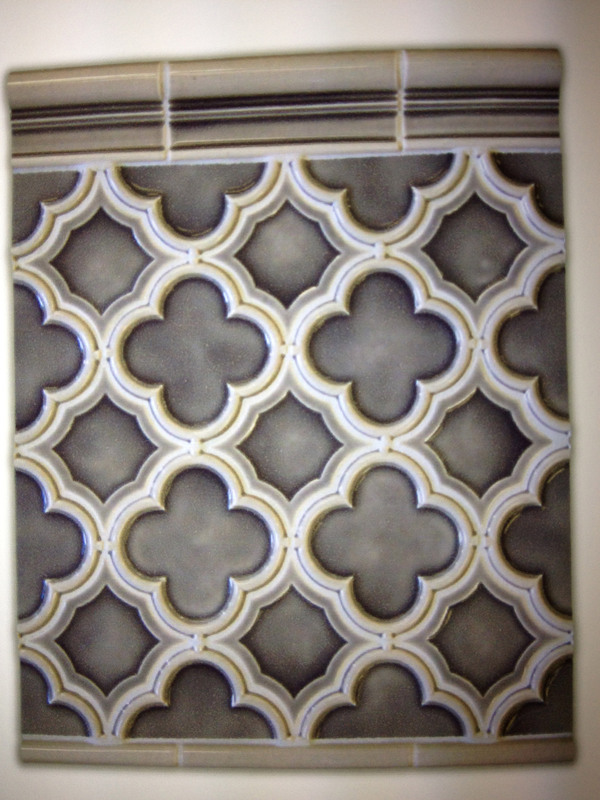 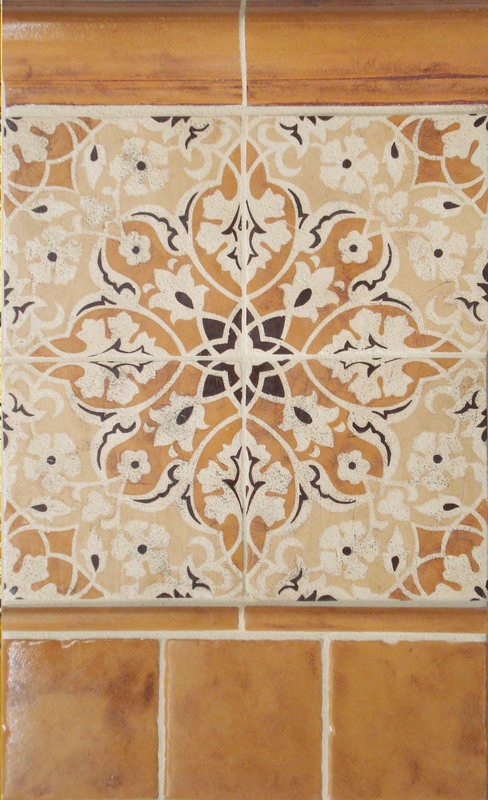 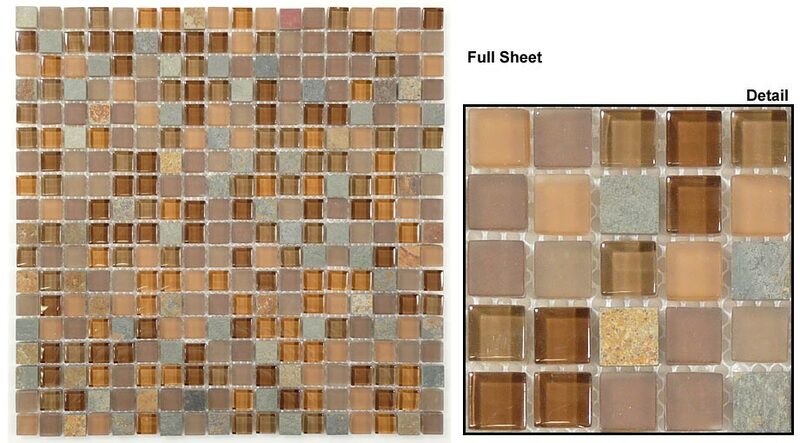 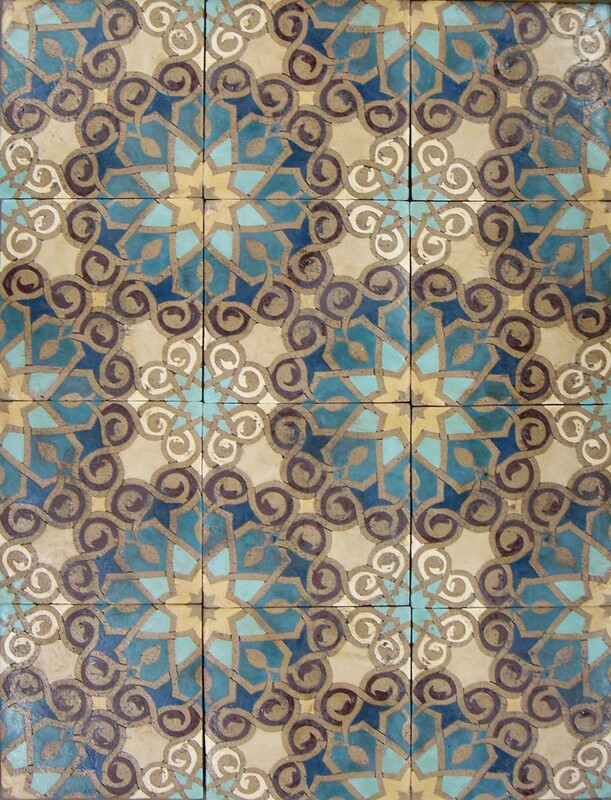 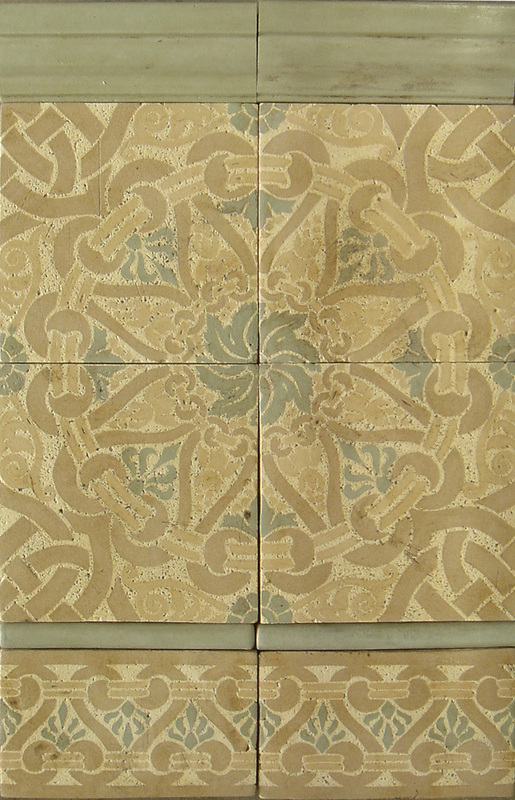 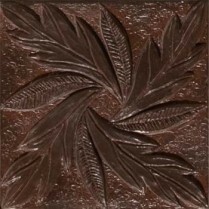 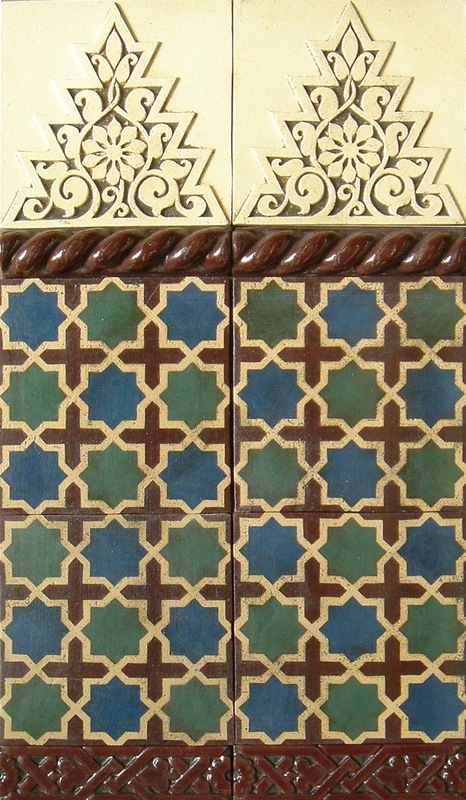 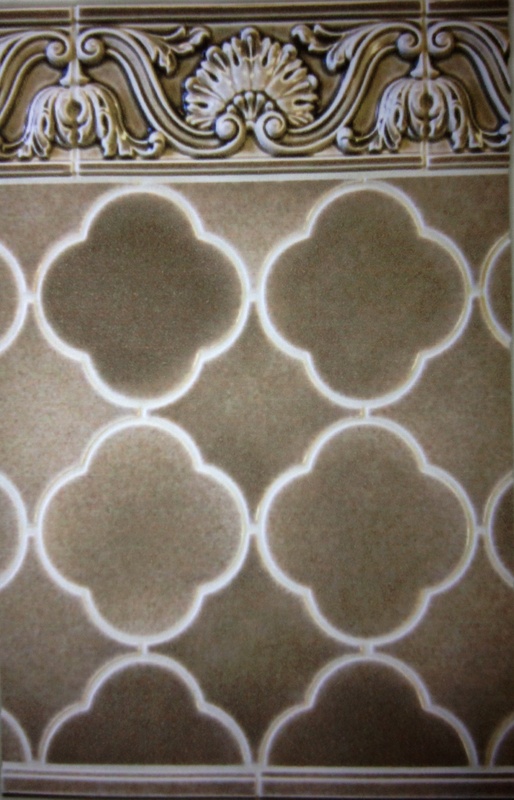 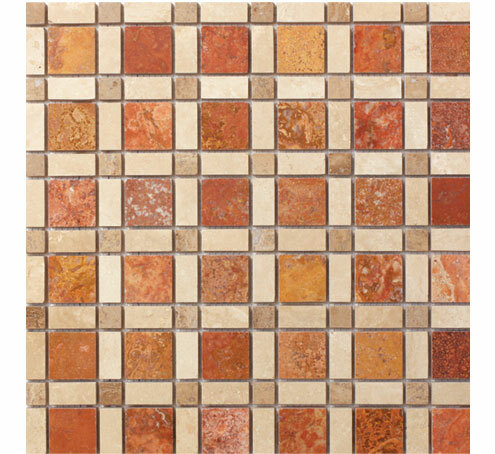 Accenting terra-cotta tile with inserts will bring out the warm beauty of this natural product.